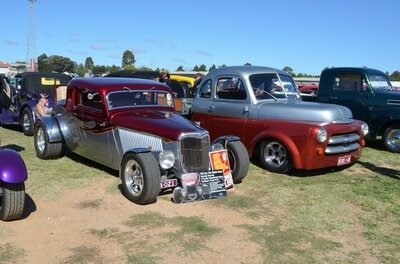 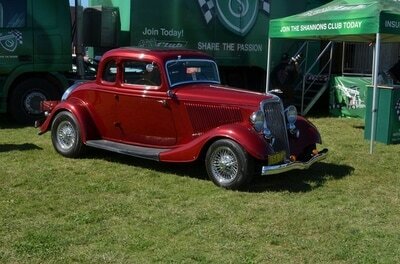 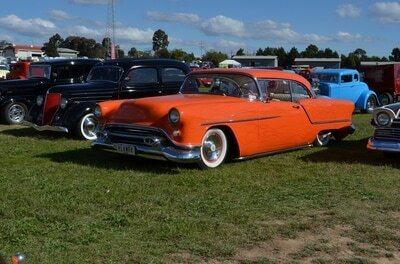 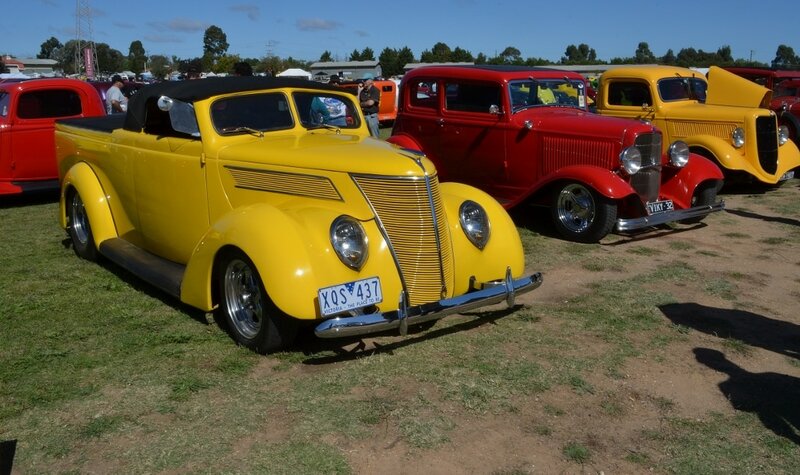 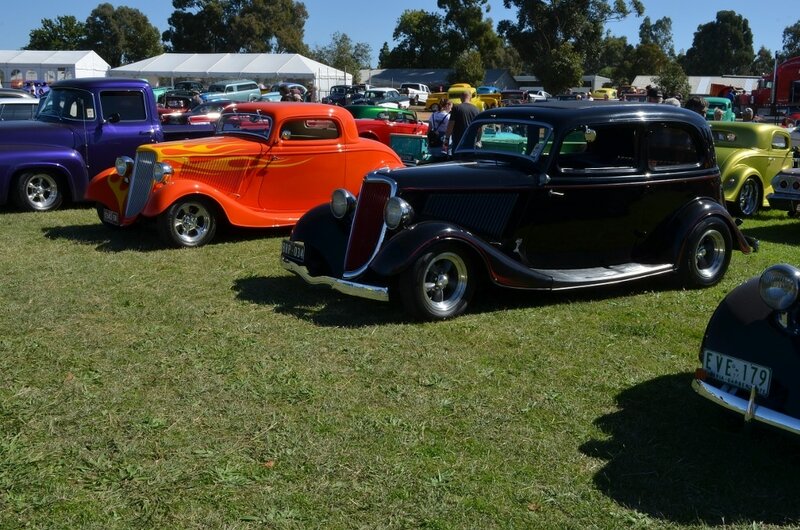 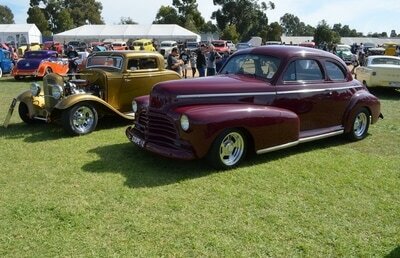 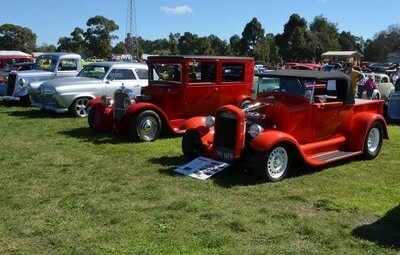 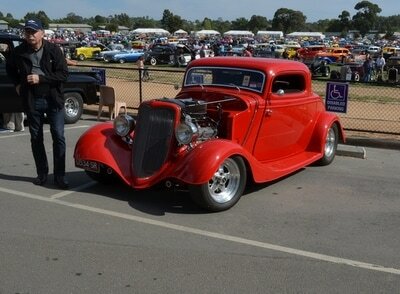 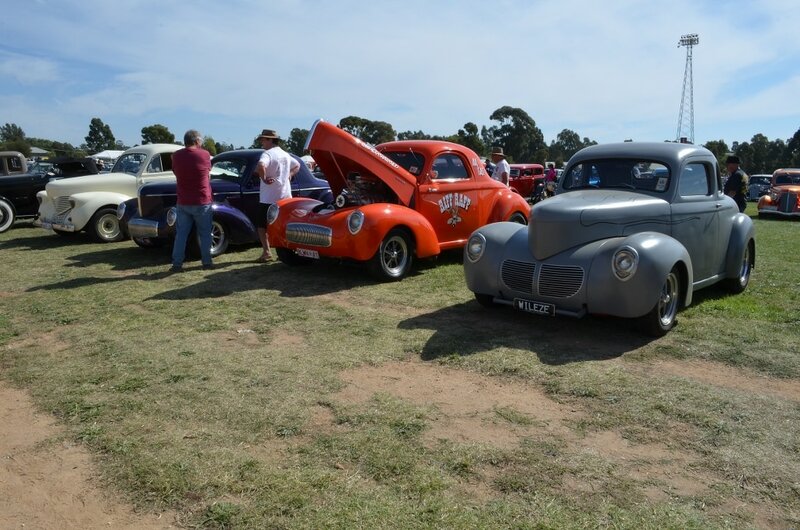 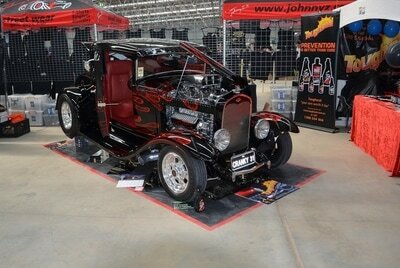 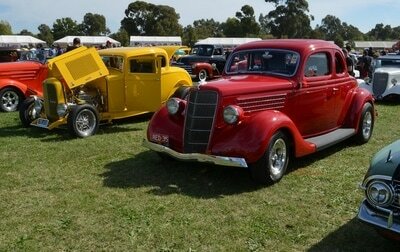 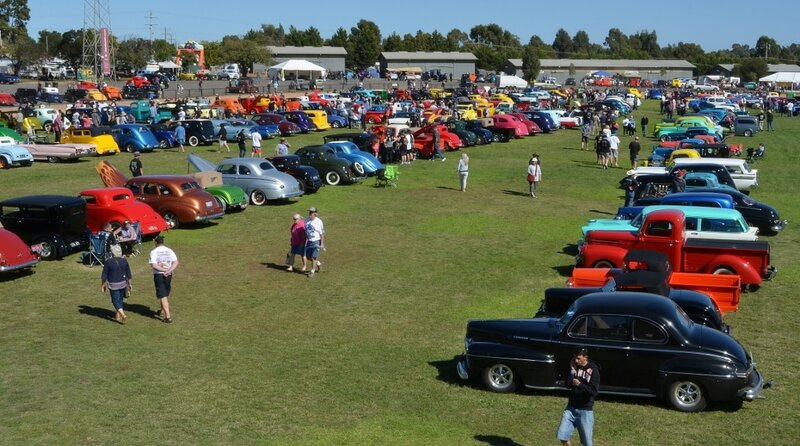 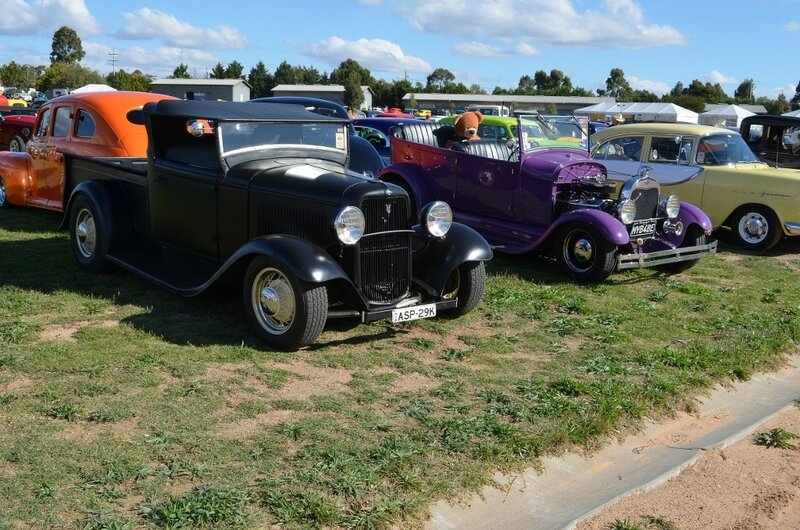 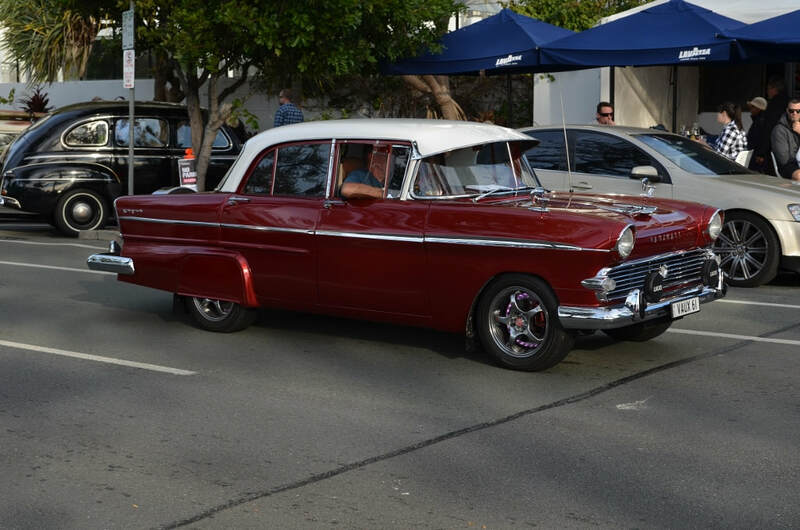 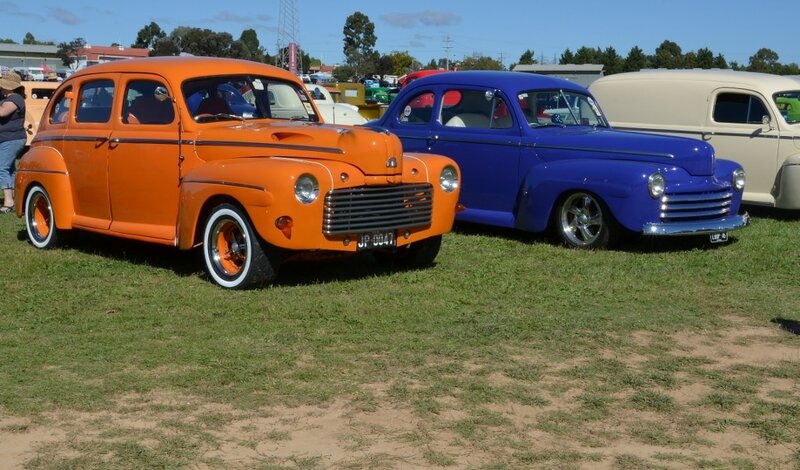 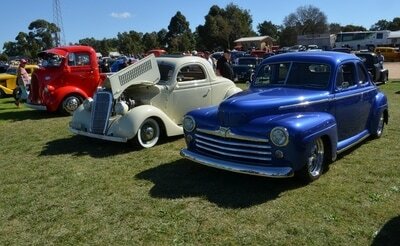 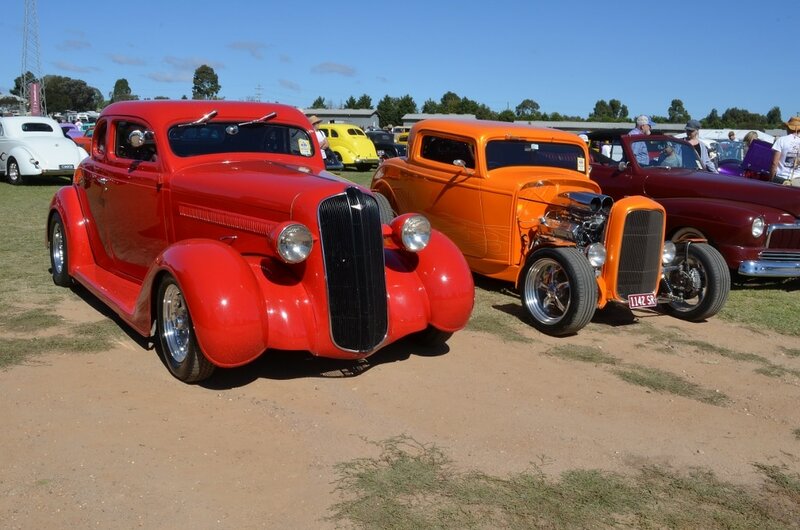 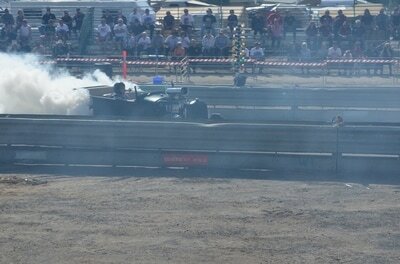 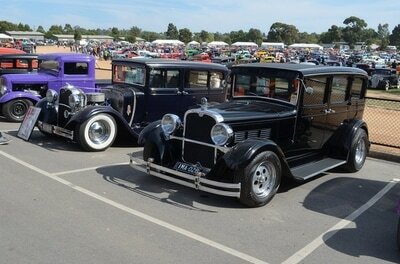 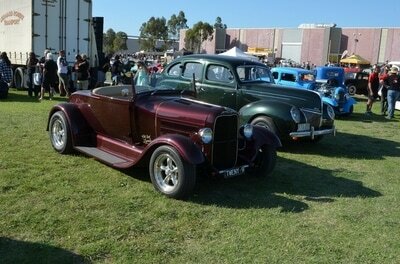 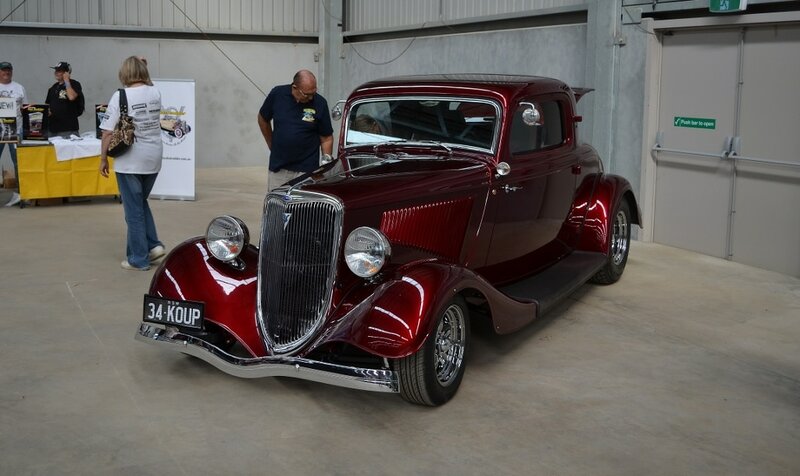 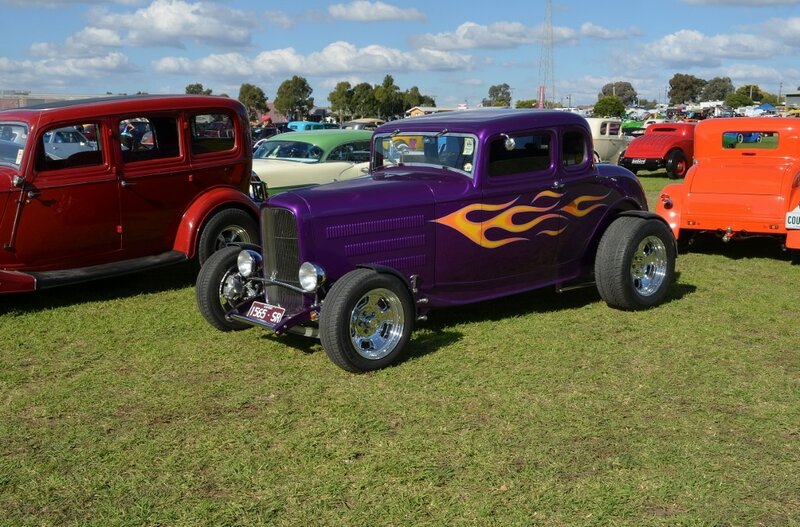 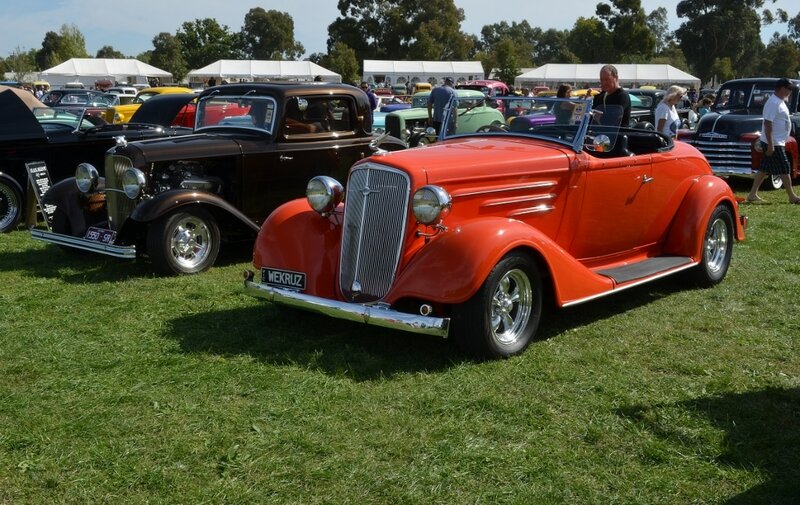 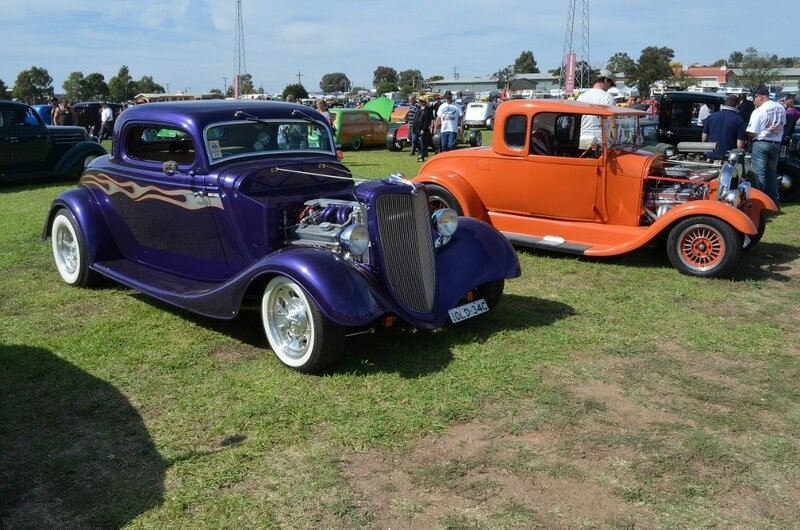 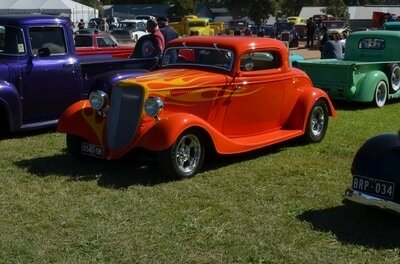 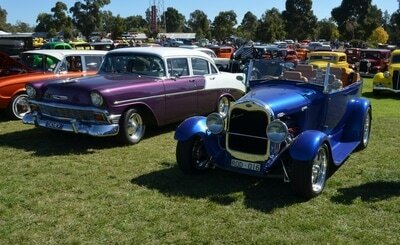 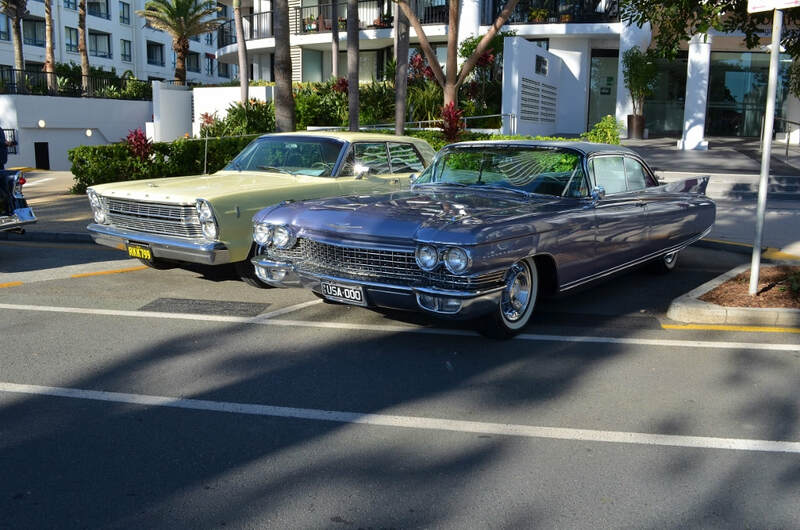 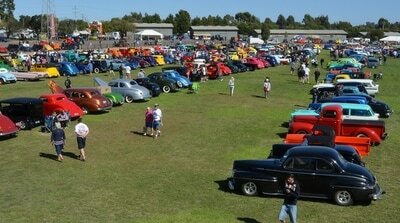 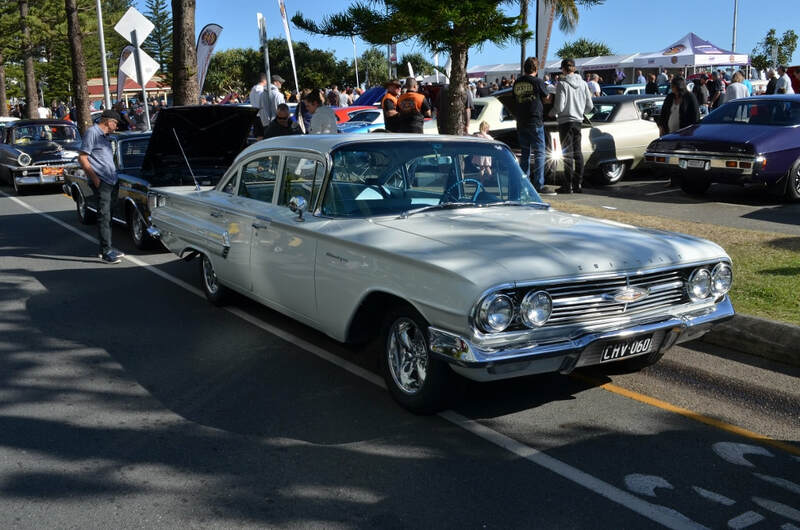 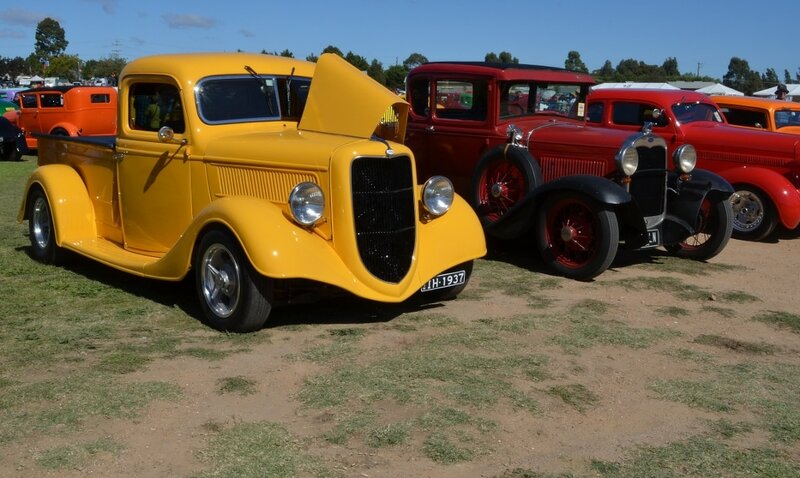 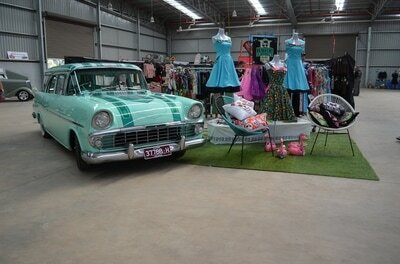 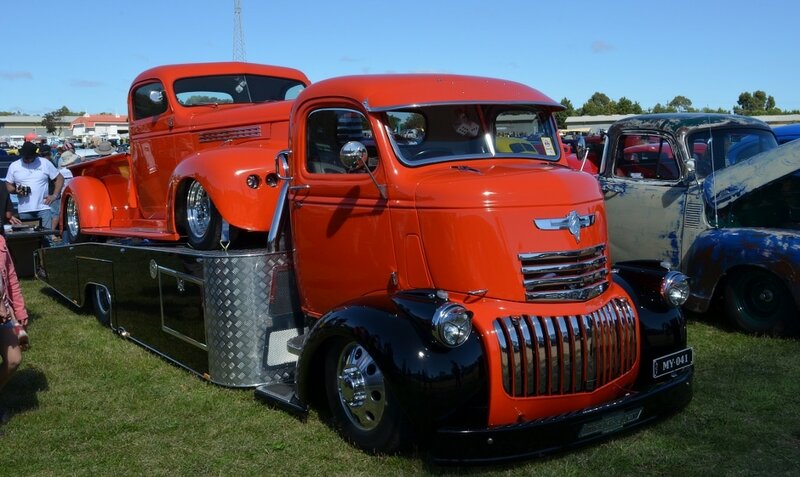 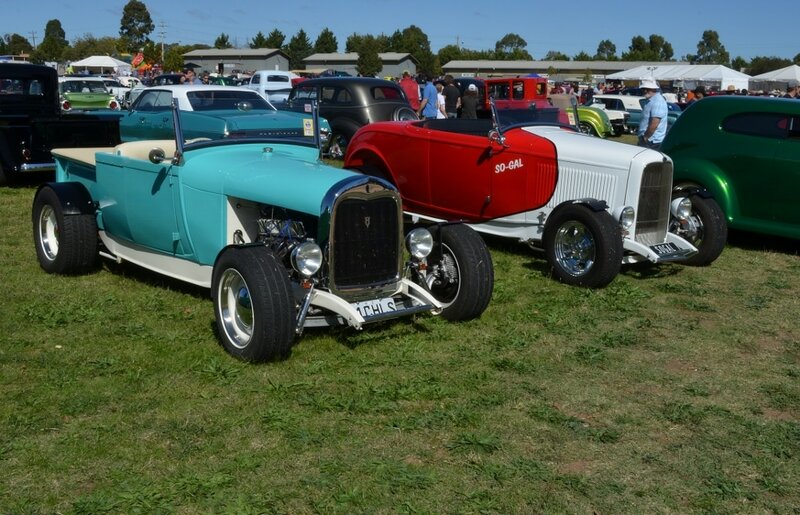 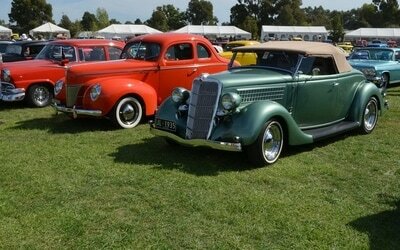 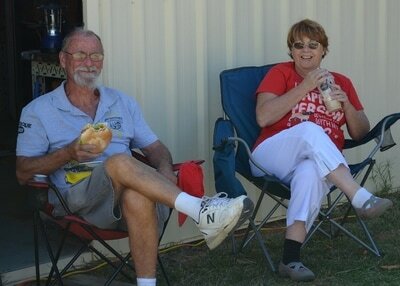 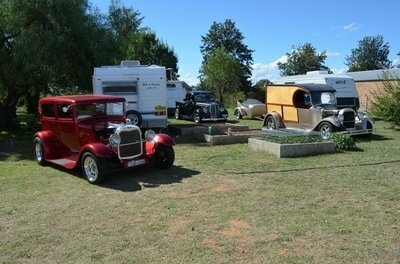 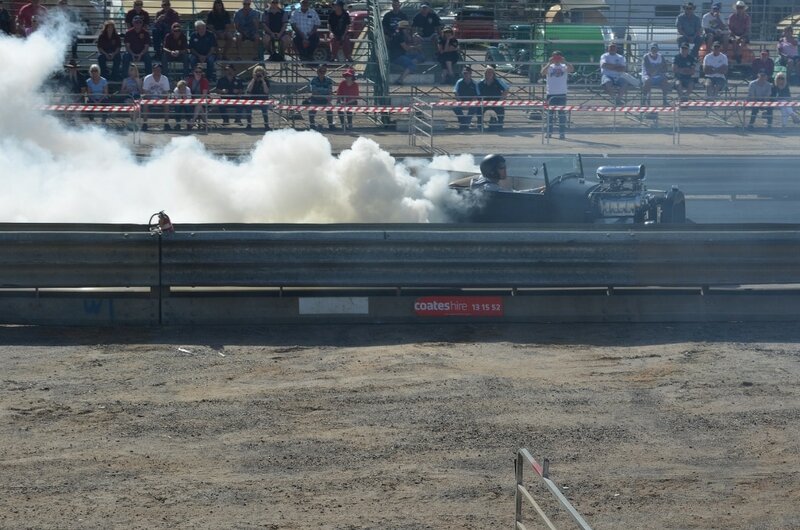 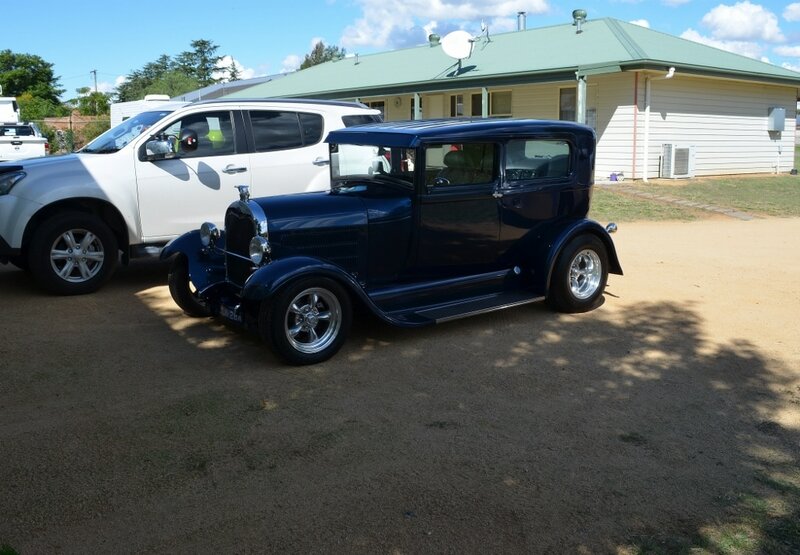 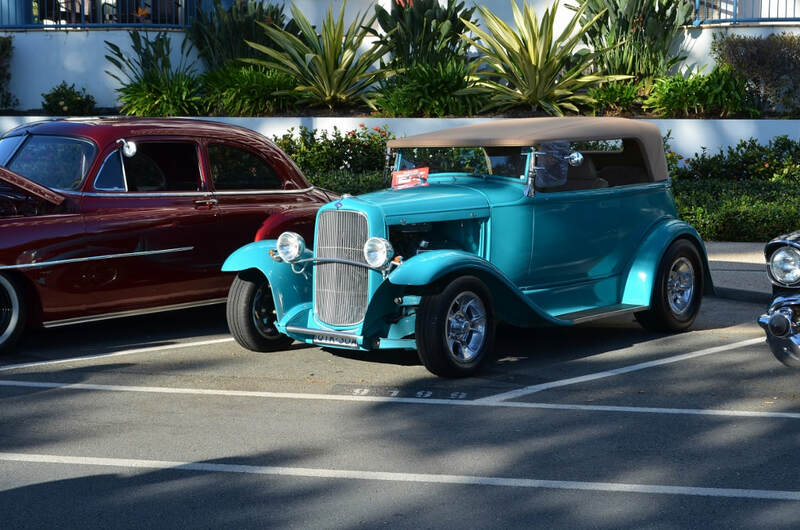 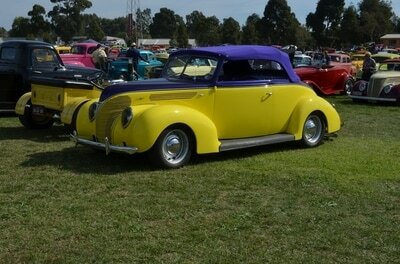 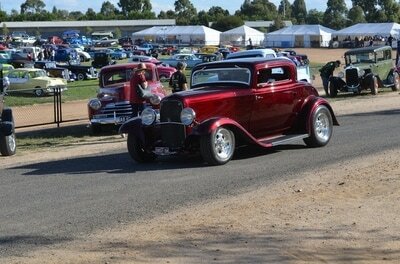 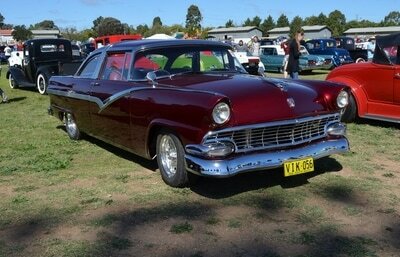 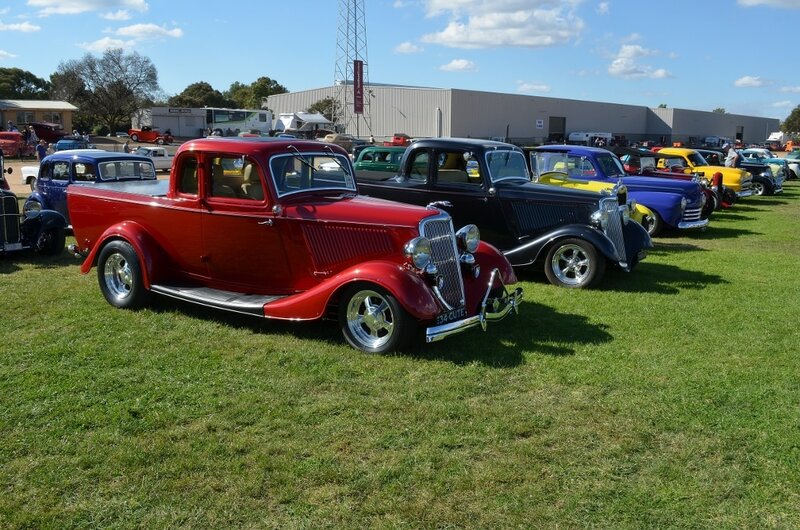 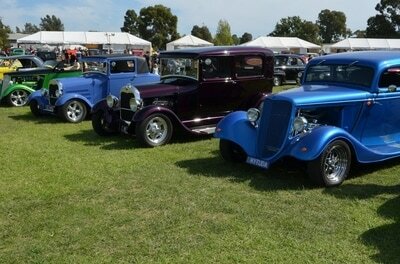 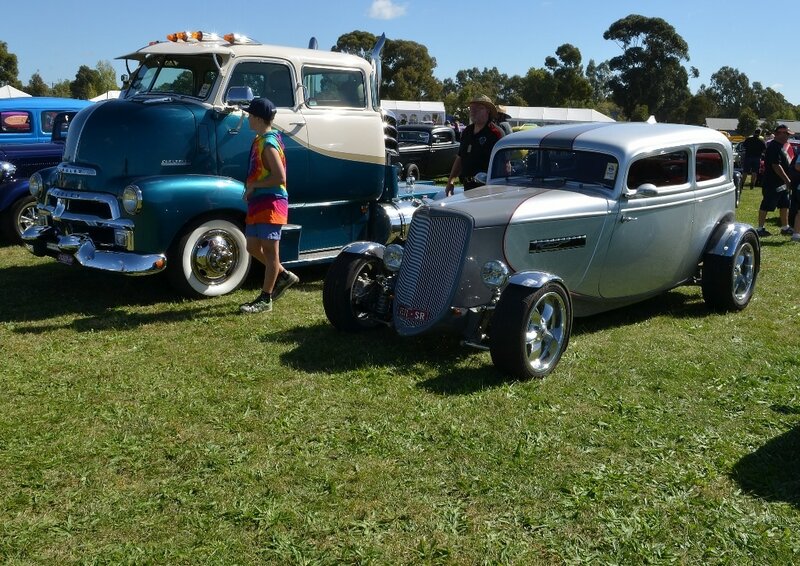 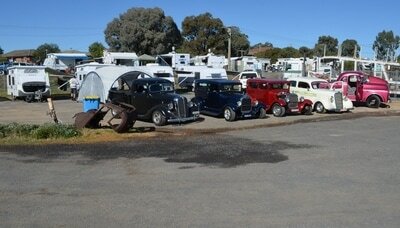 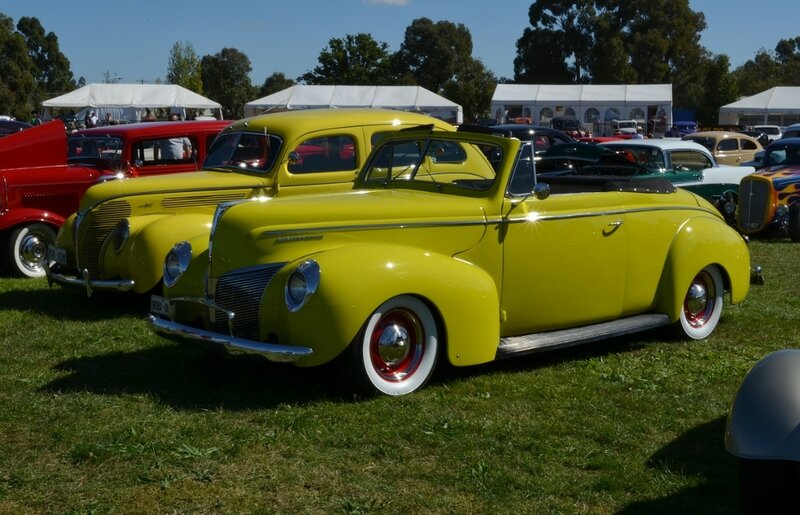 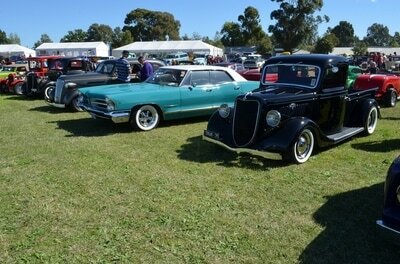 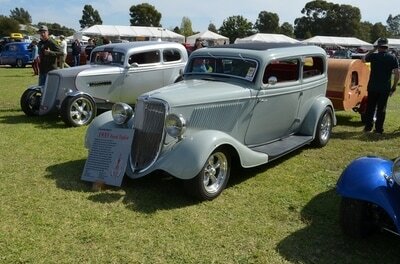 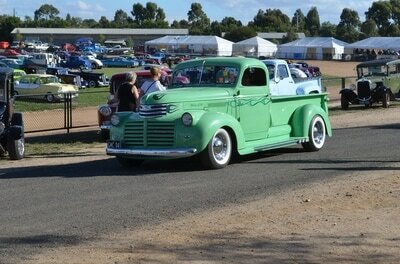 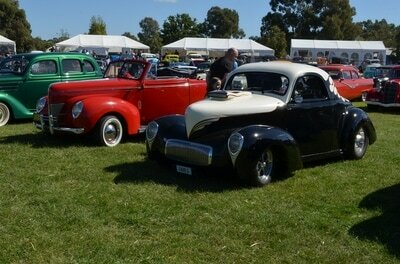 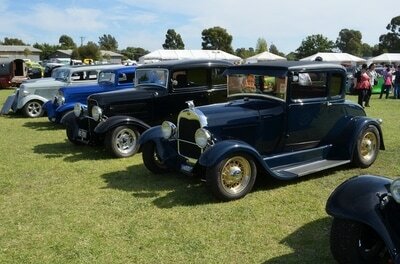 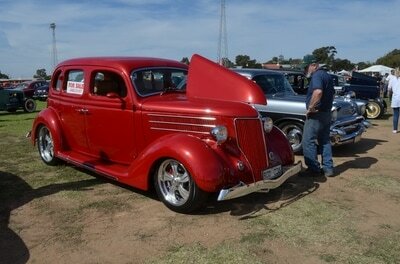 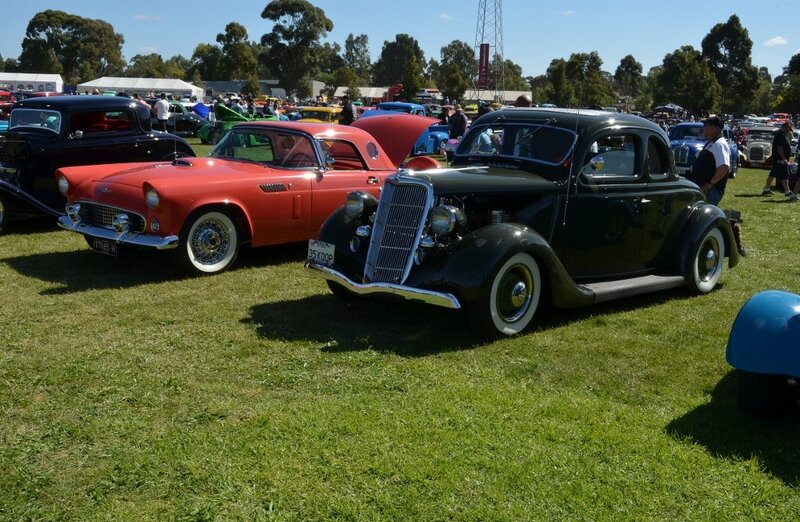 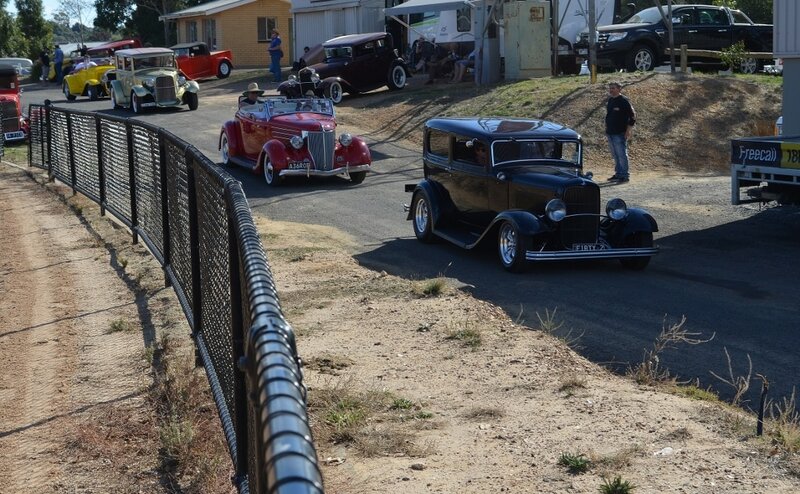 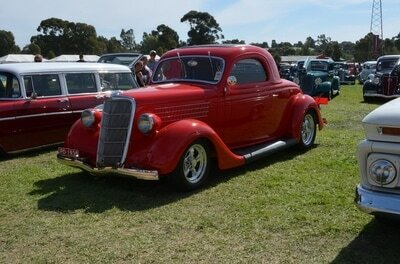 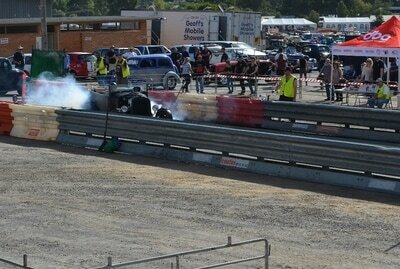 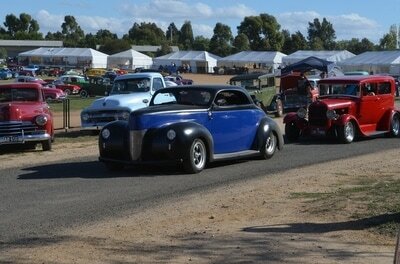 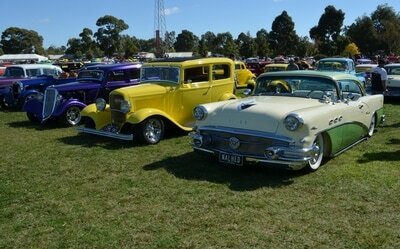 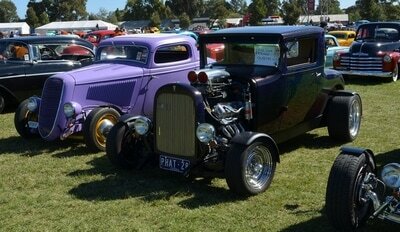 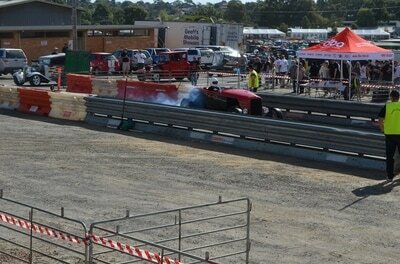 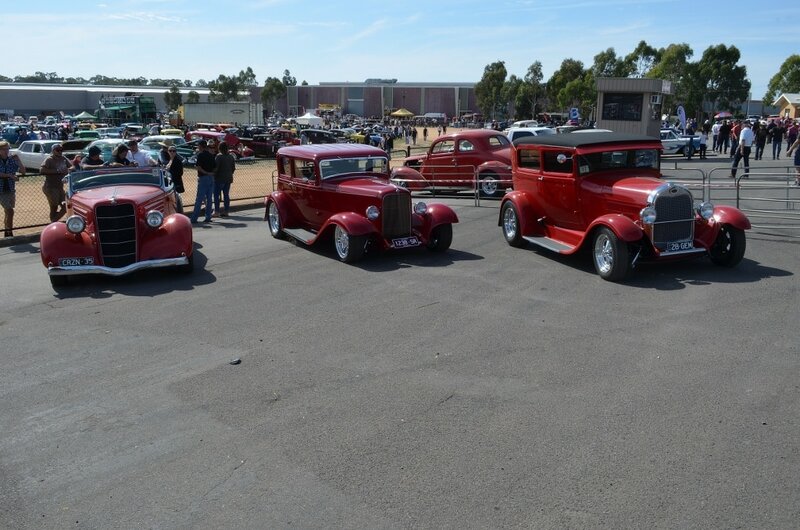 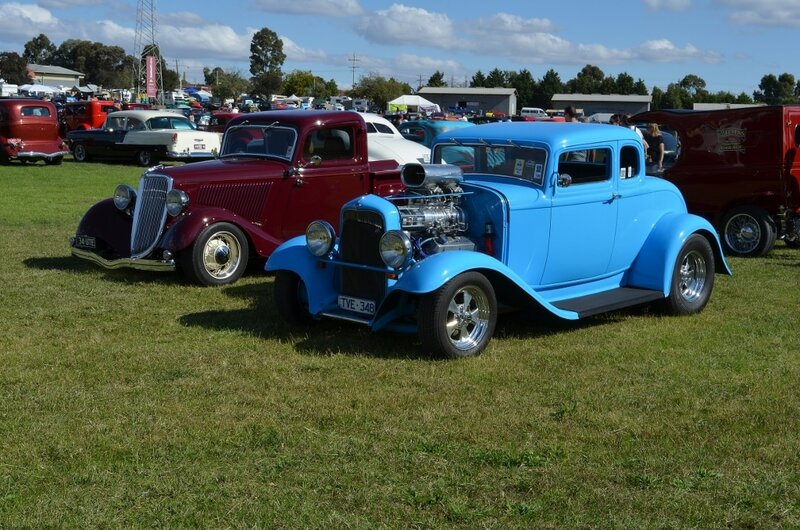 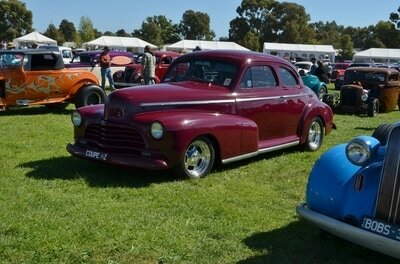 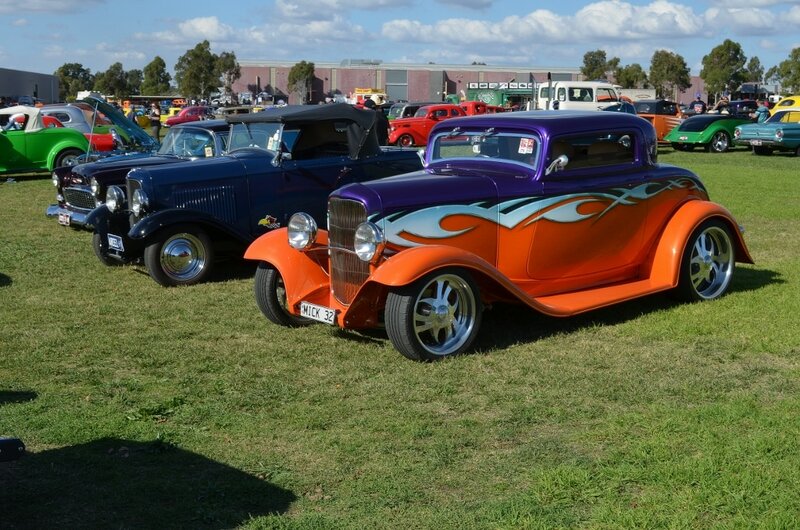 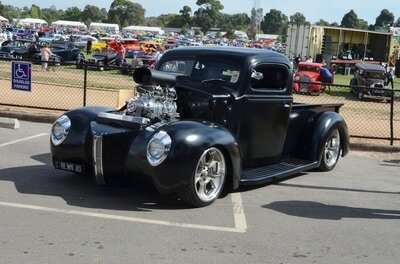 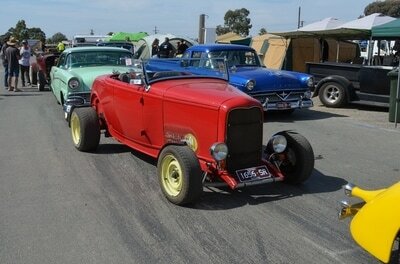 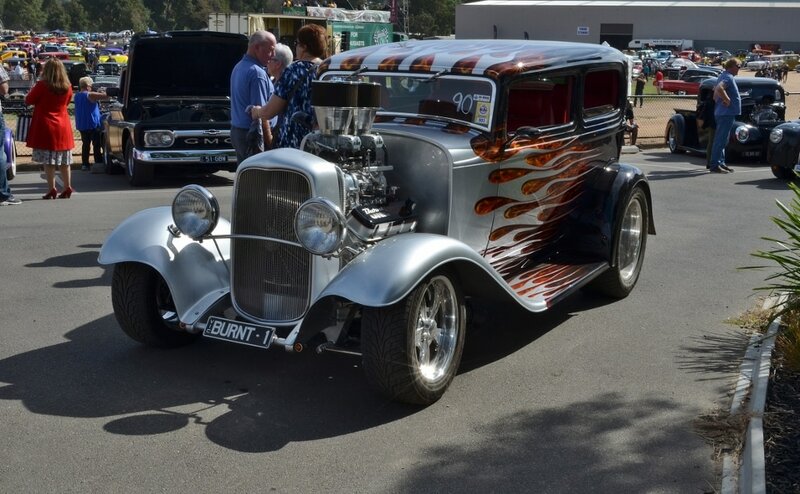 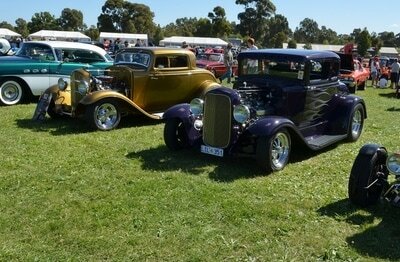 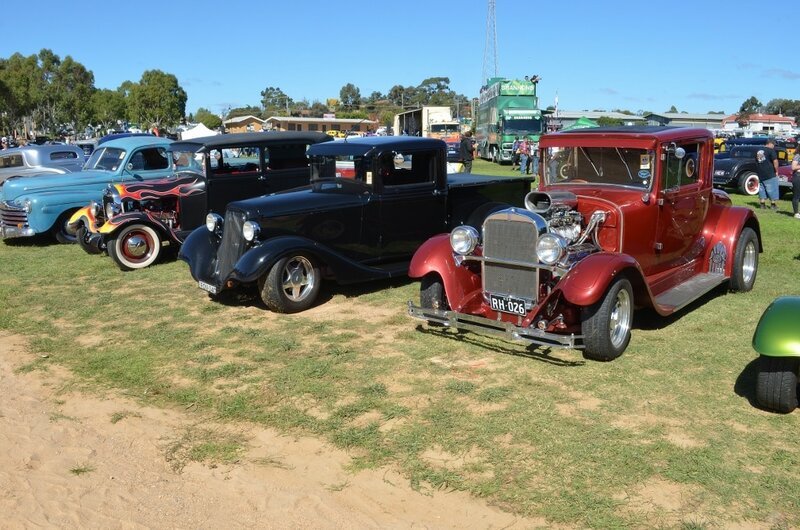 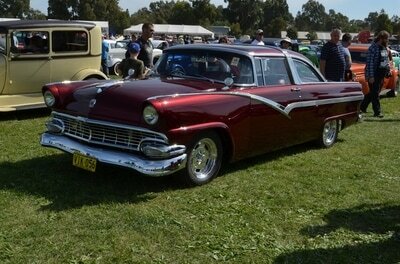 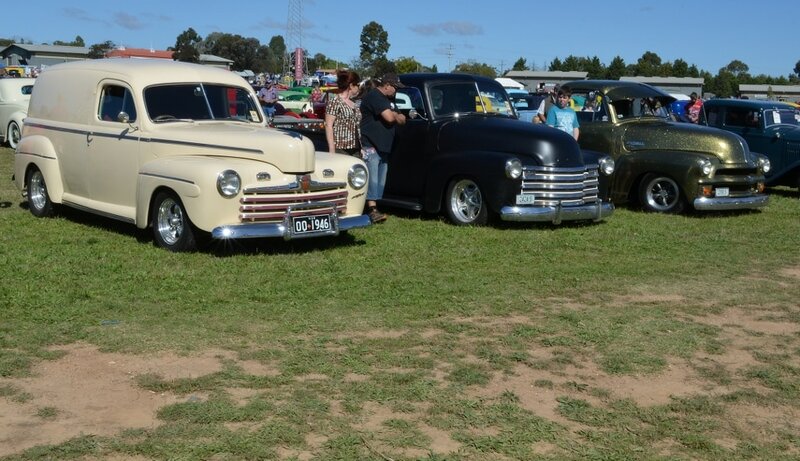 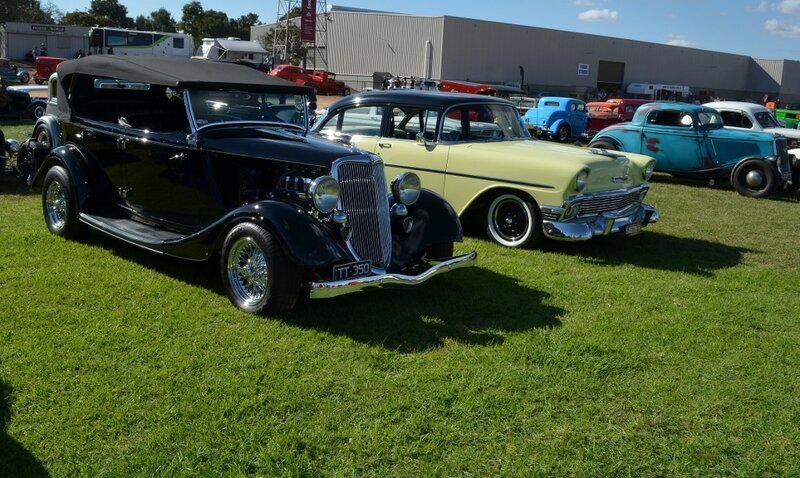 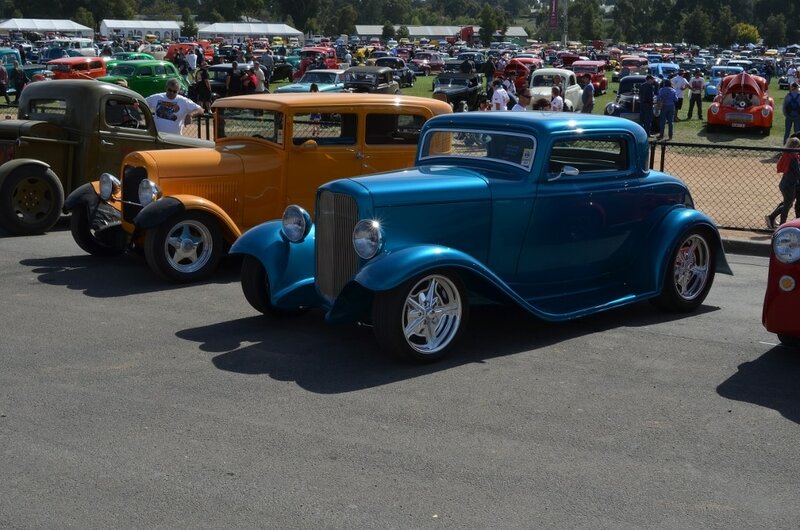 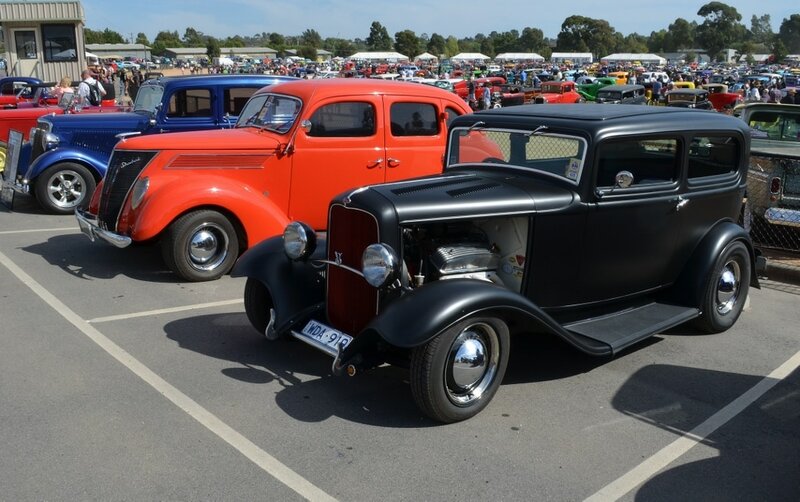 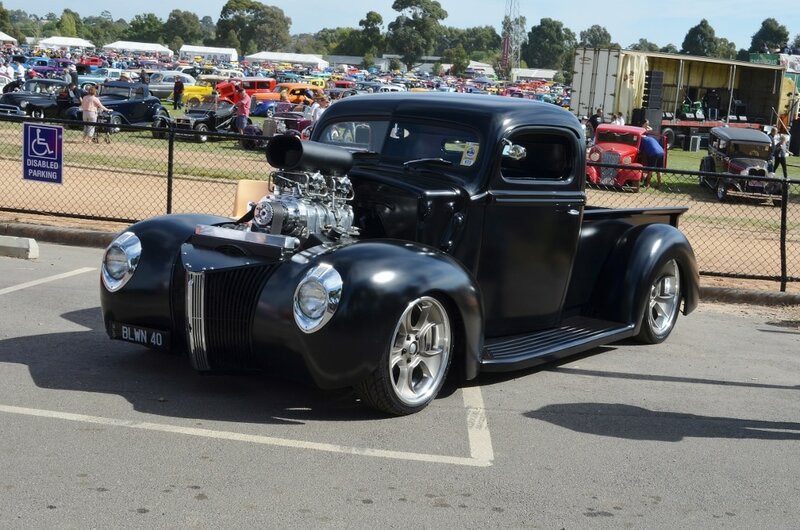 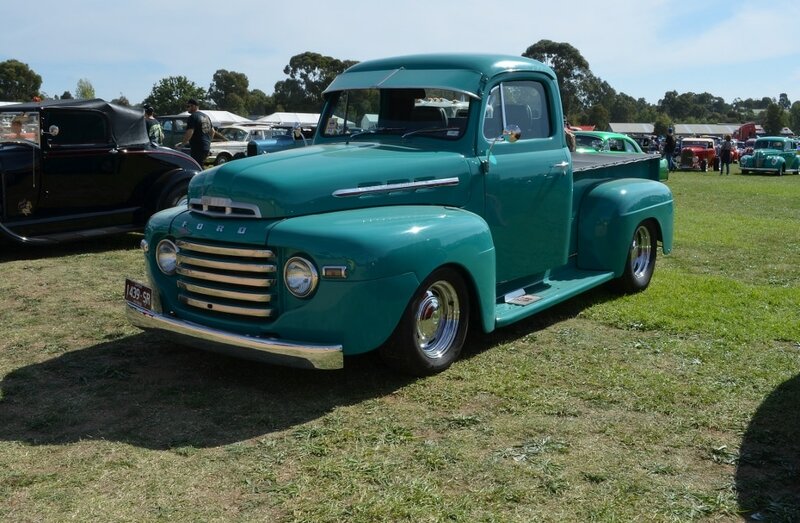 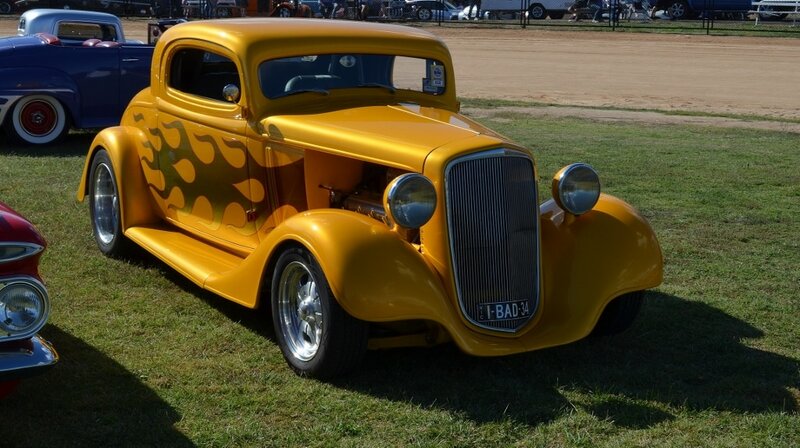 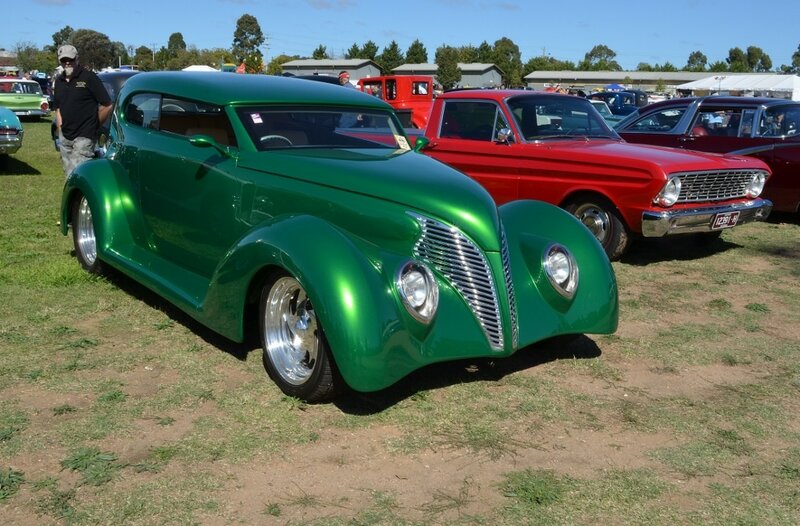 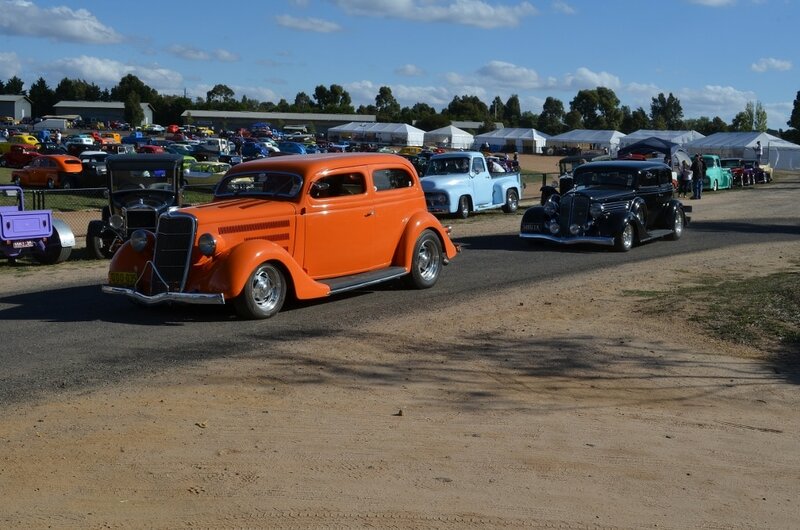 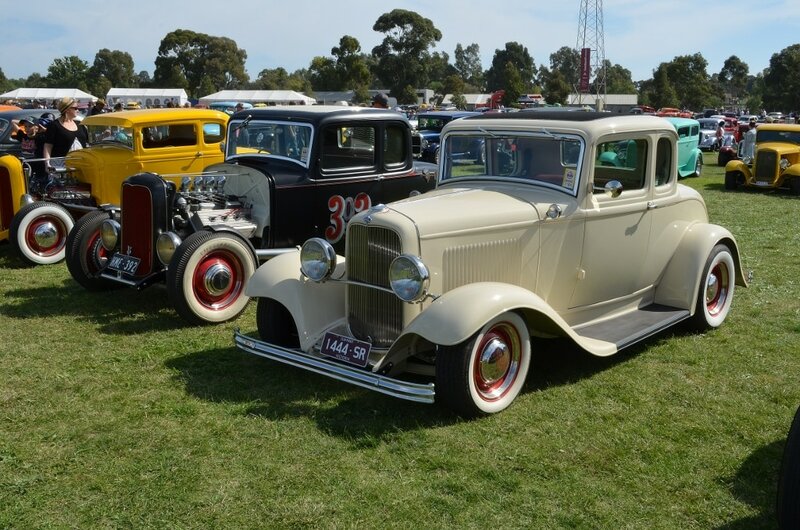 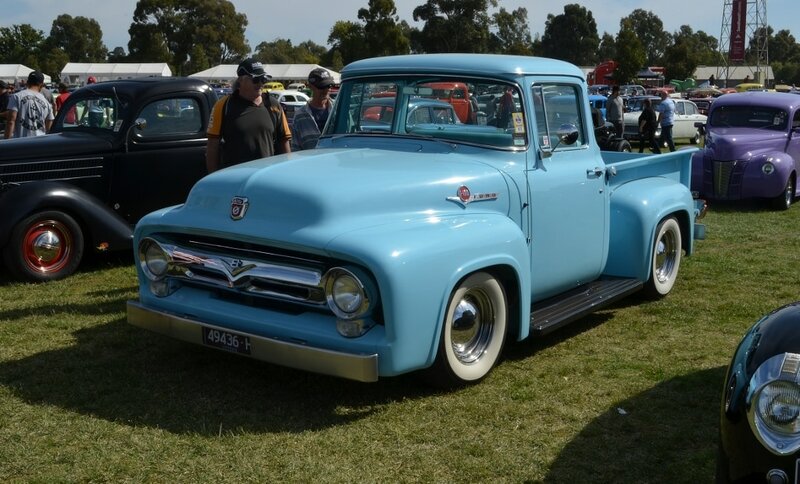 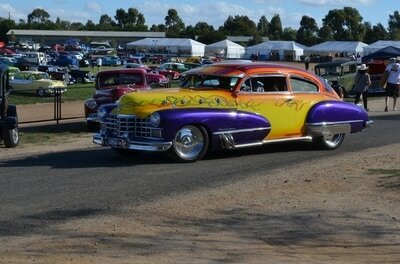 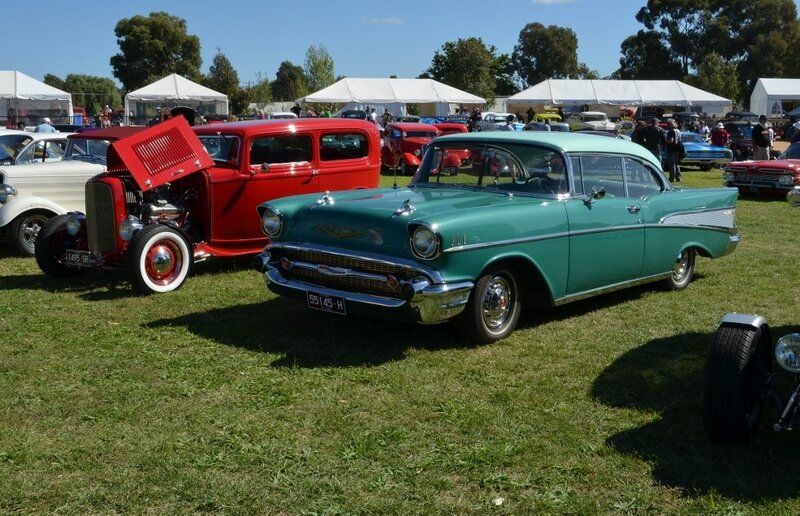 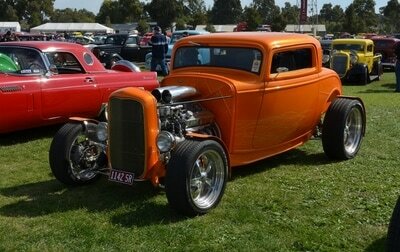 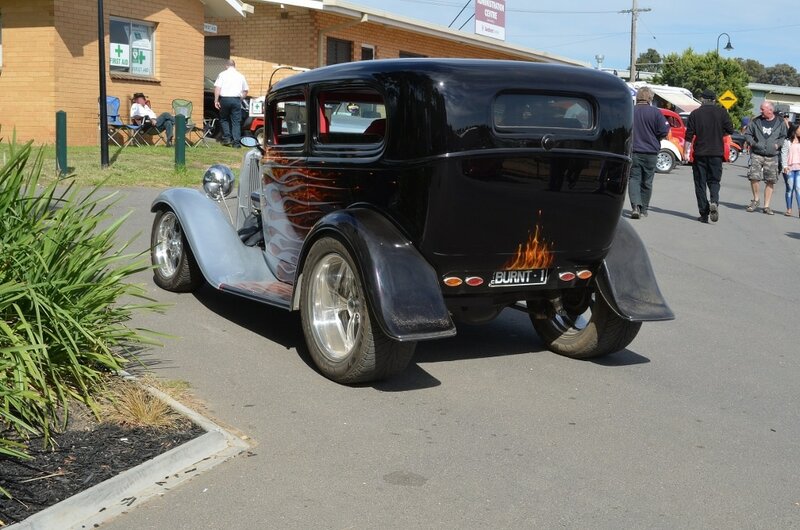 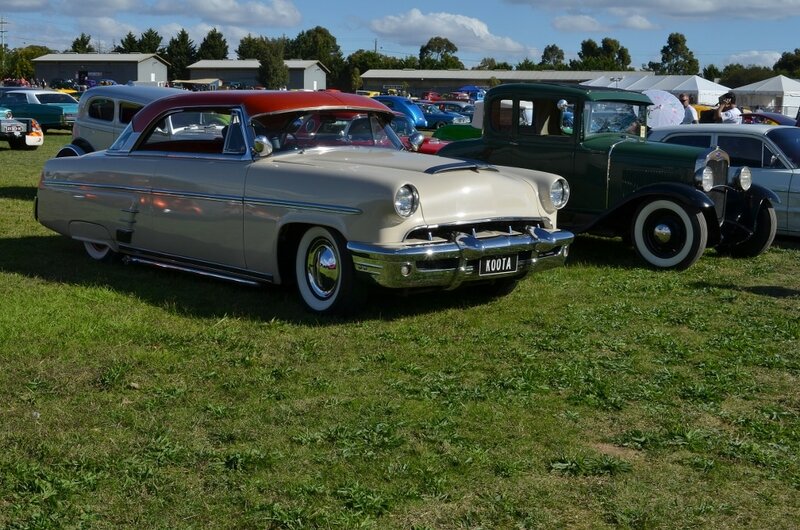 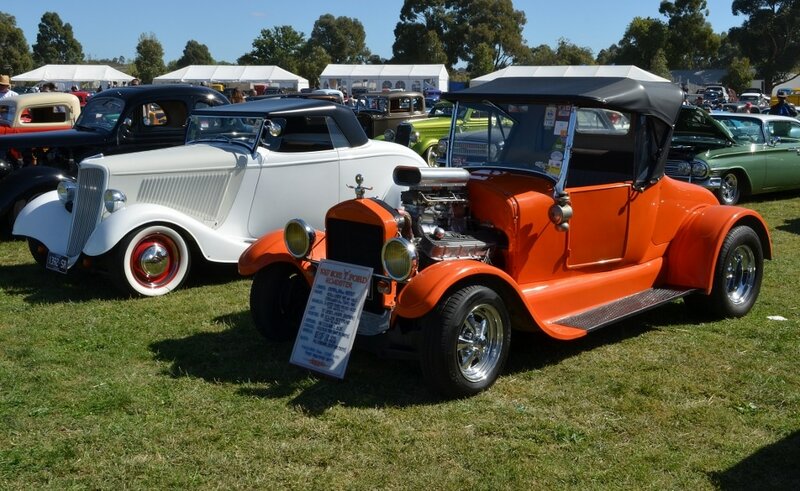 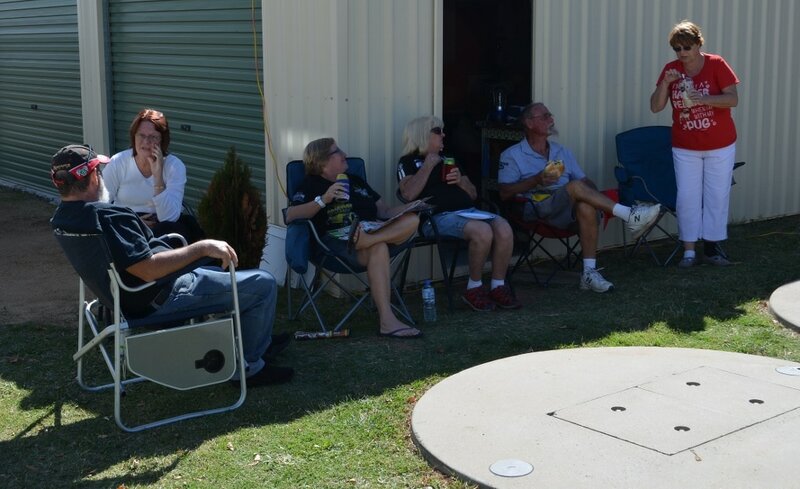 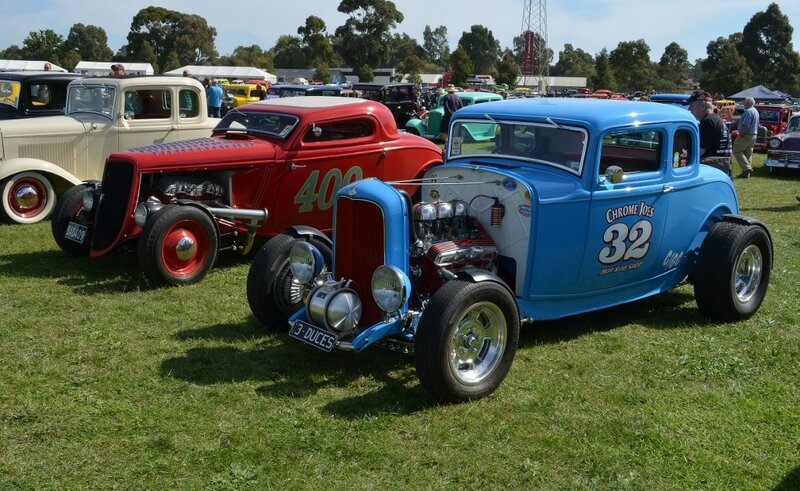 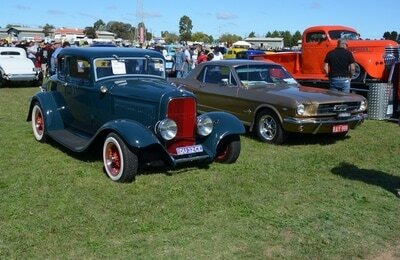 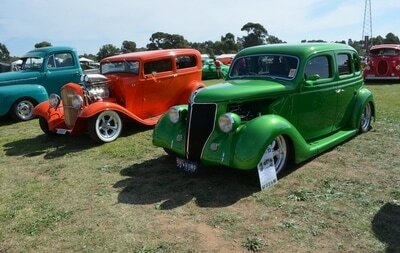 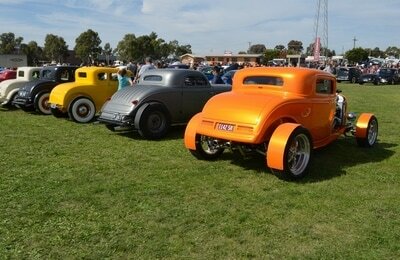 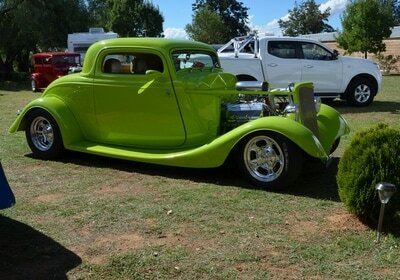 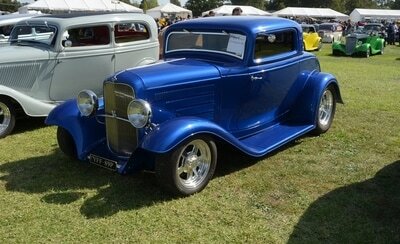 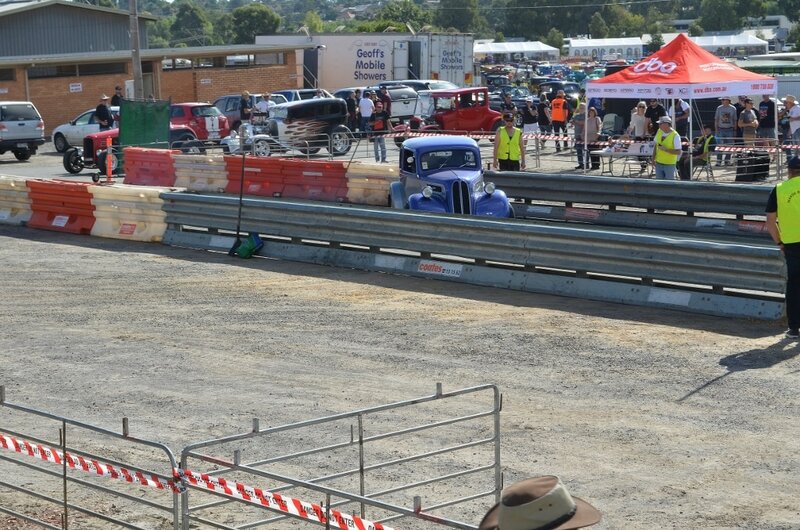 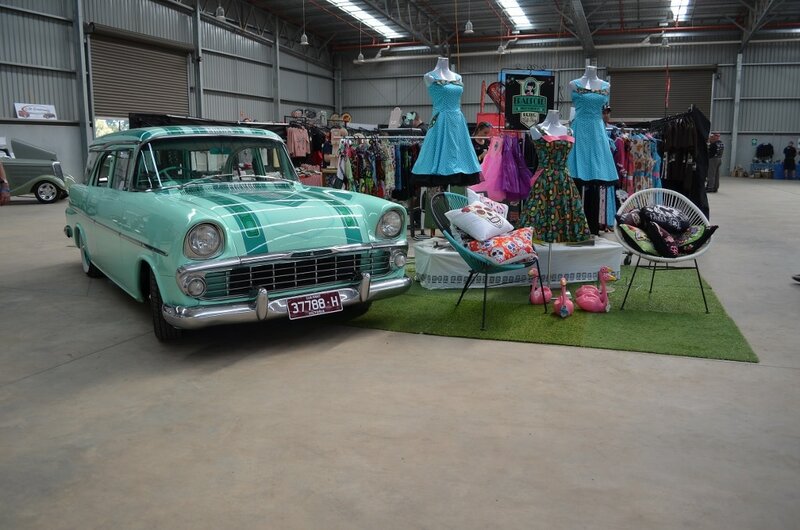 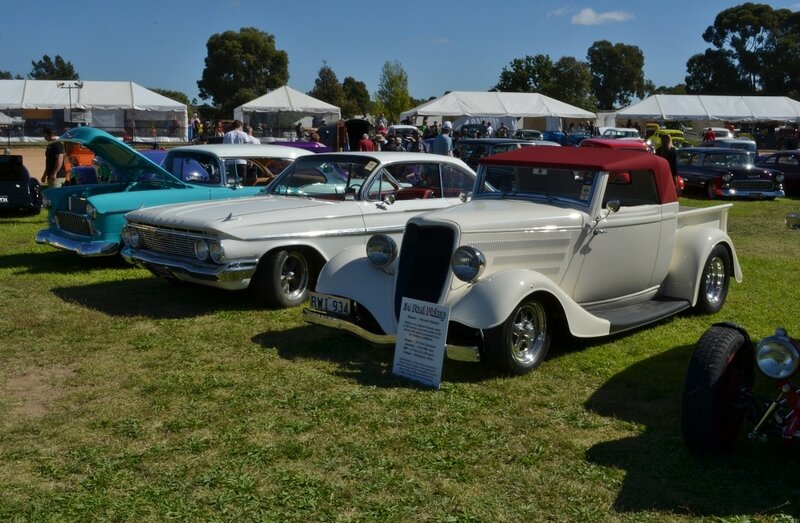 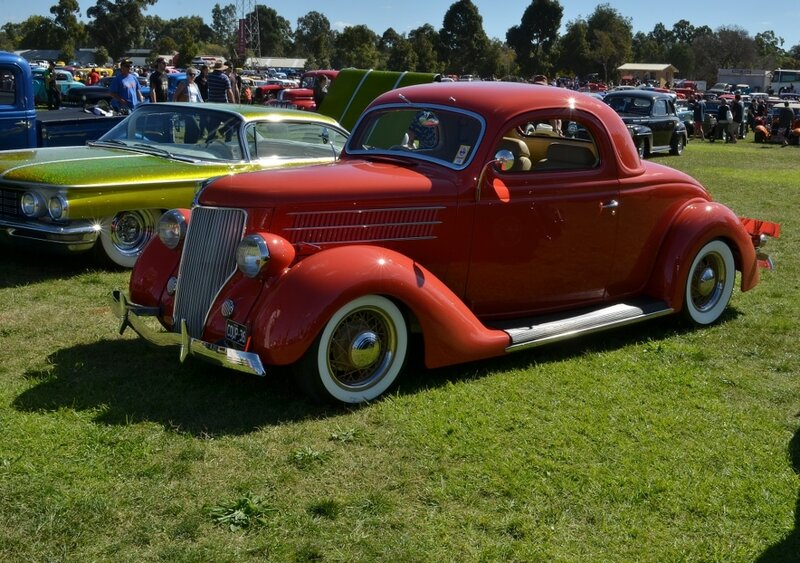 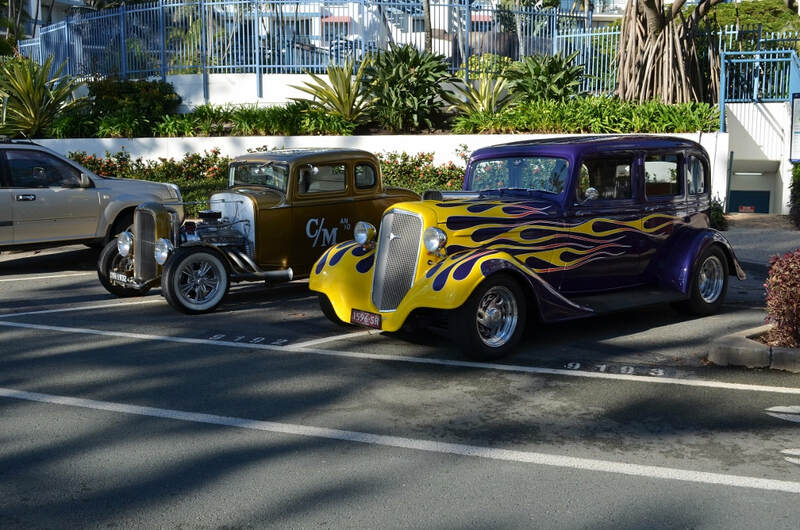 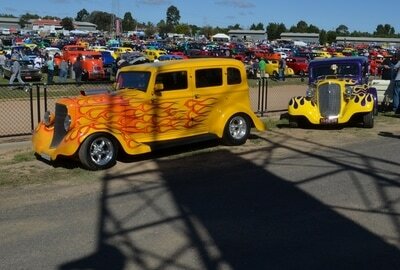 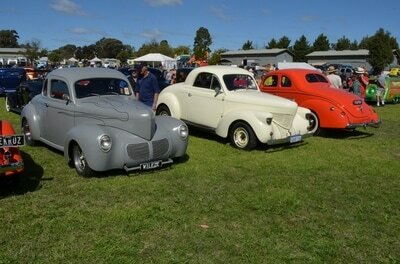 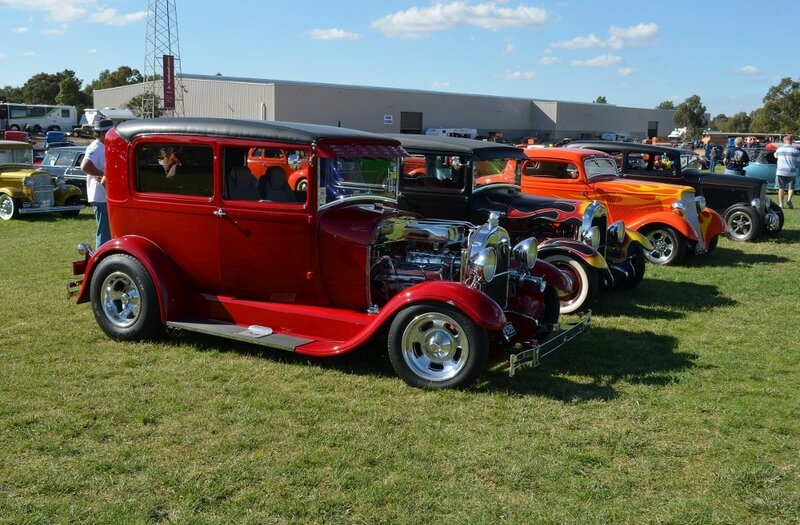 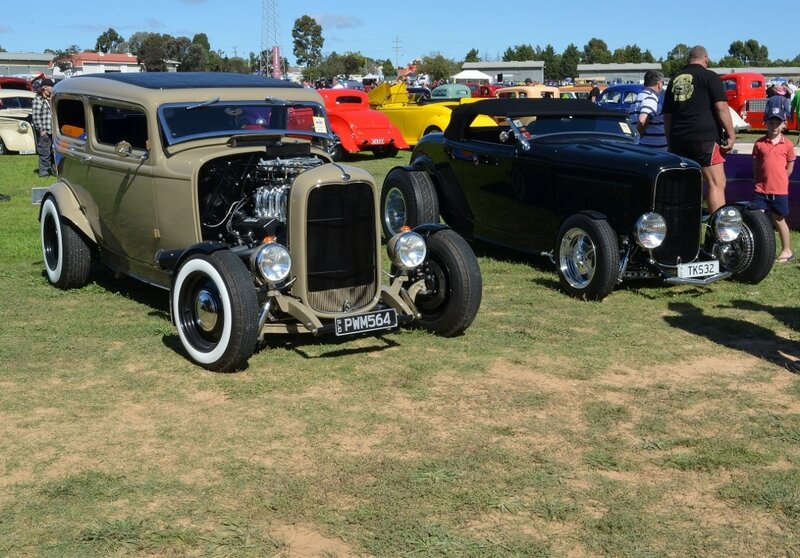 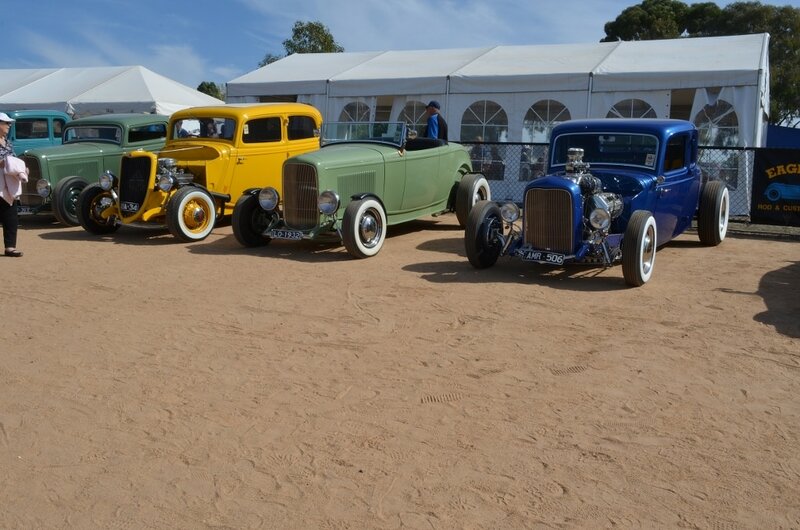 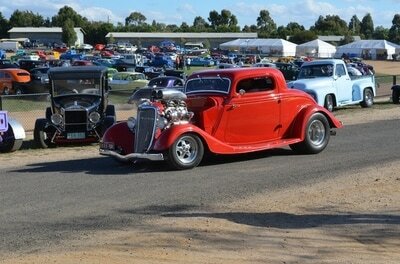 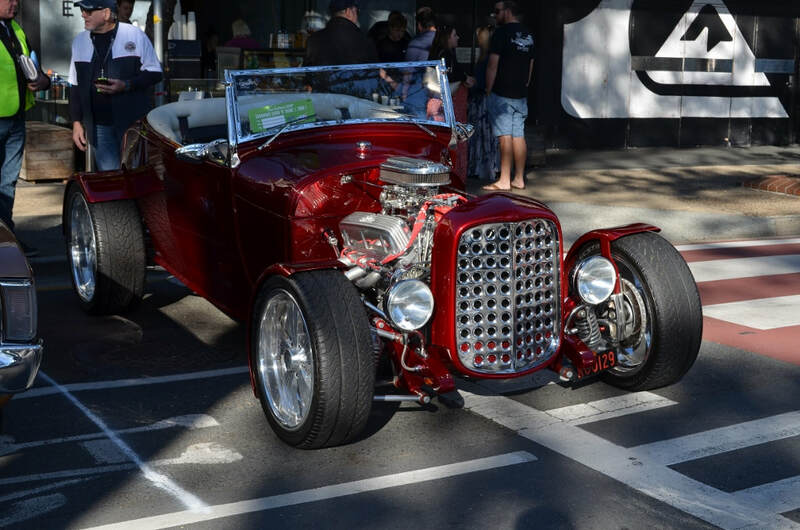 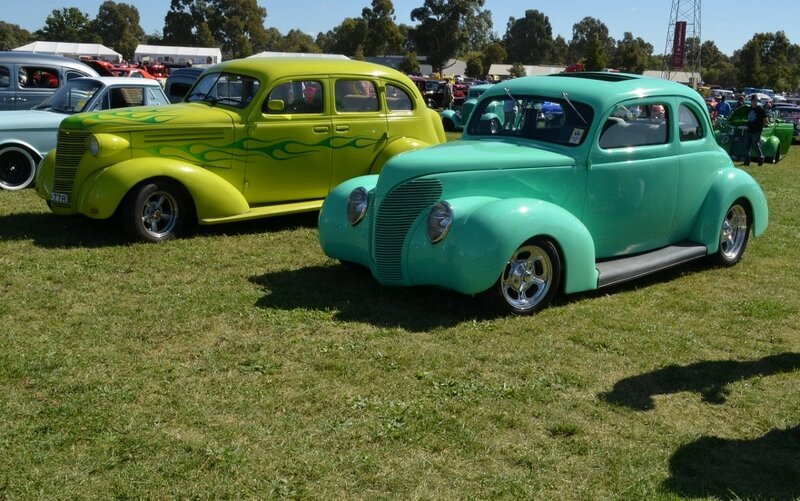 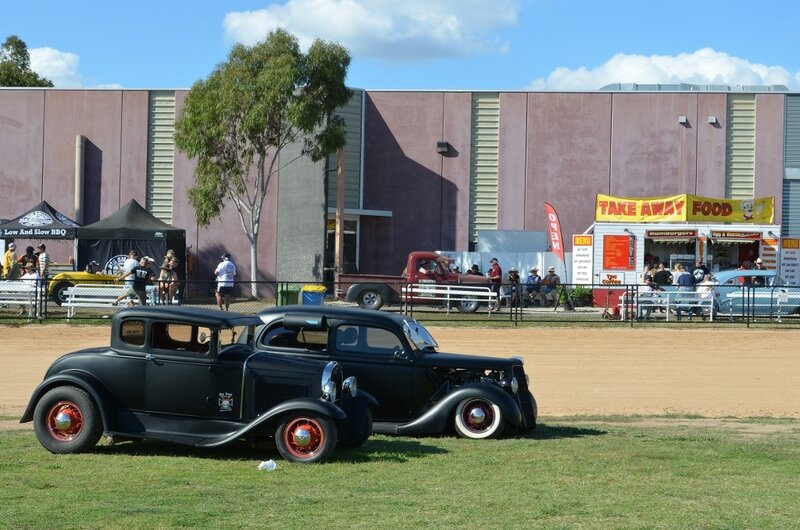 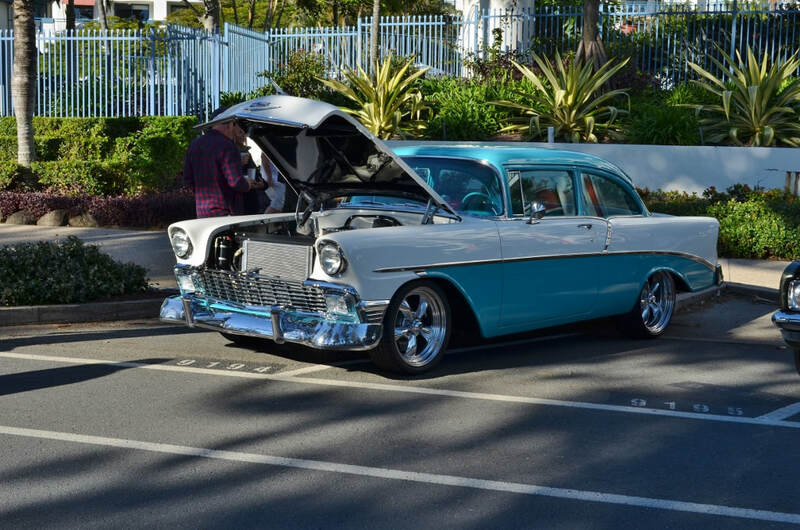 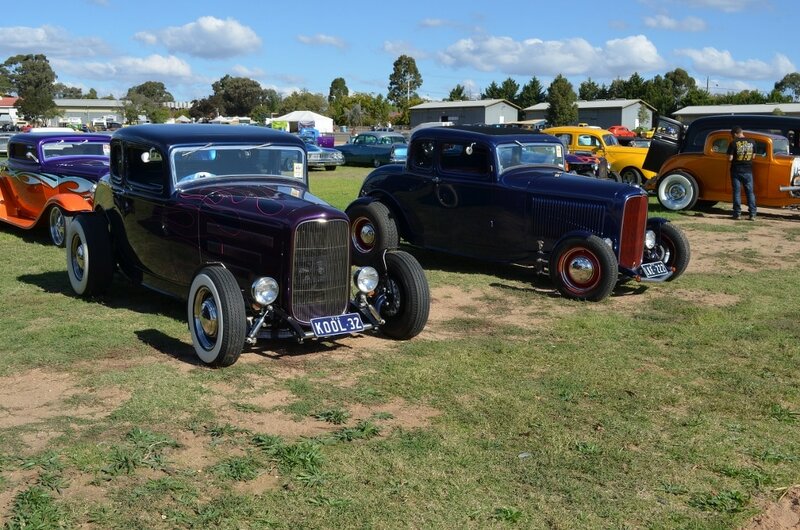 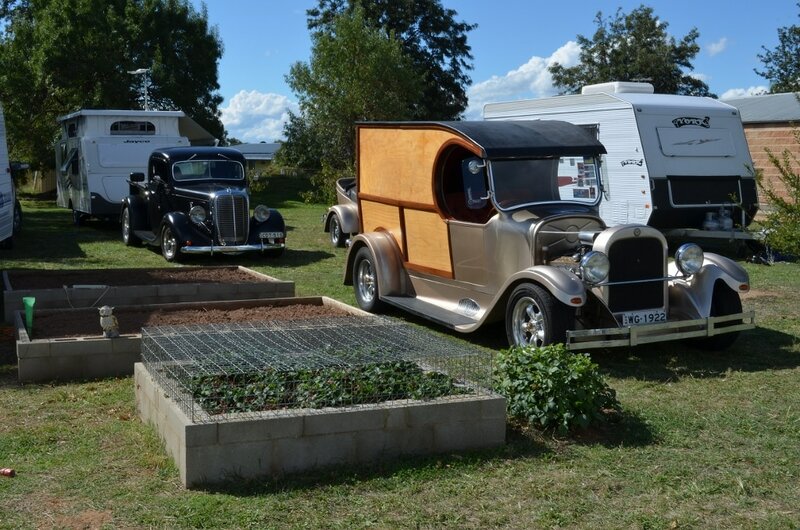 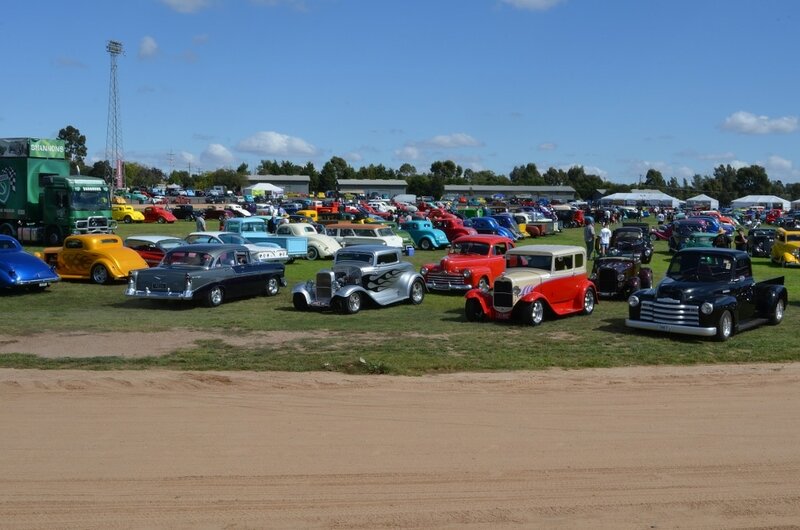 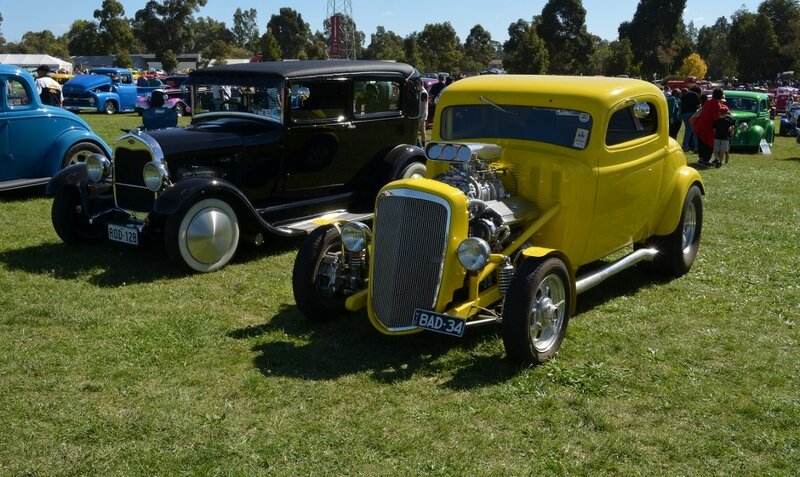 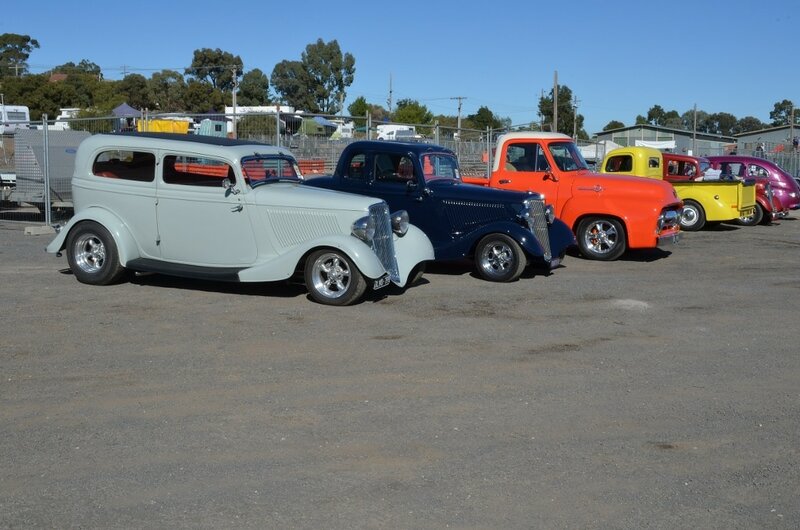 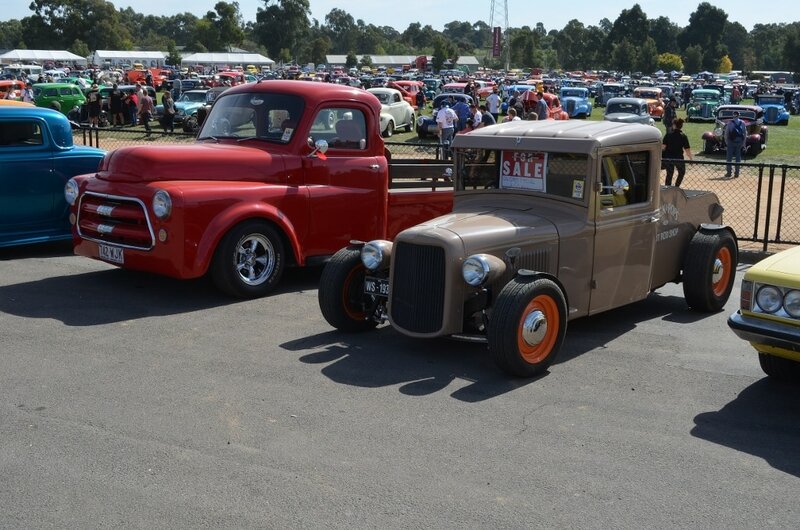 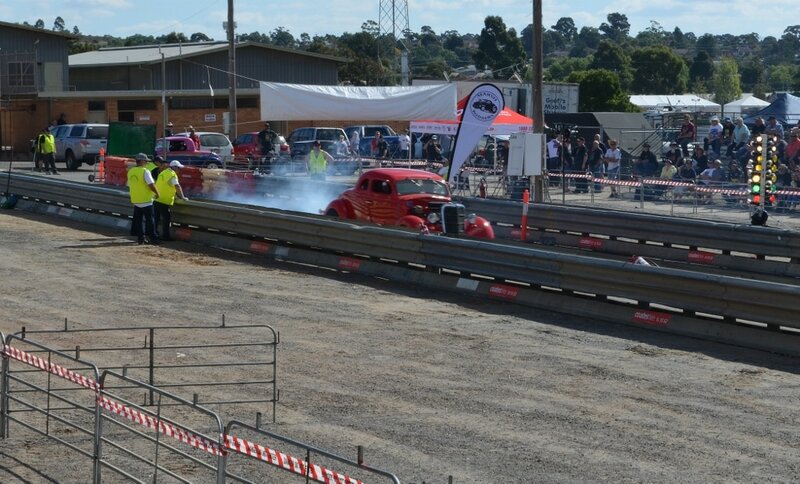 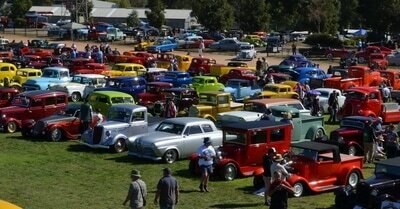 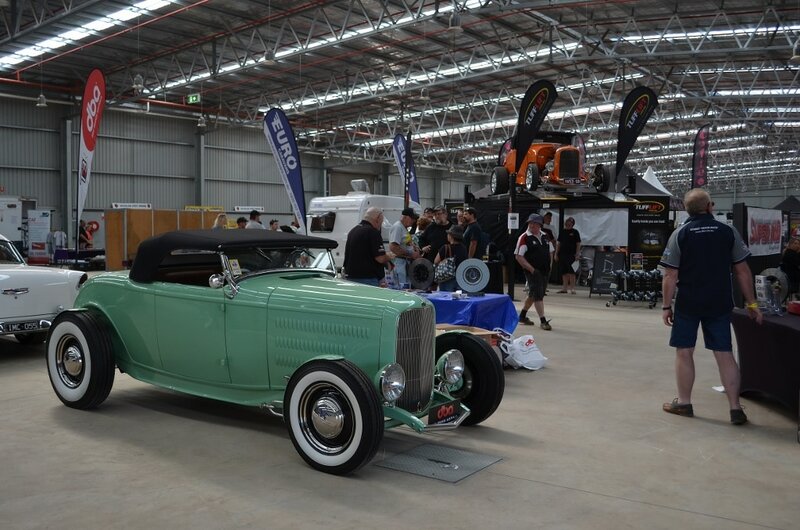 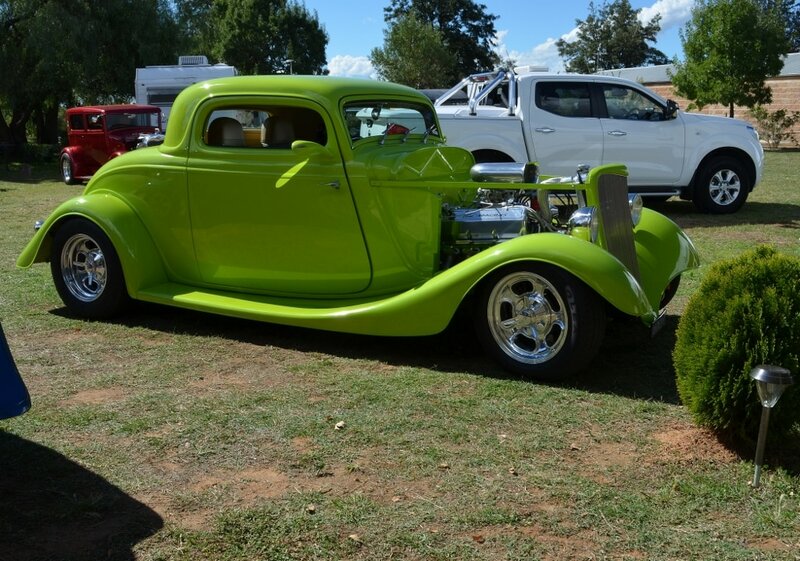 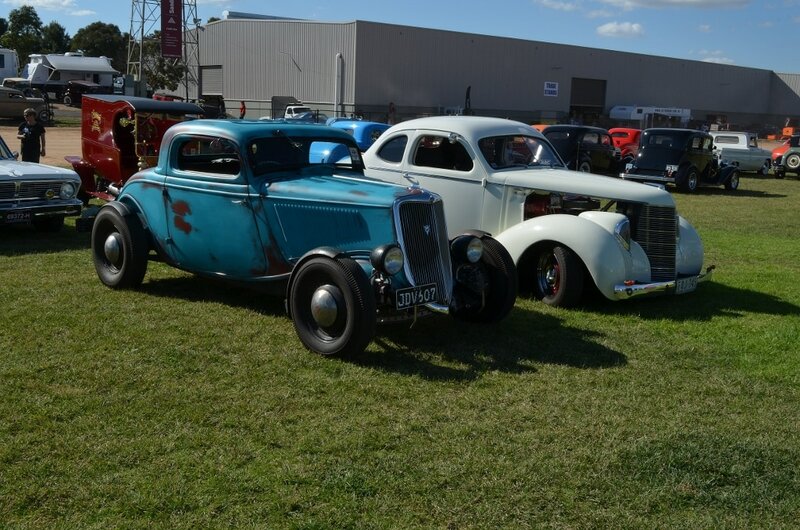 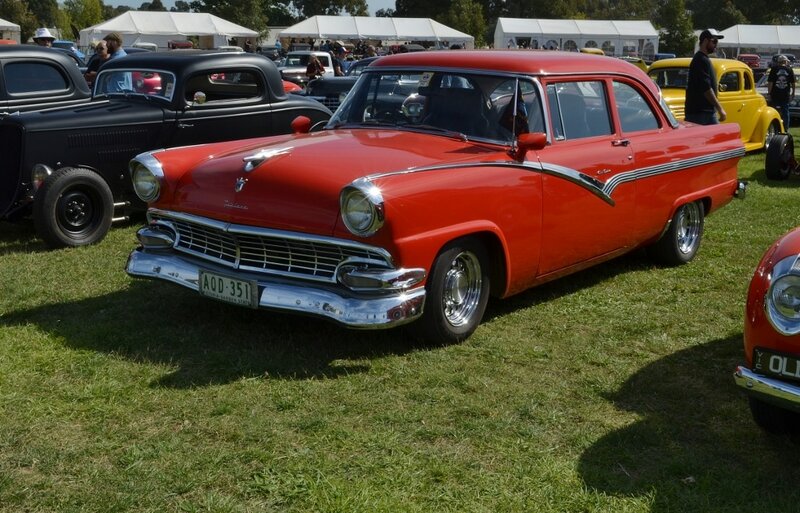 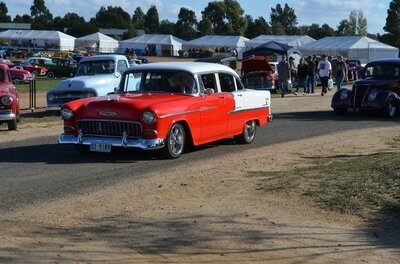 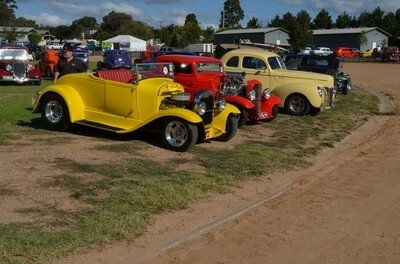 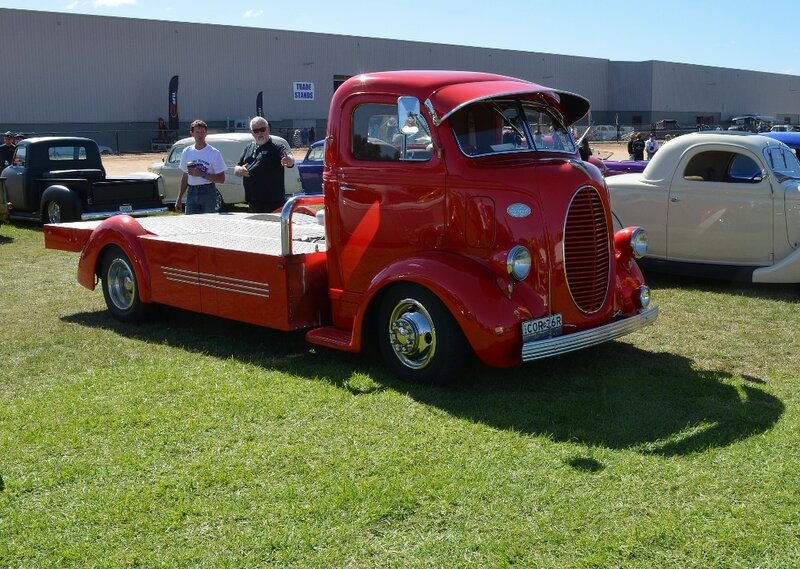 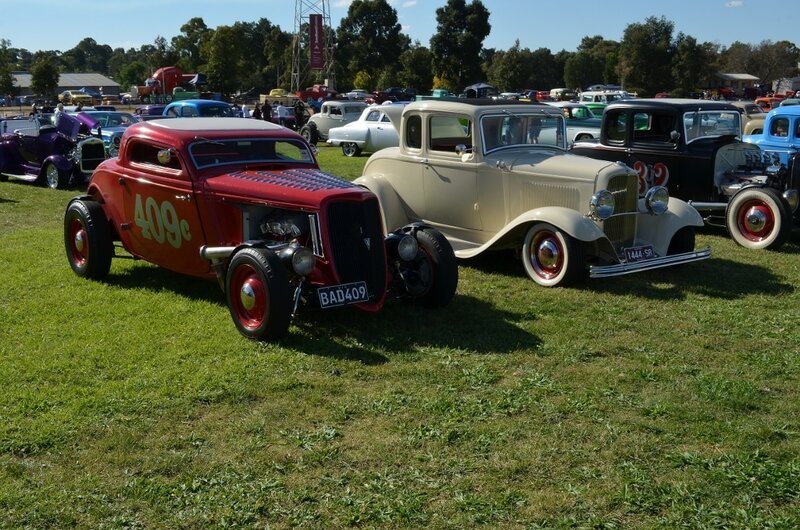 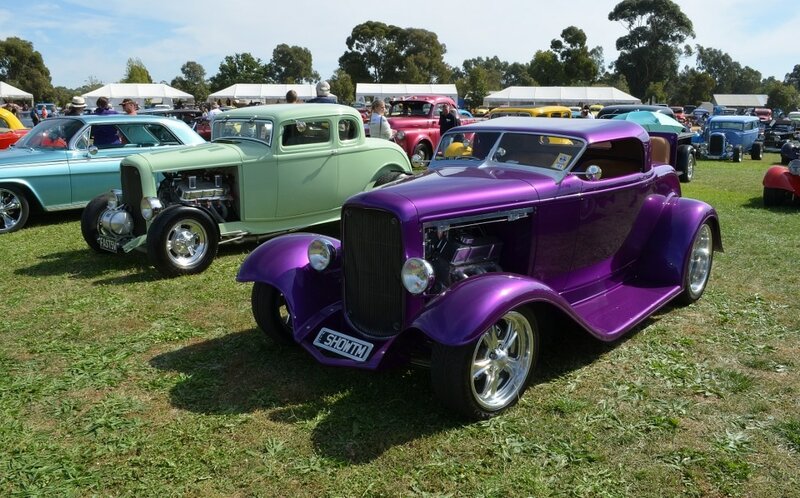 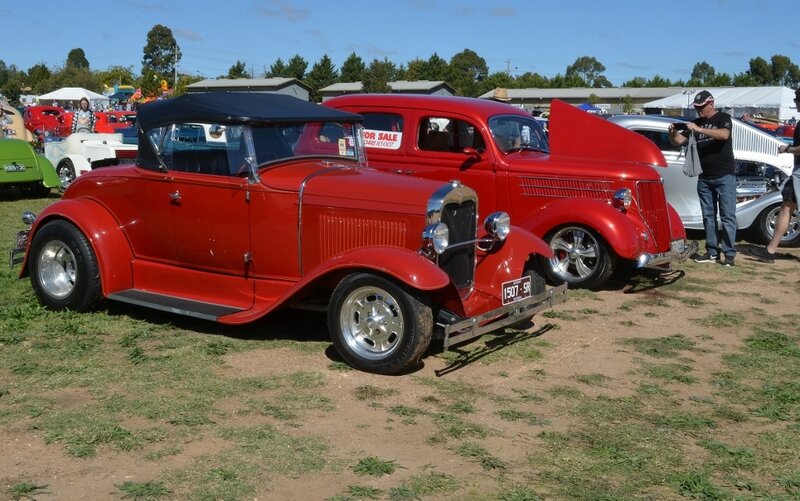 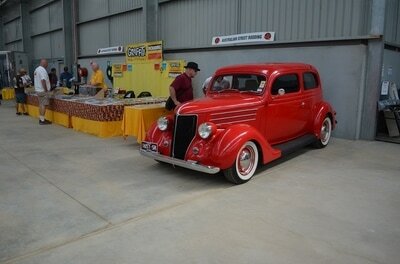 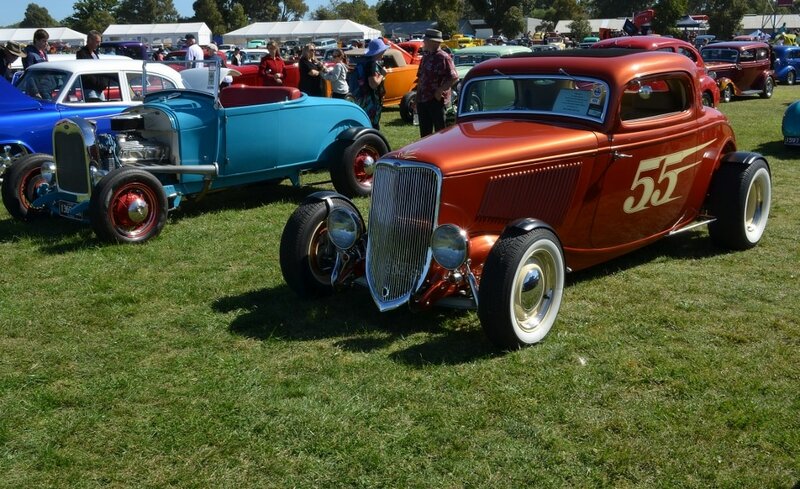 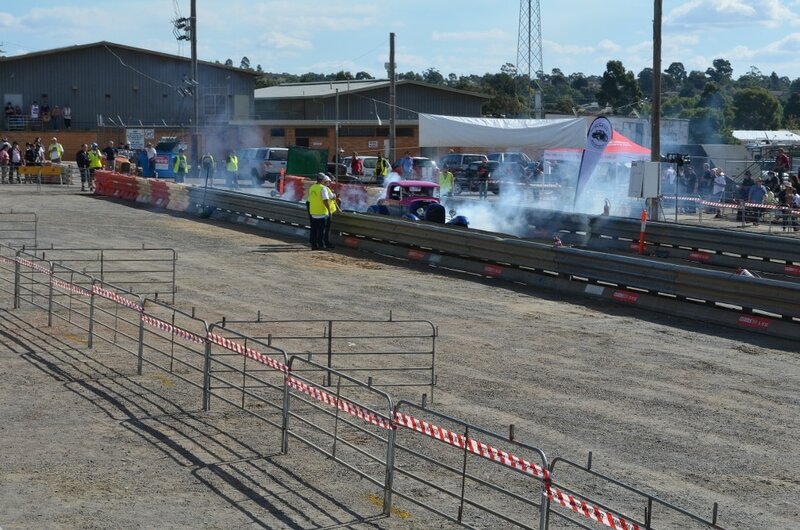 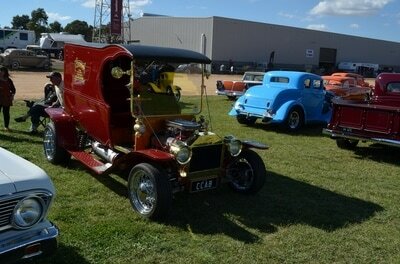 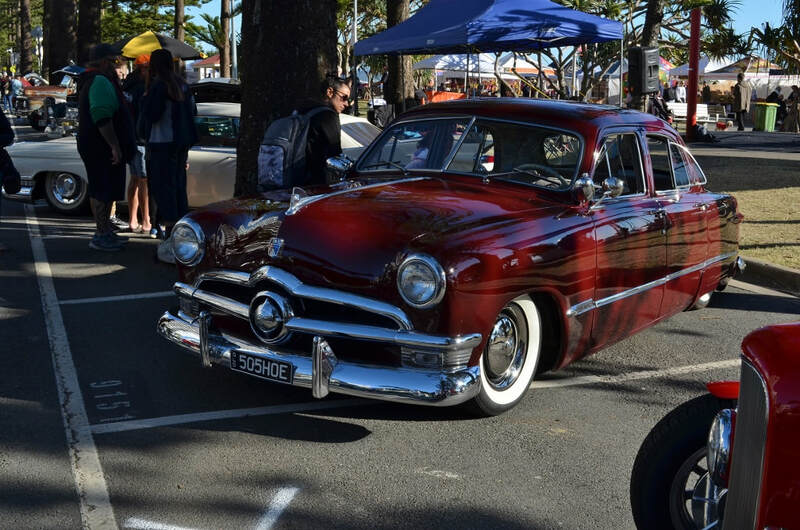 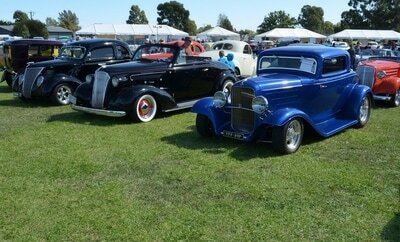 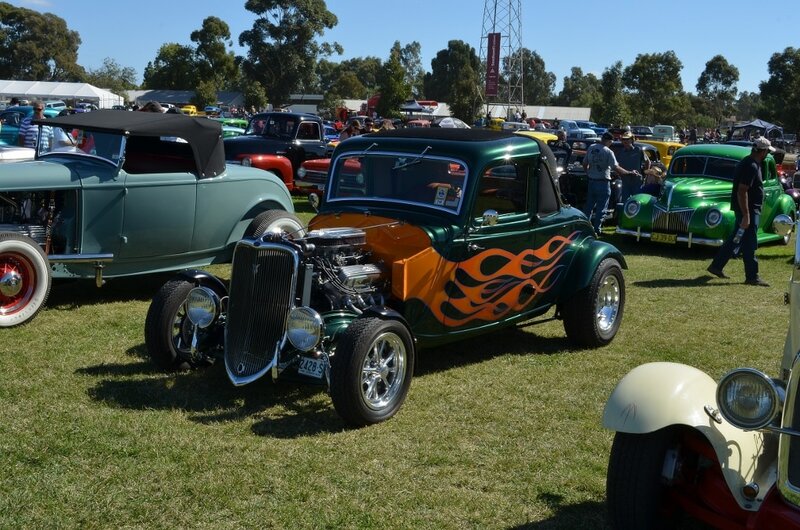 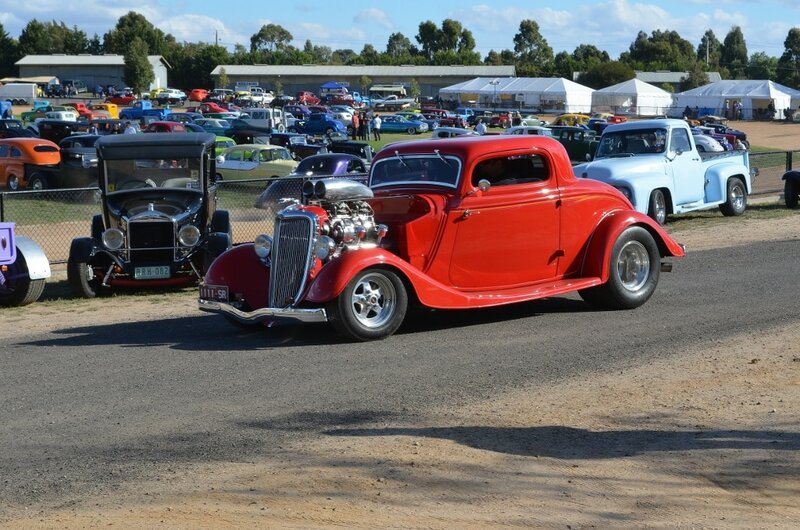 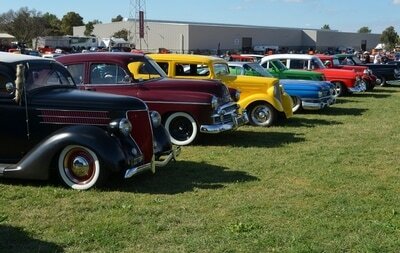 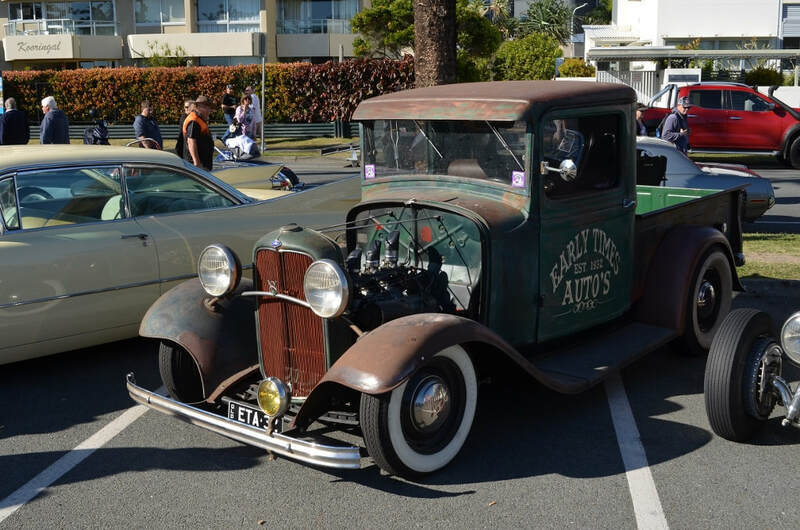 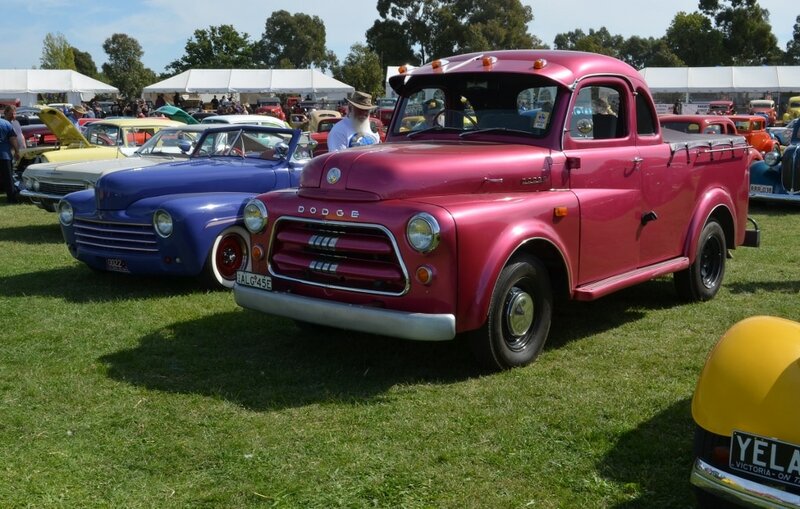 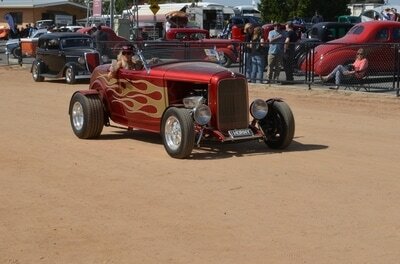 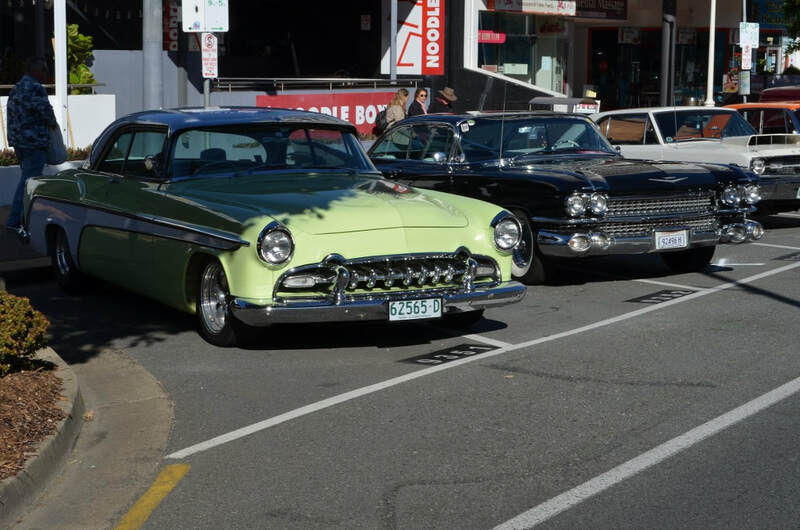 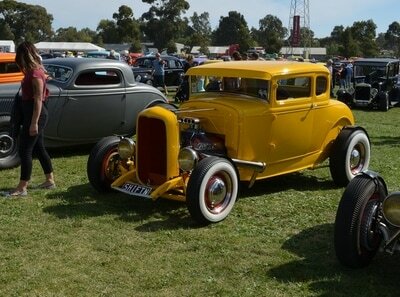 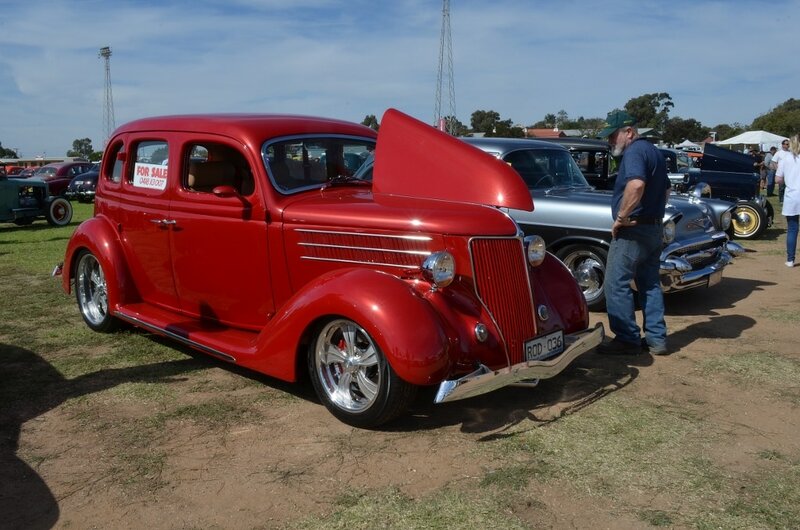 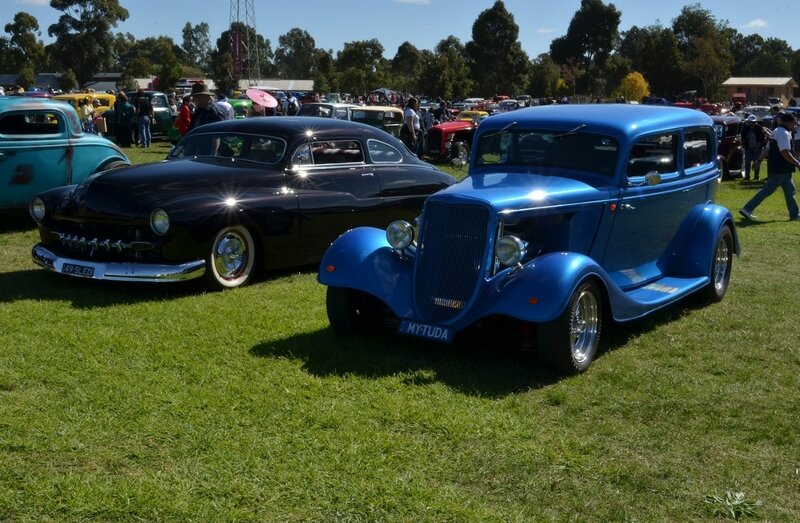 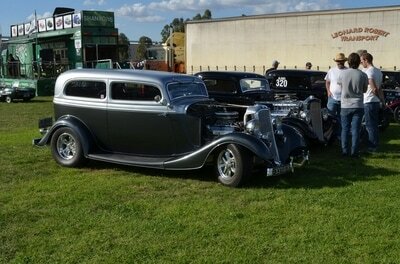 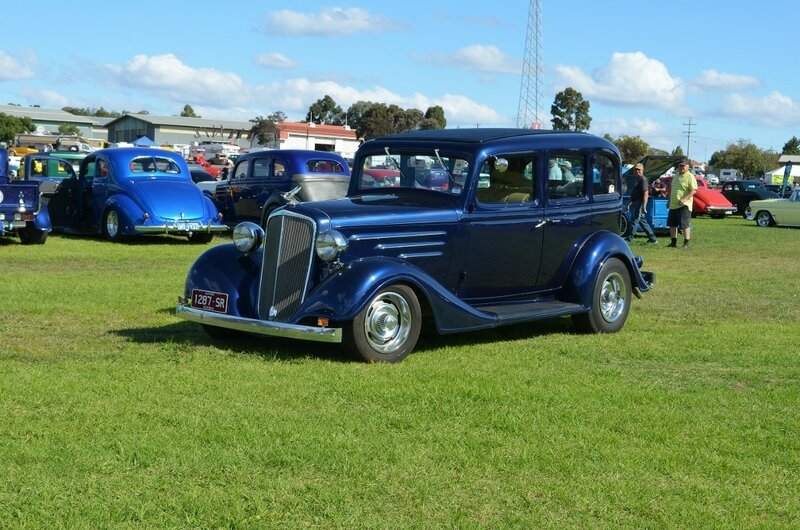 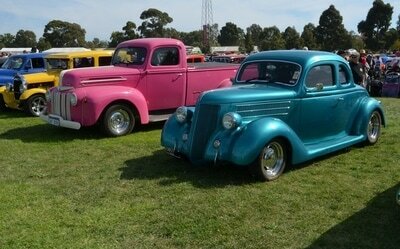 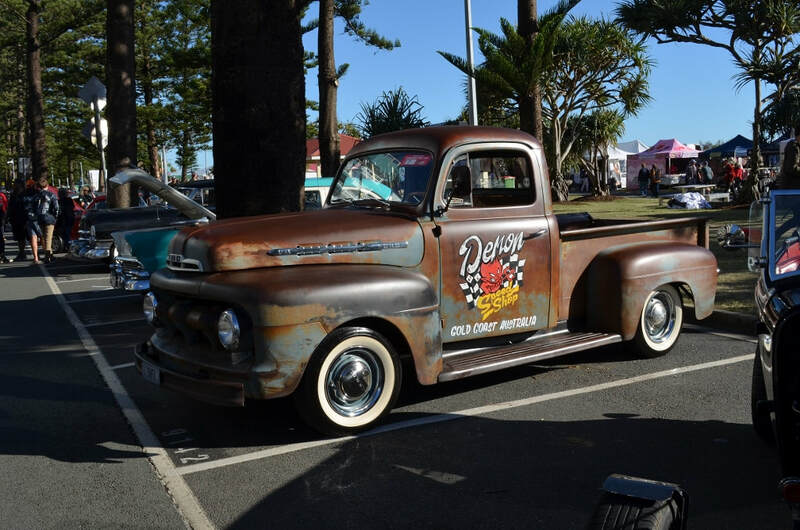 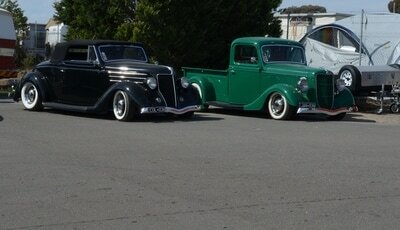 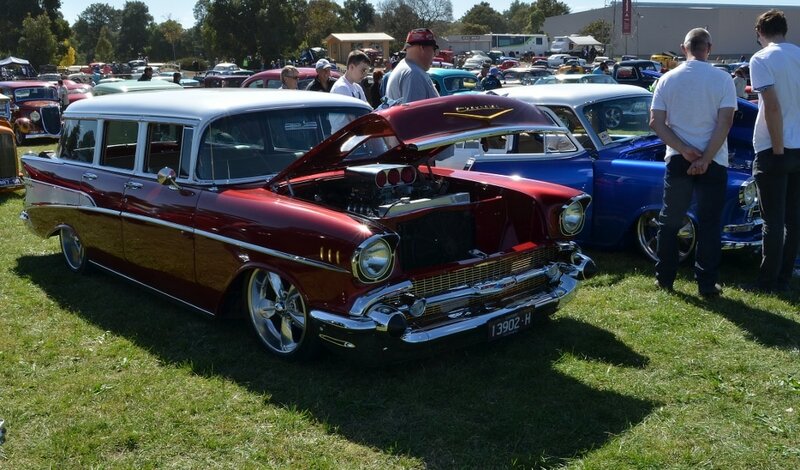 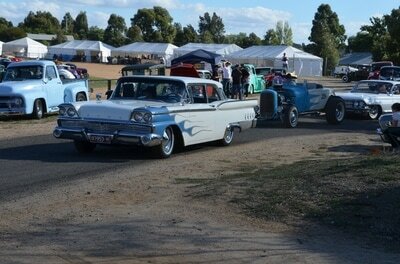 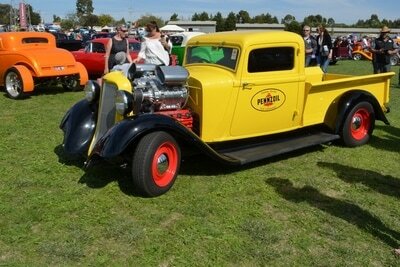 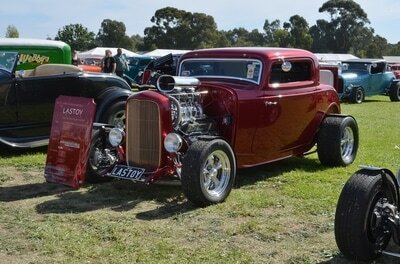 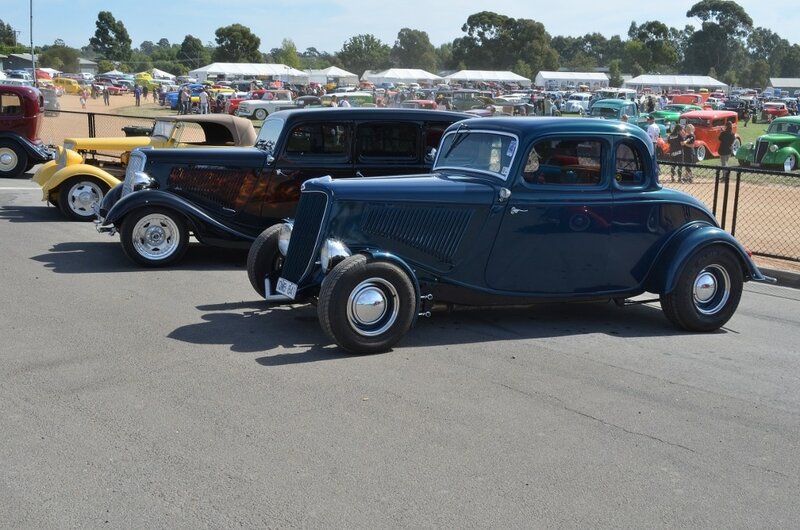 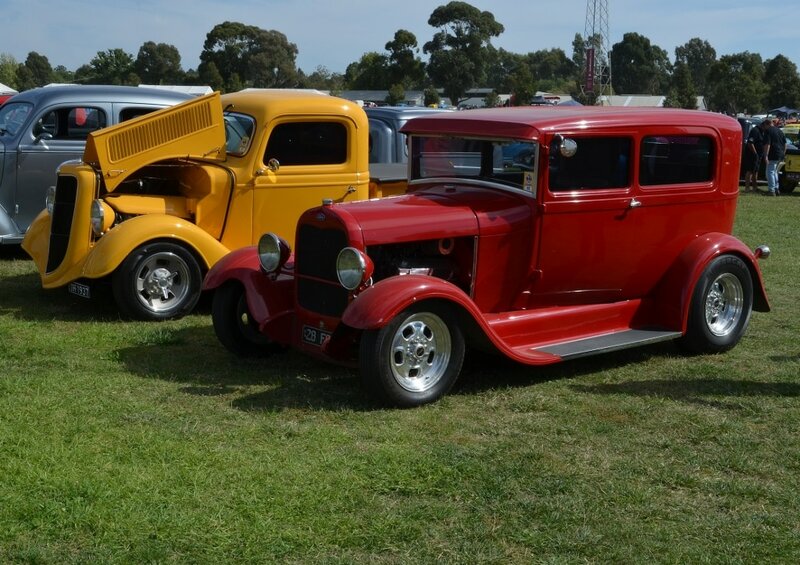 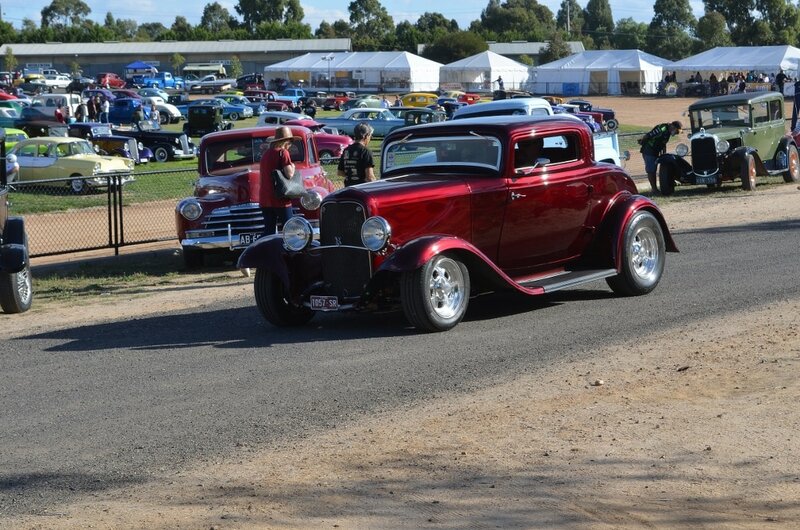 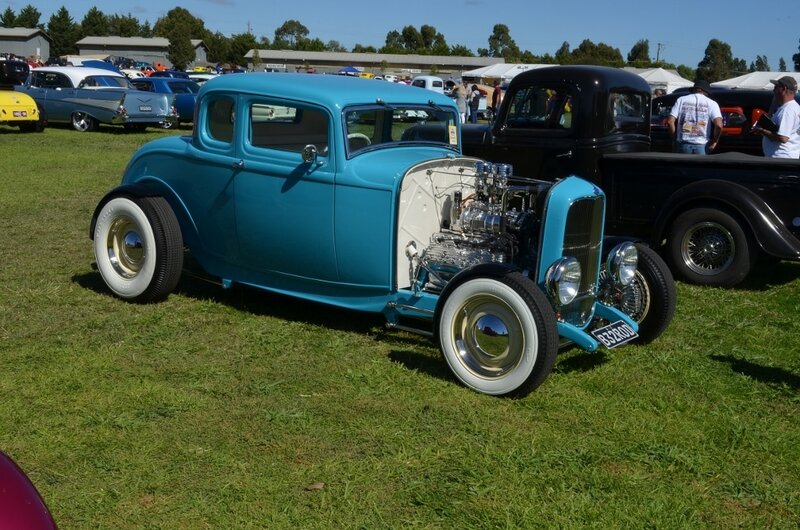 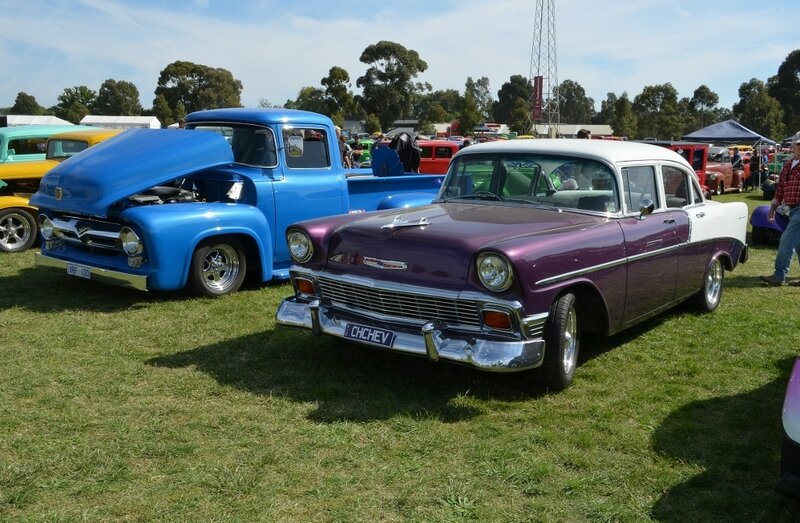 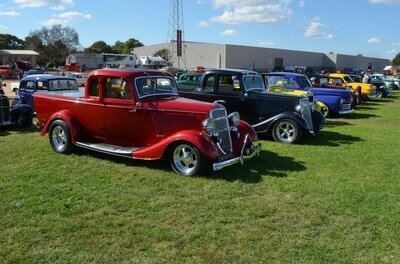 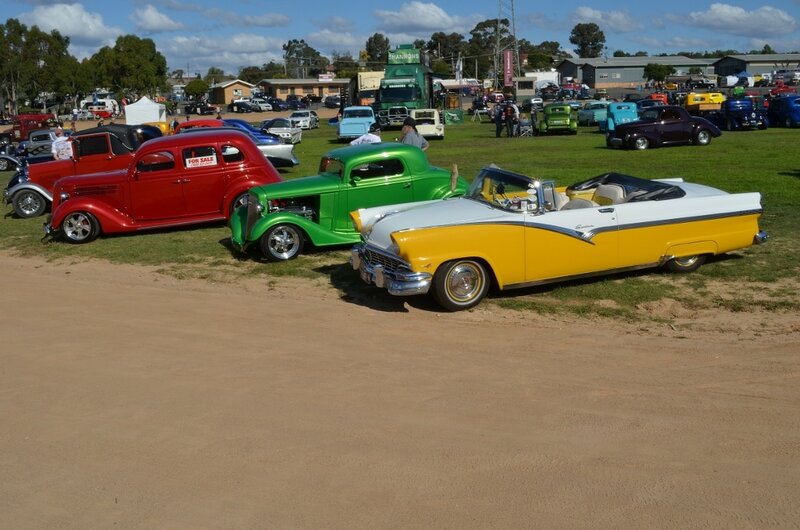 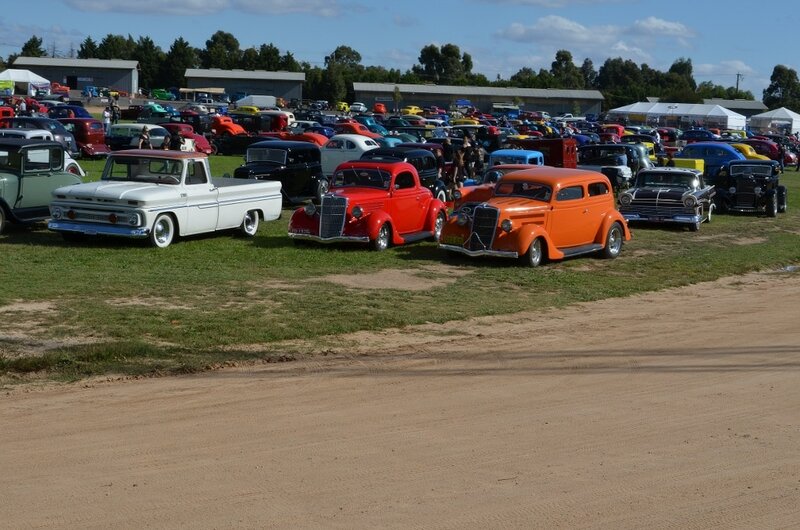 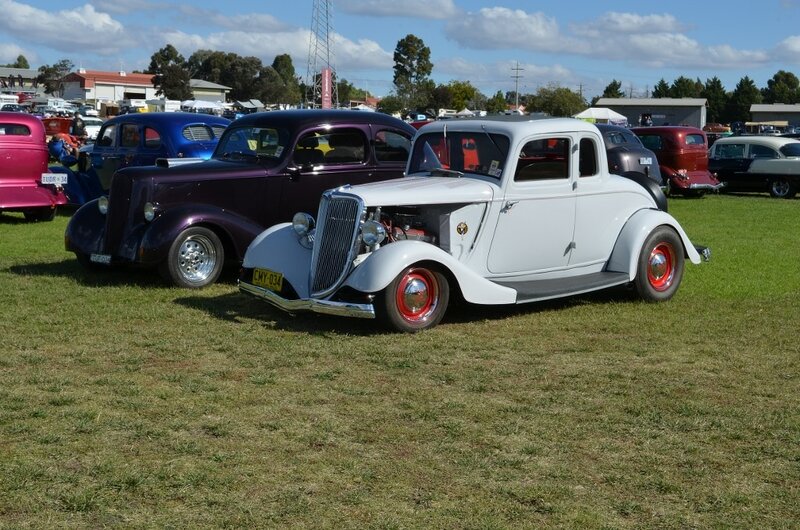 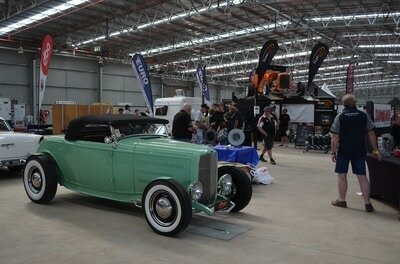 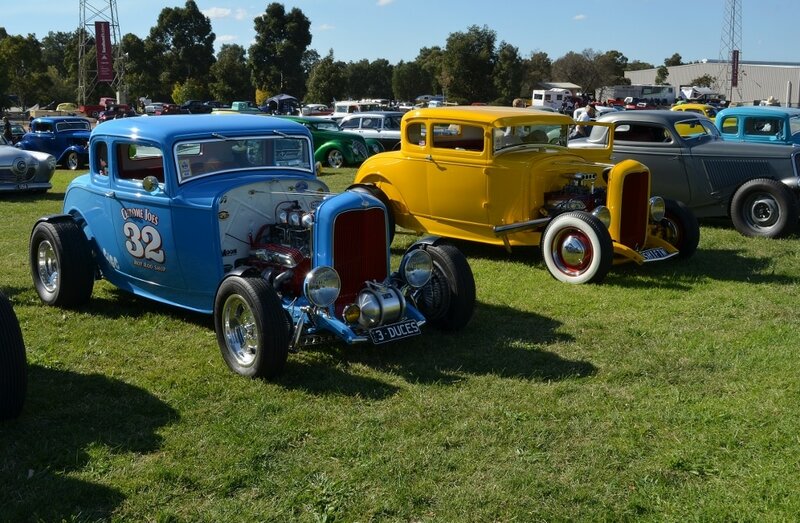 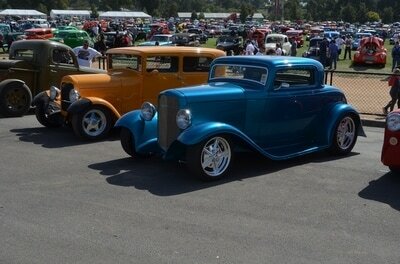 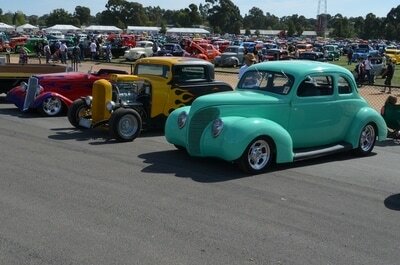 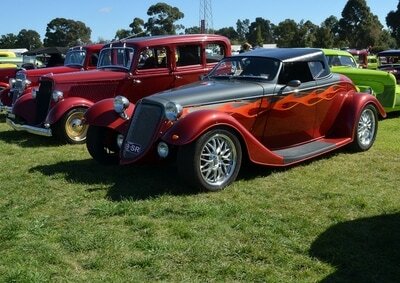 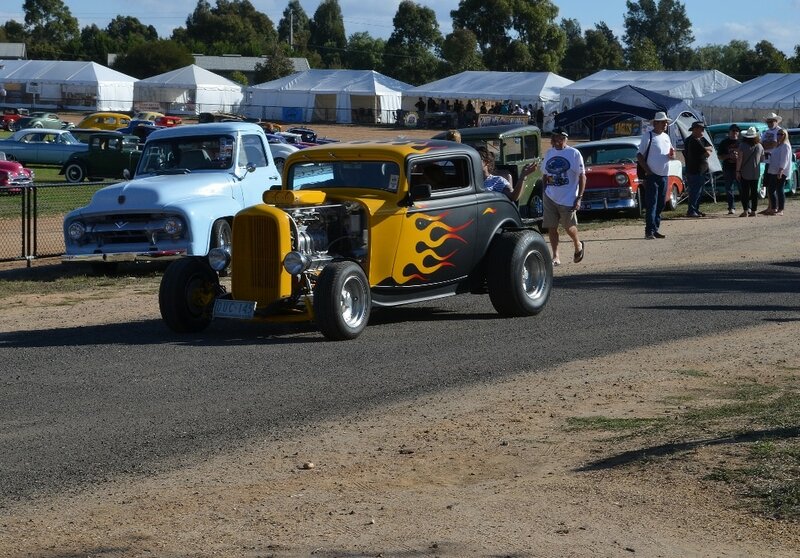 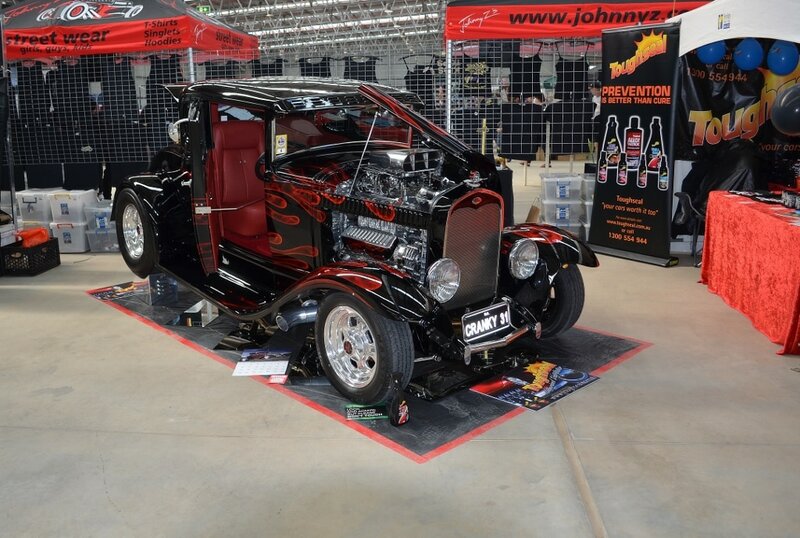 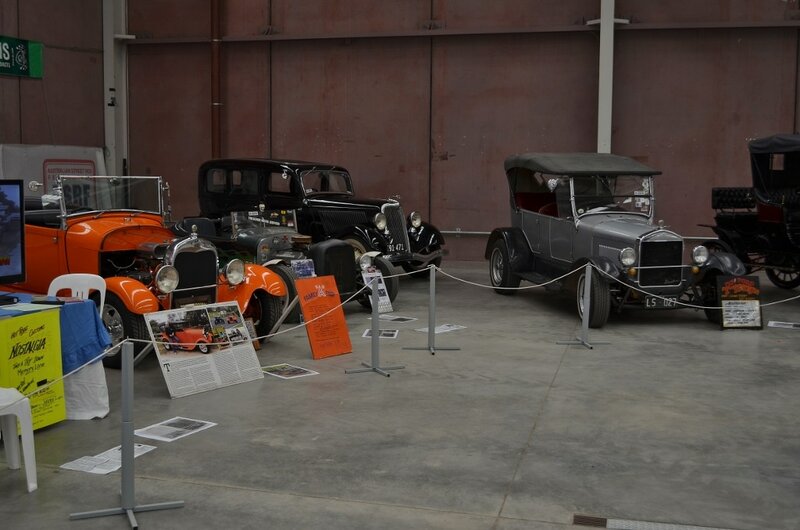 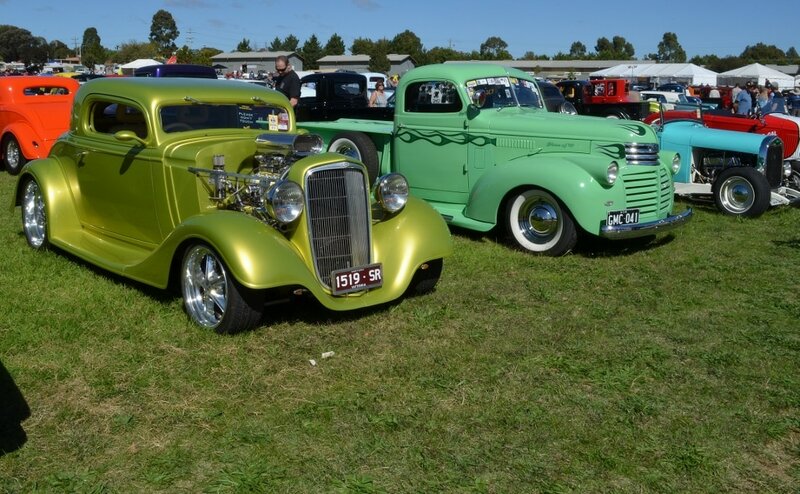 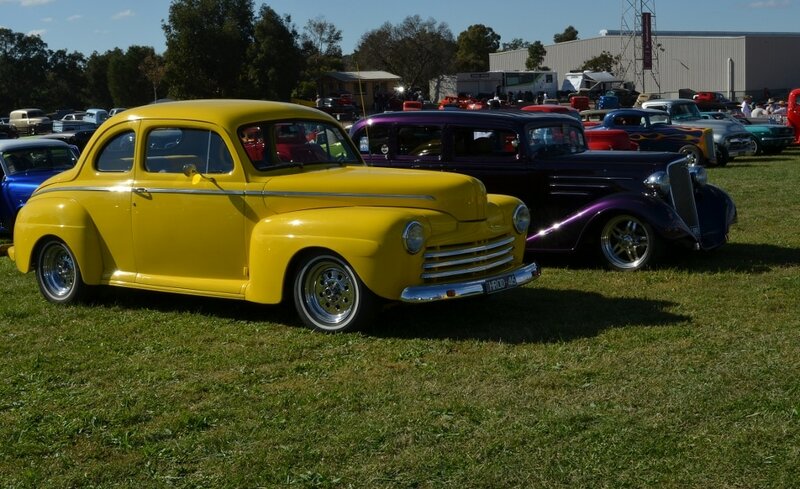 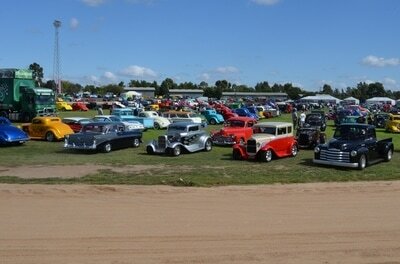 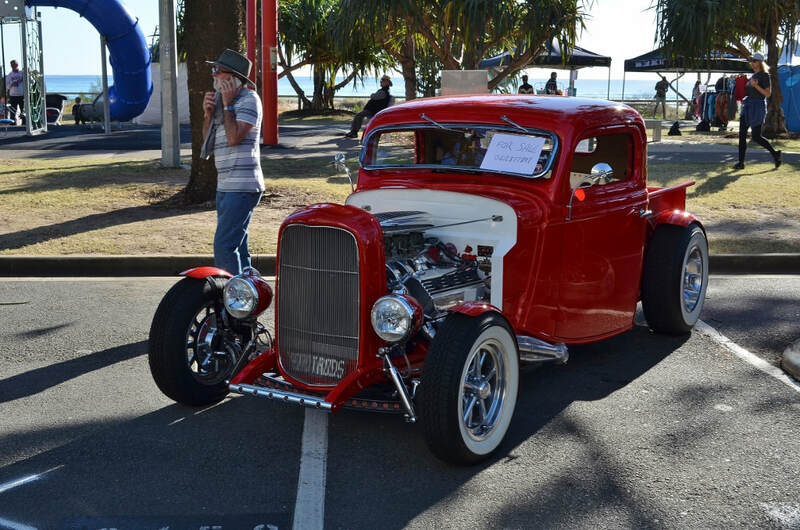 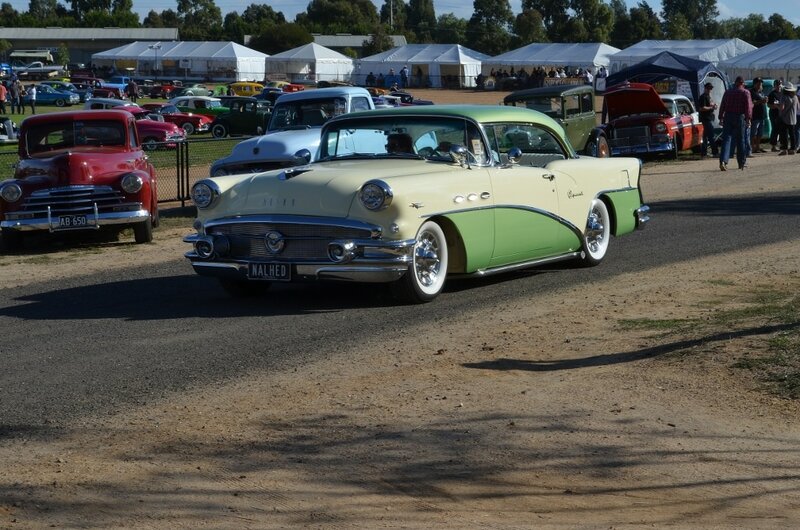 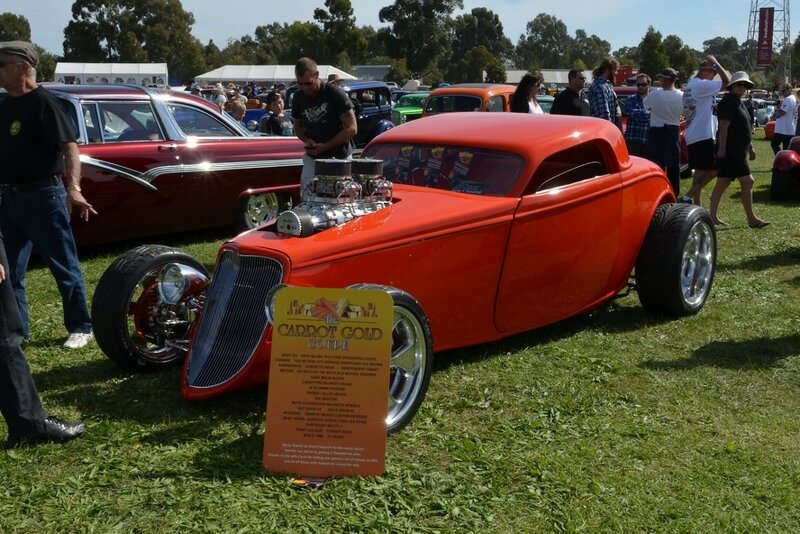 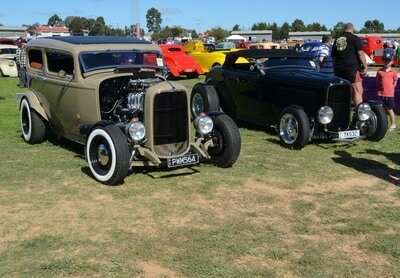 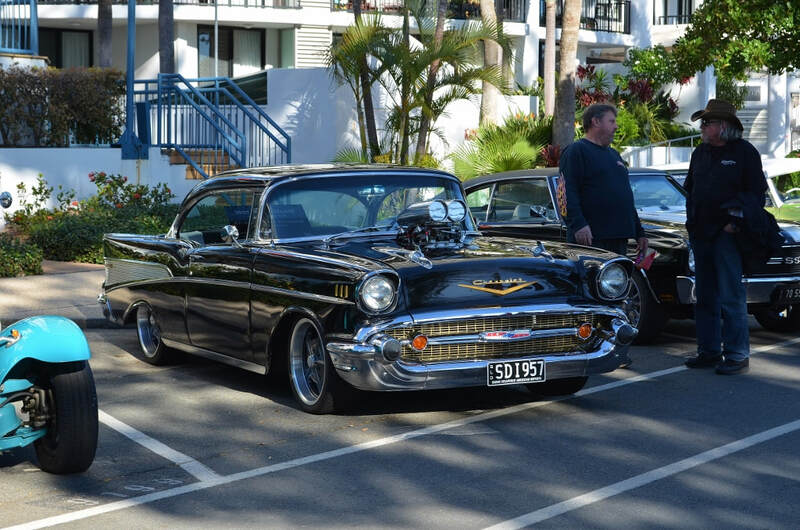 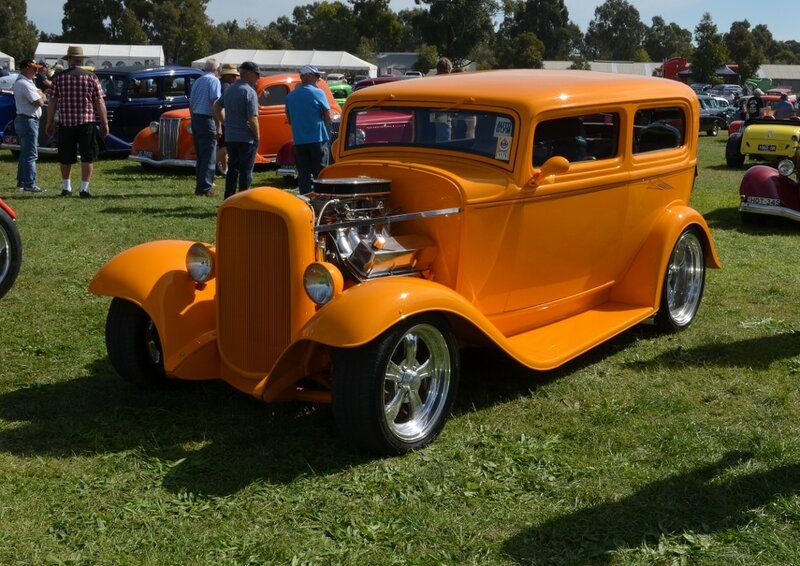 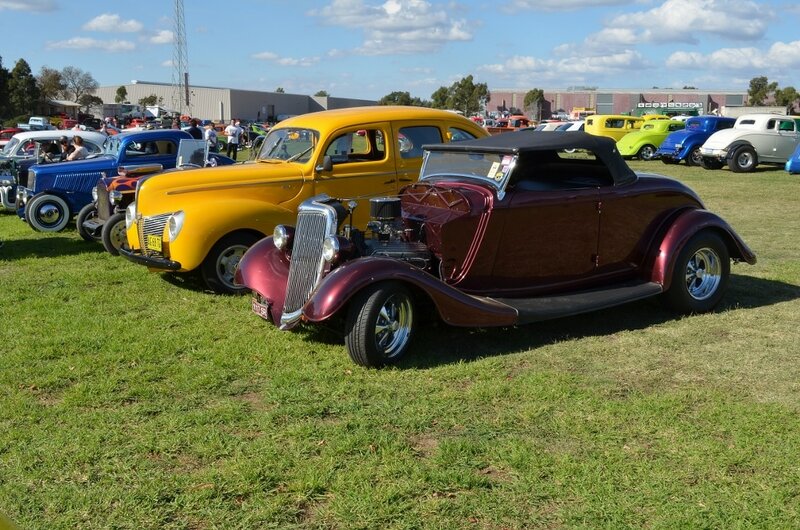 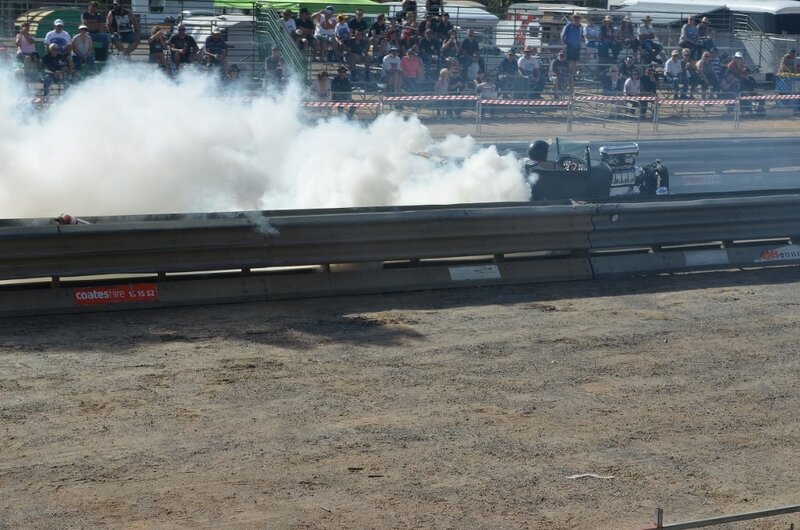 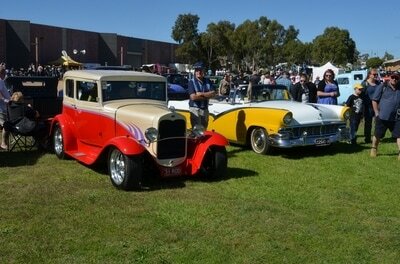 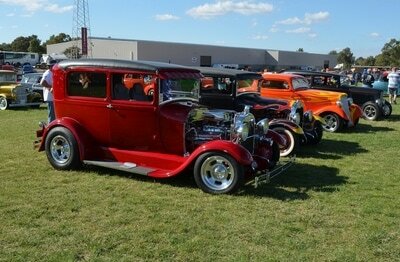 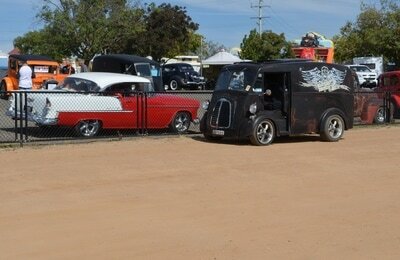 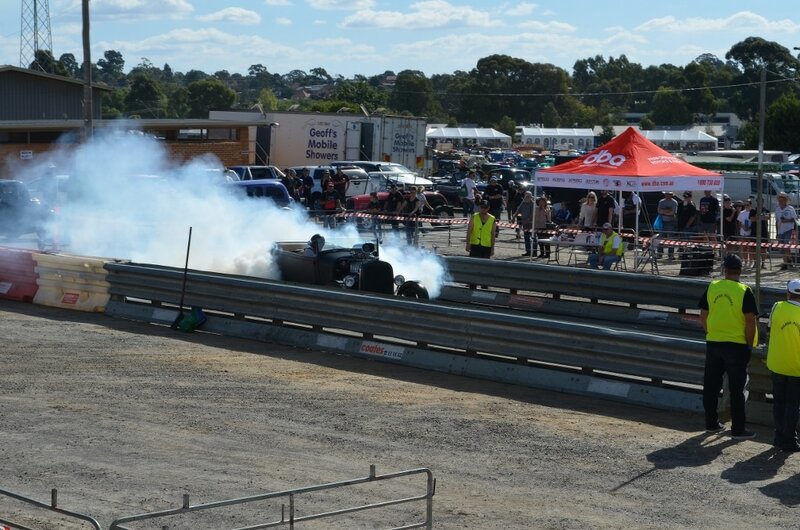 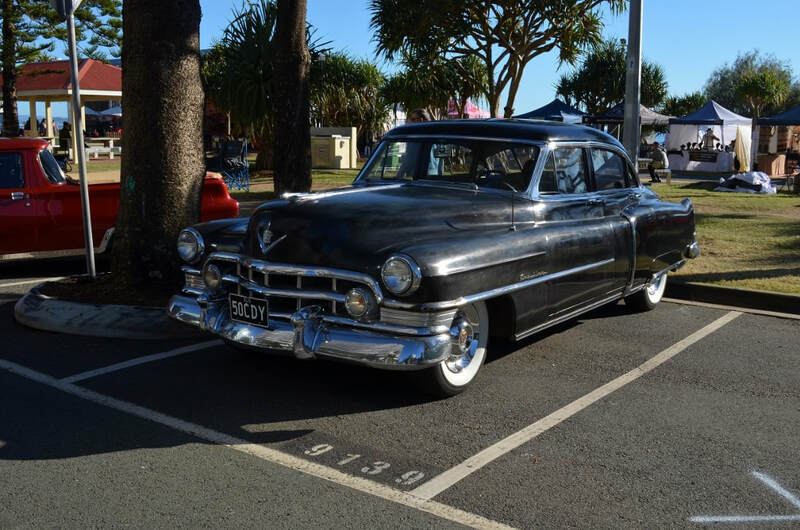 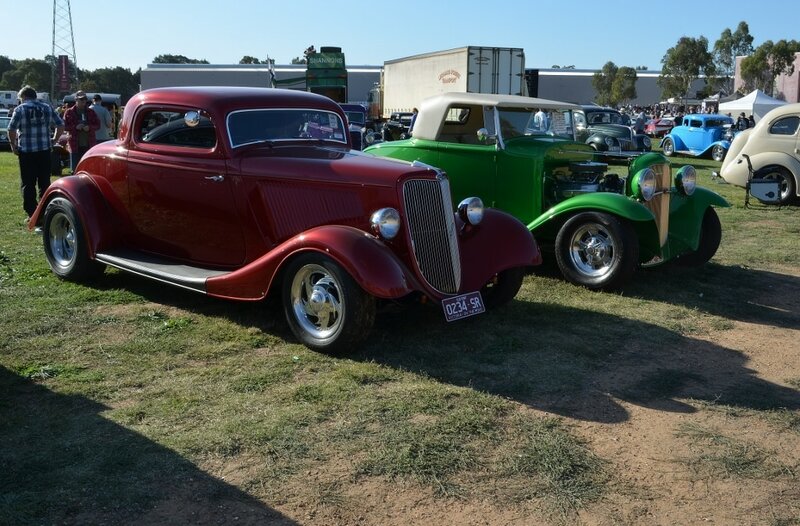 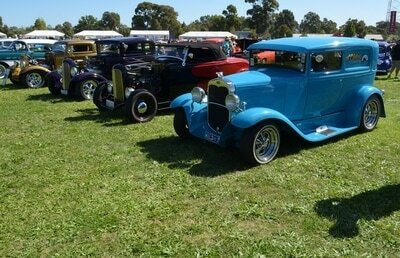 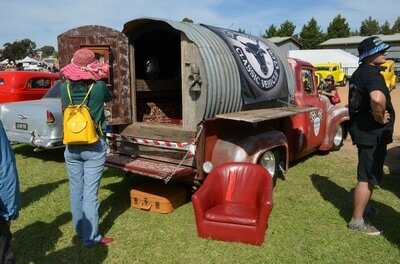 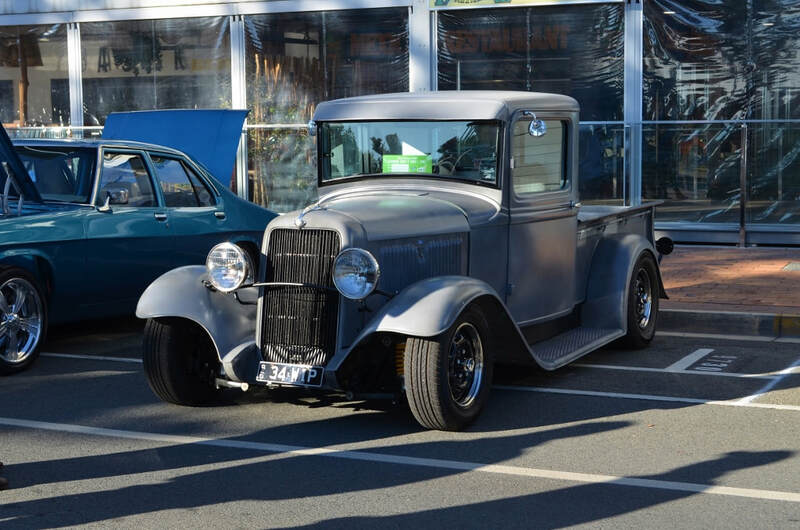 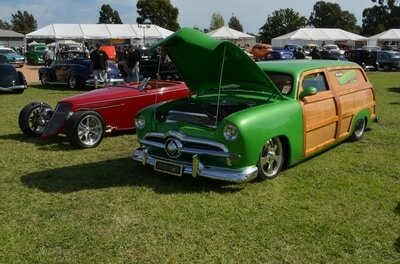 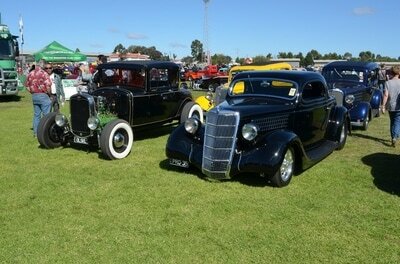 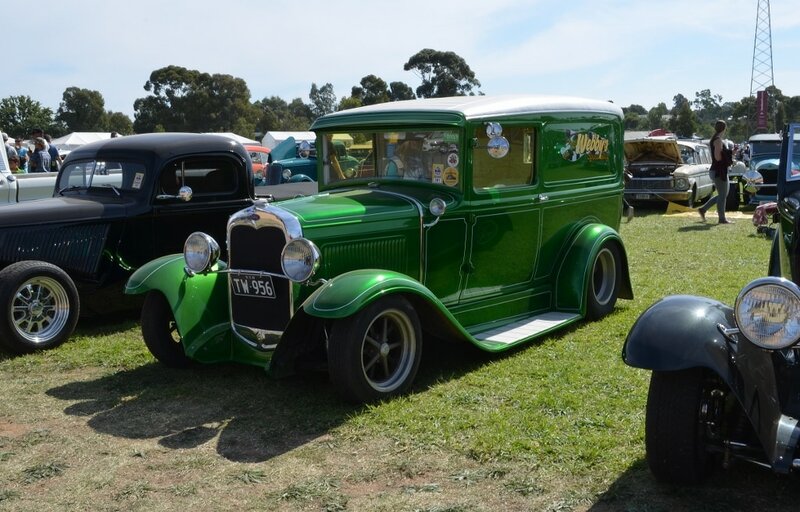 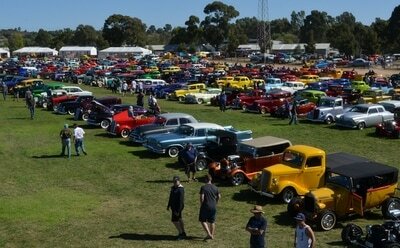 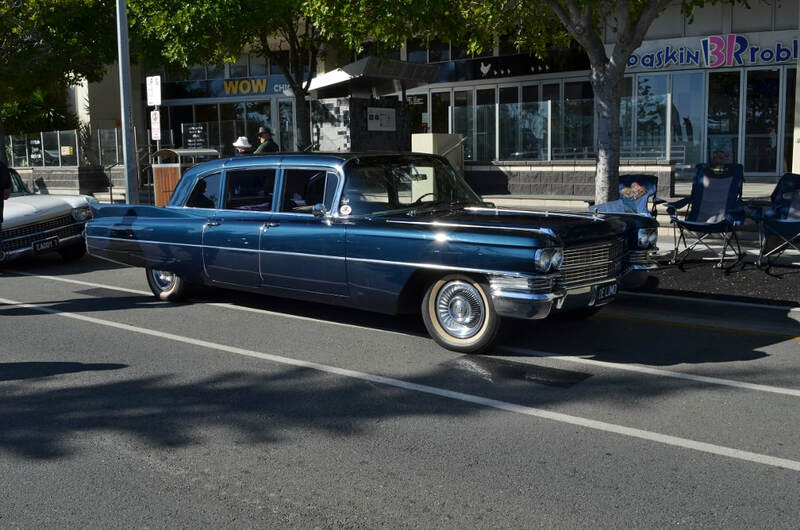 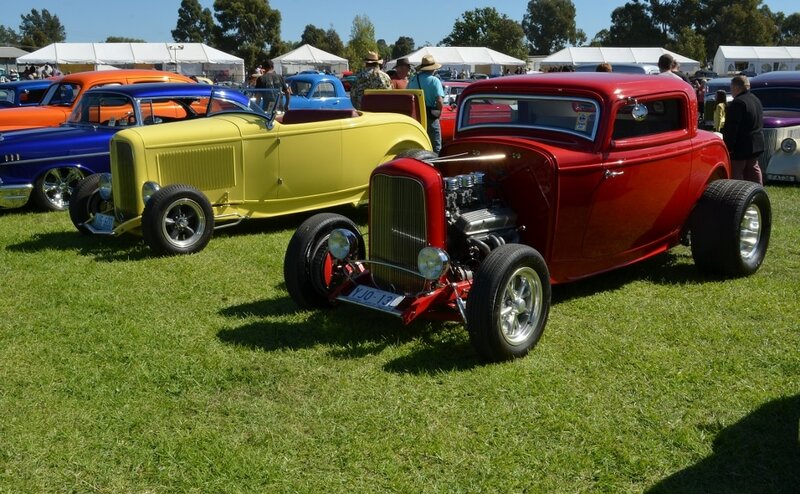 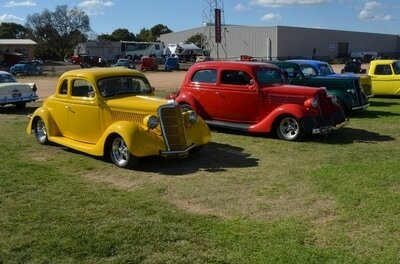 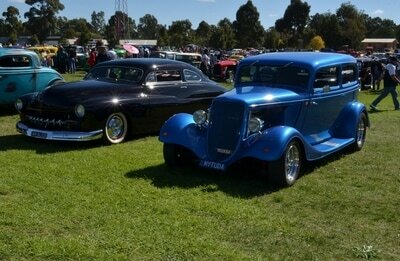 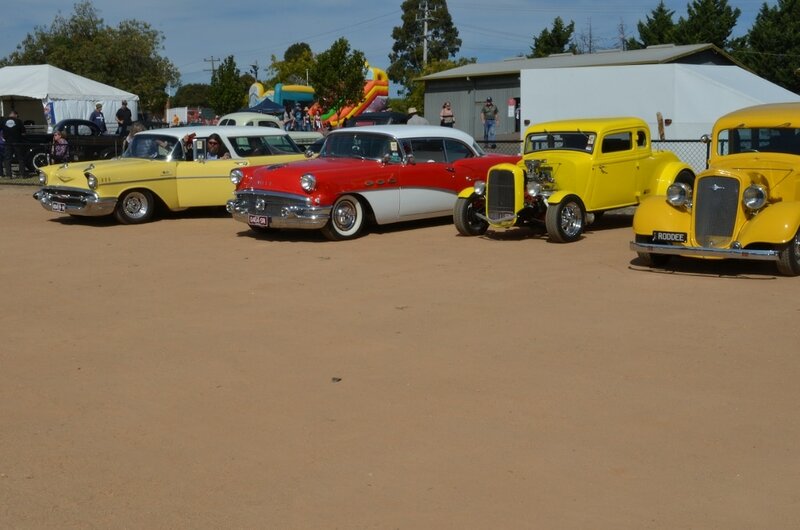 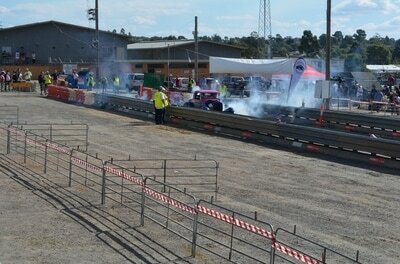 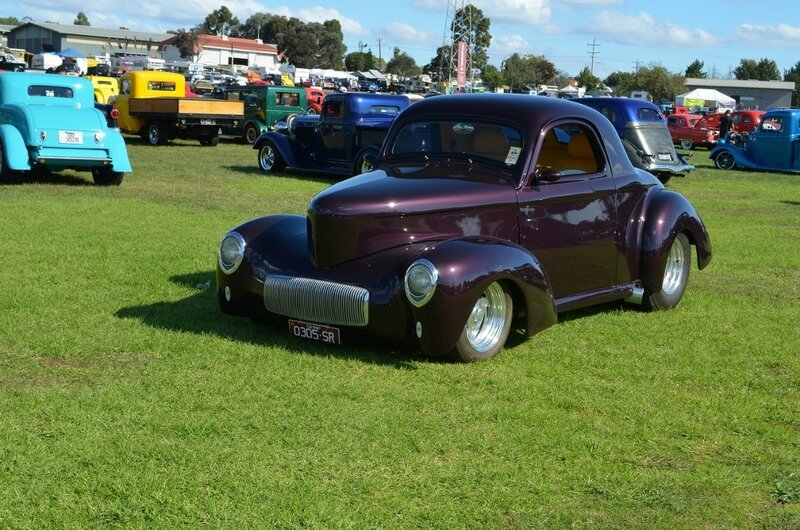 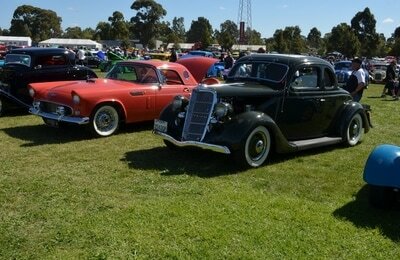 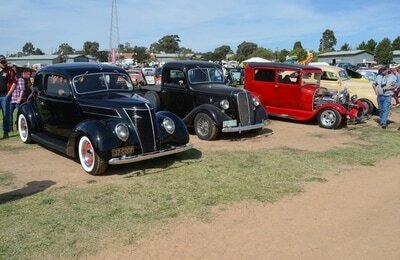 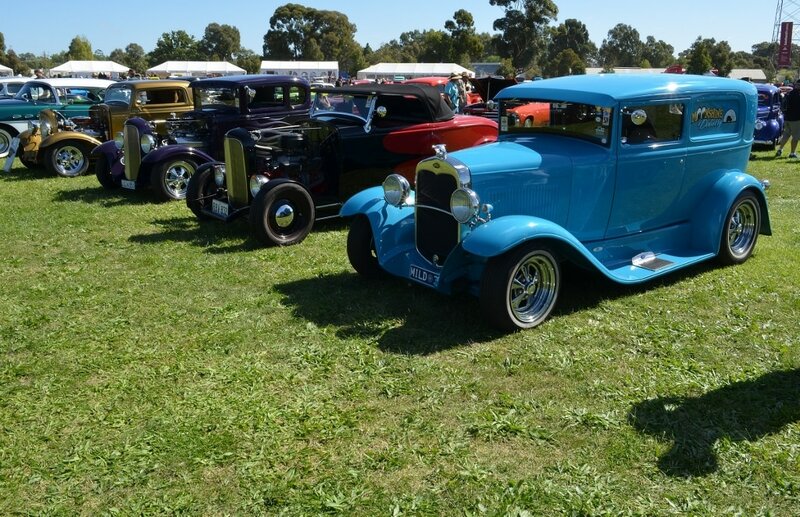 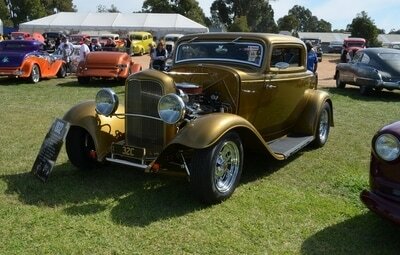 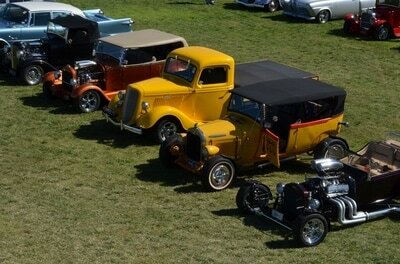 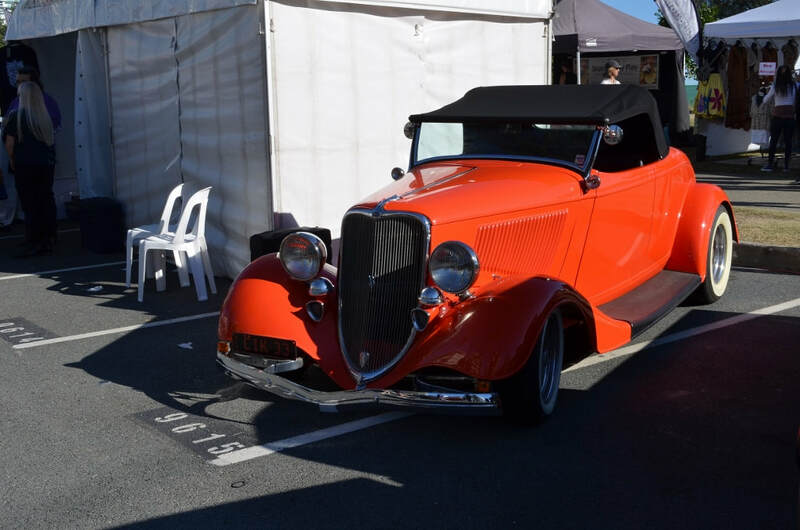 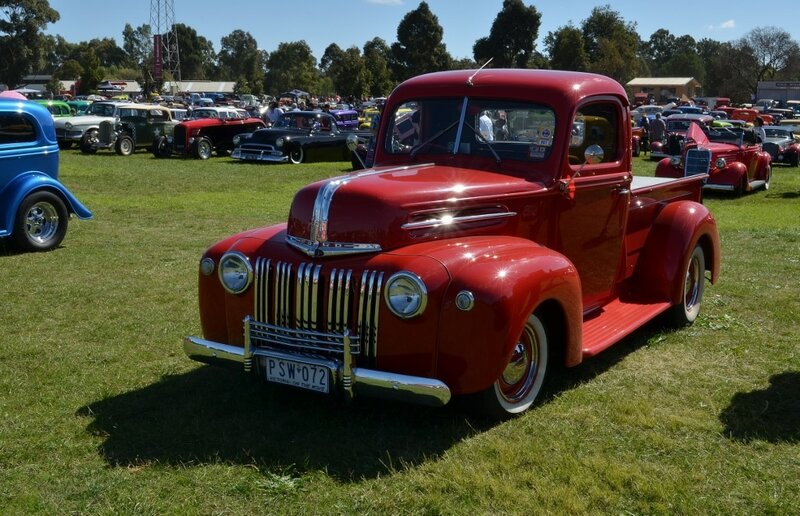 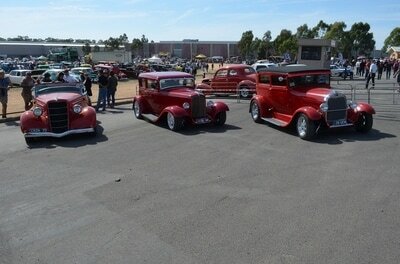 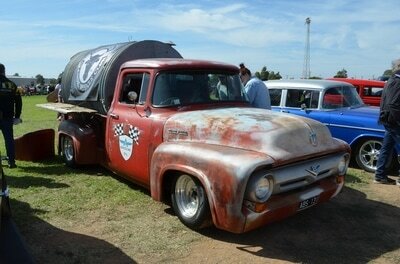 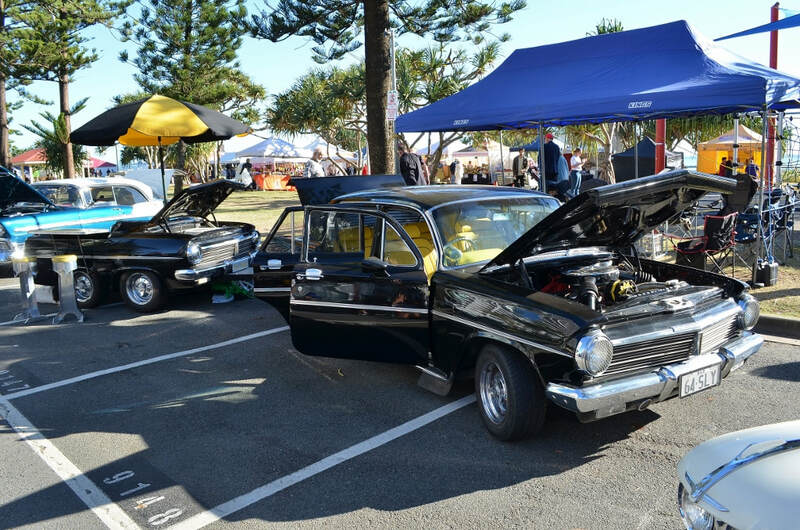 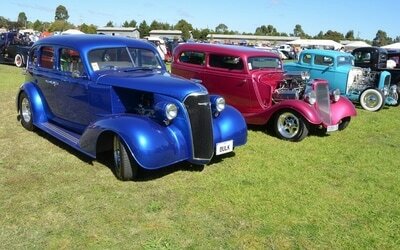 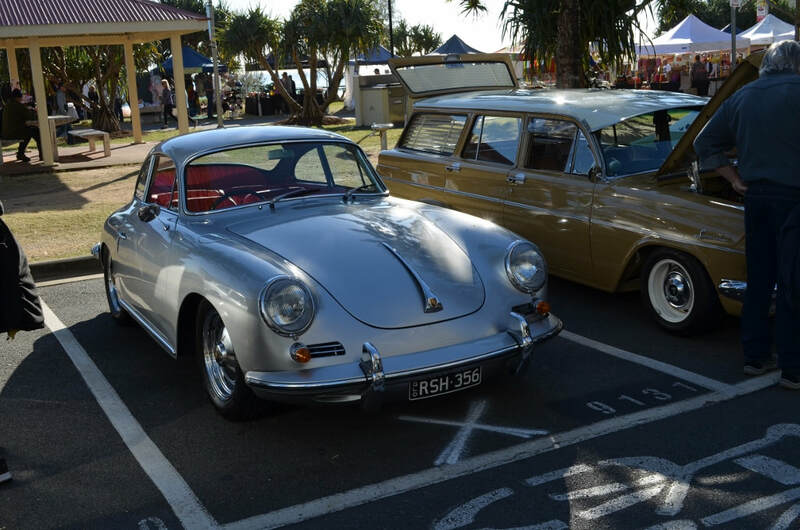 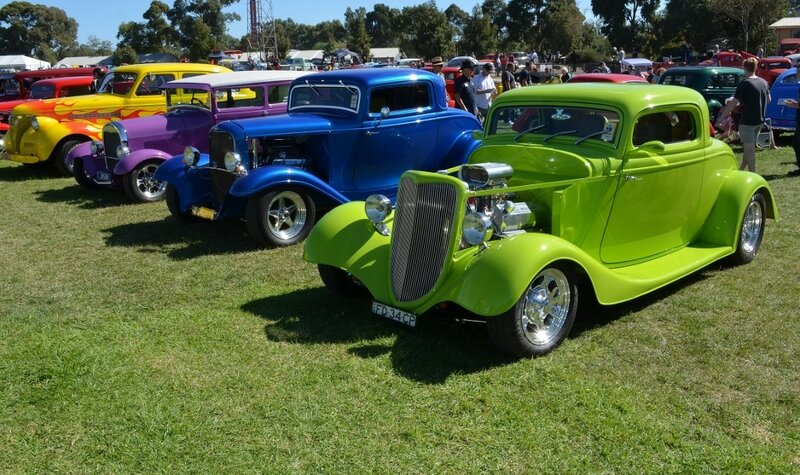 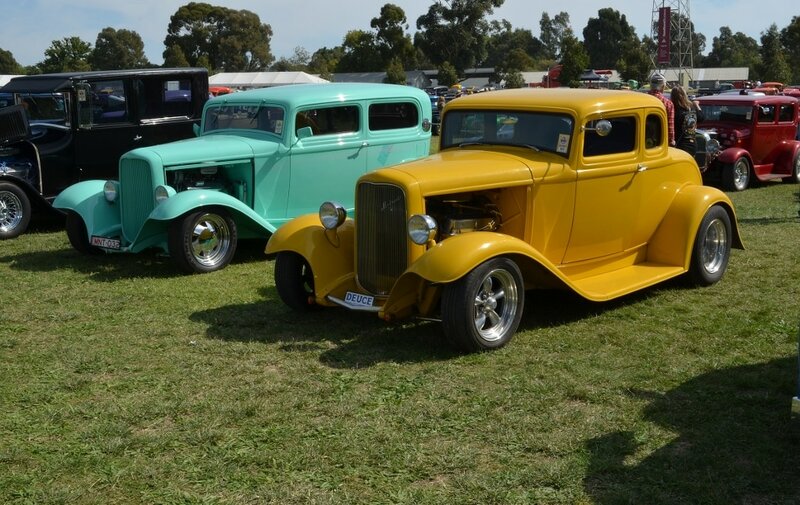 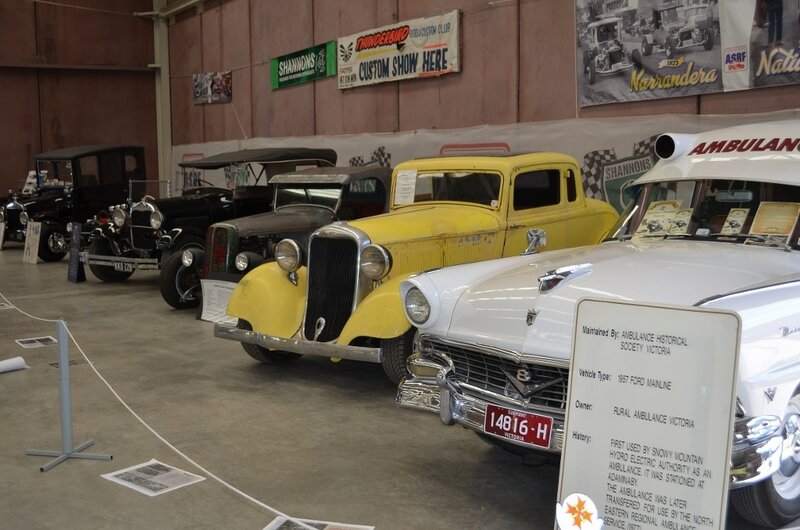 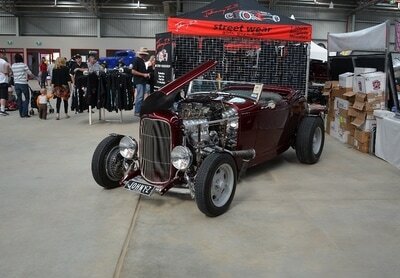 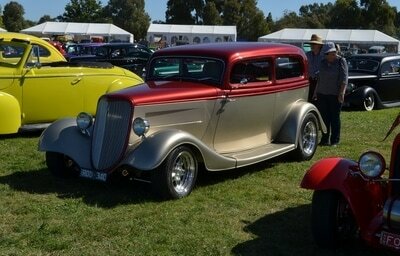 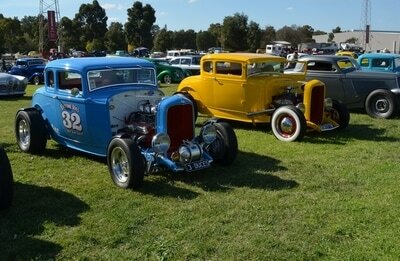 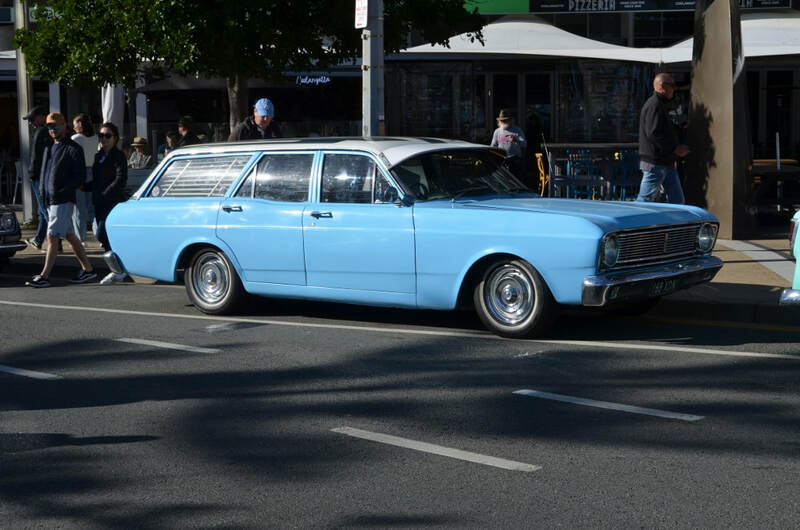 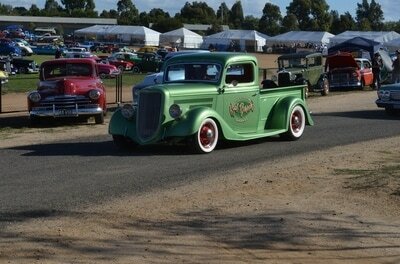 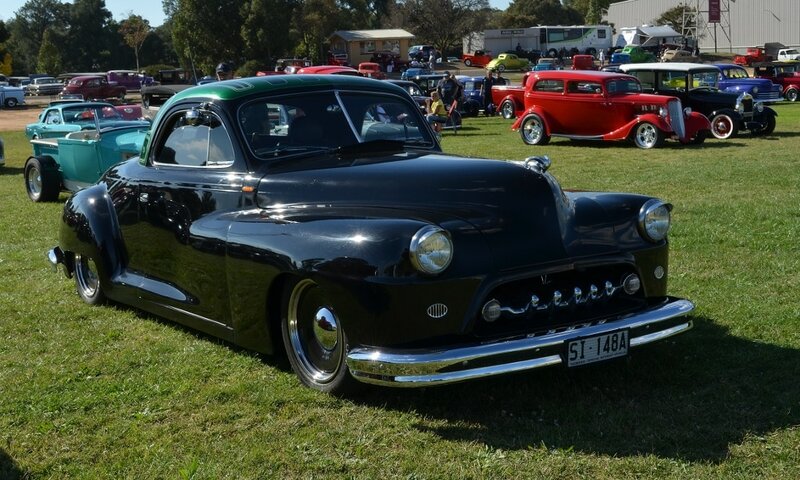 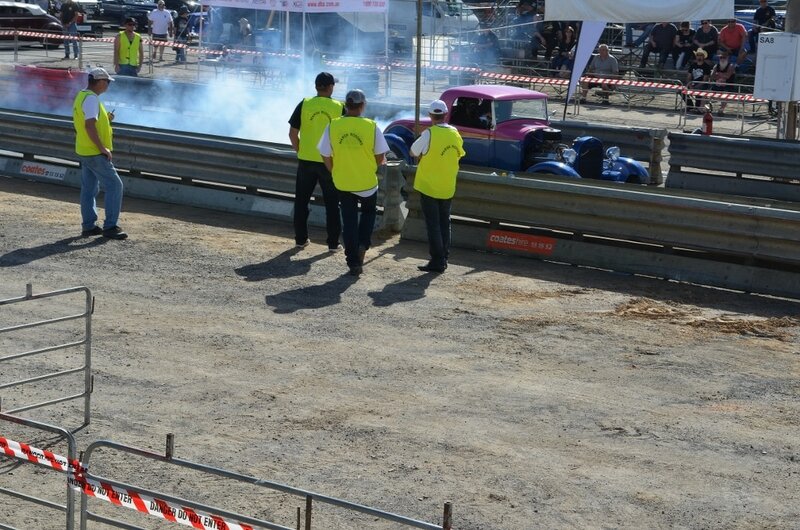 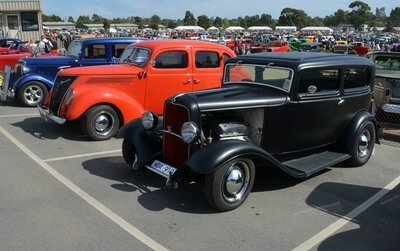 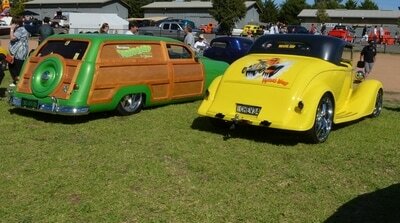 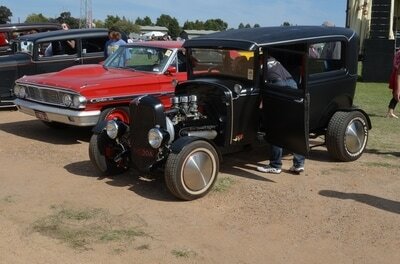 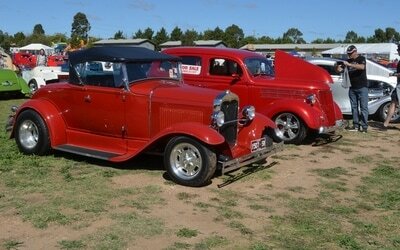 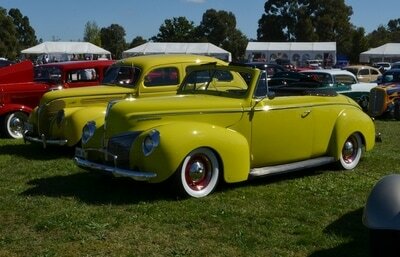 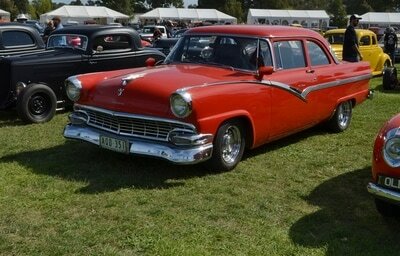 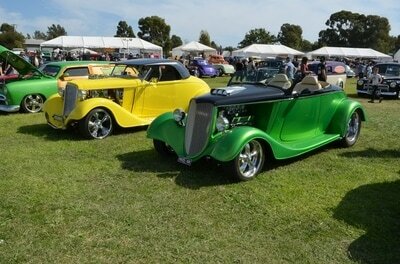 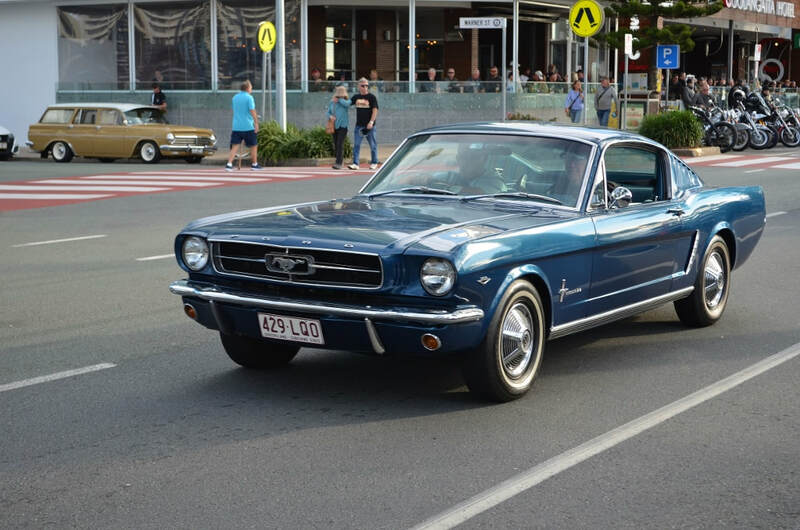 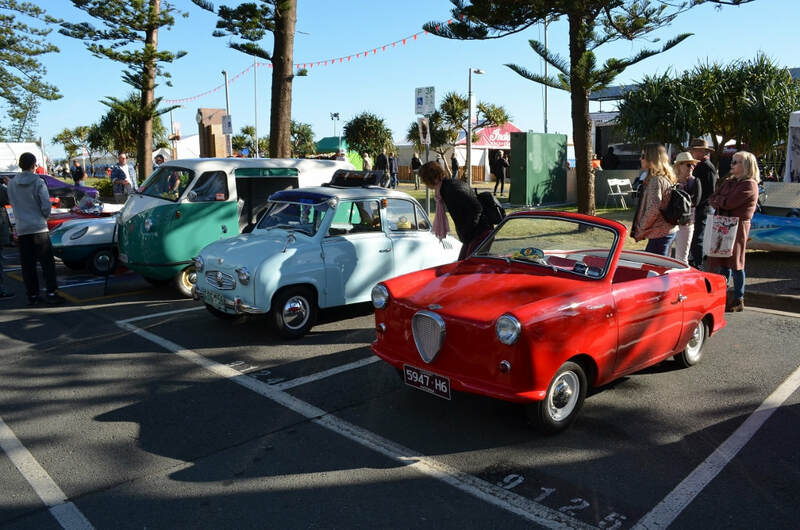 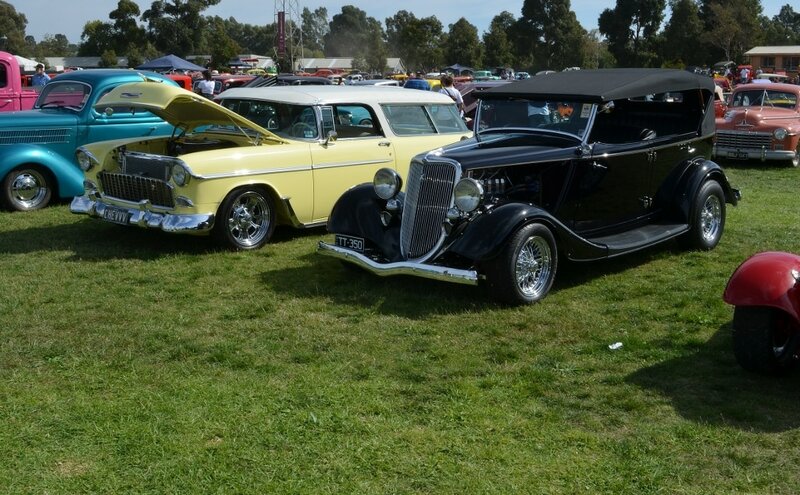 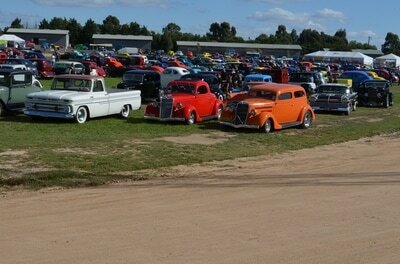 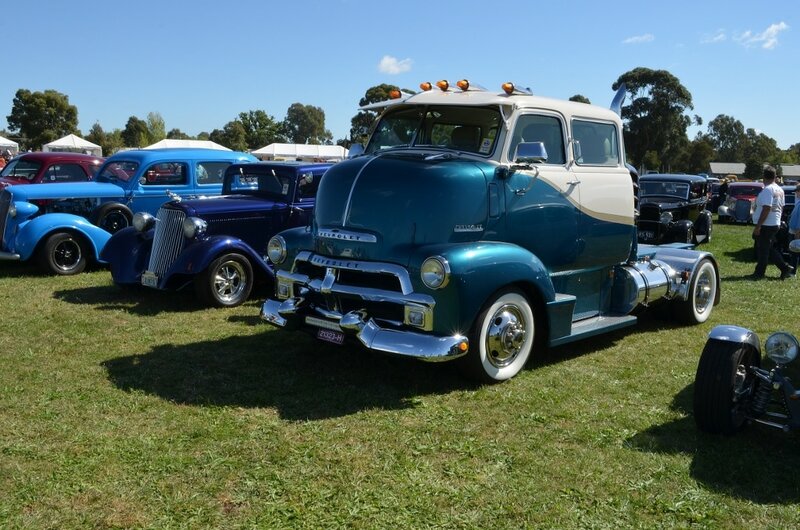 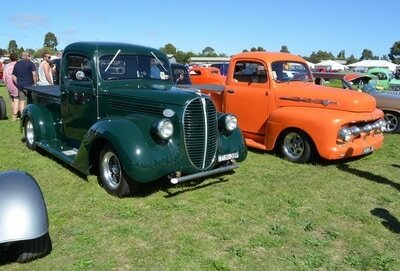 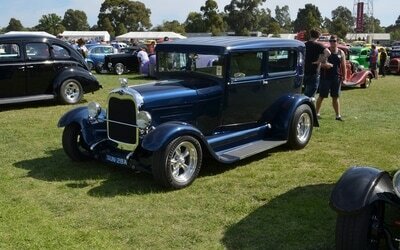 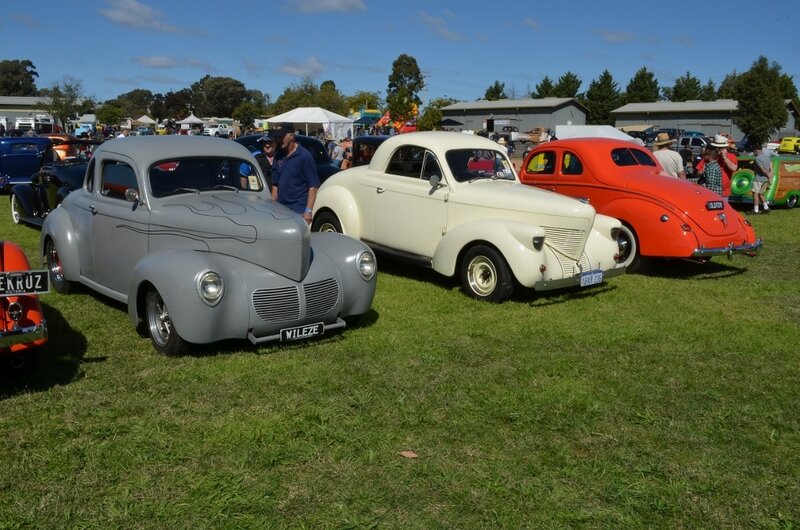 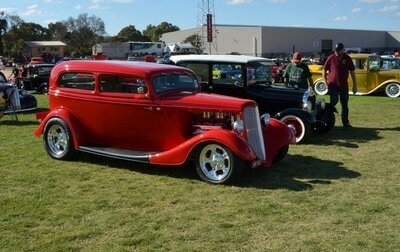 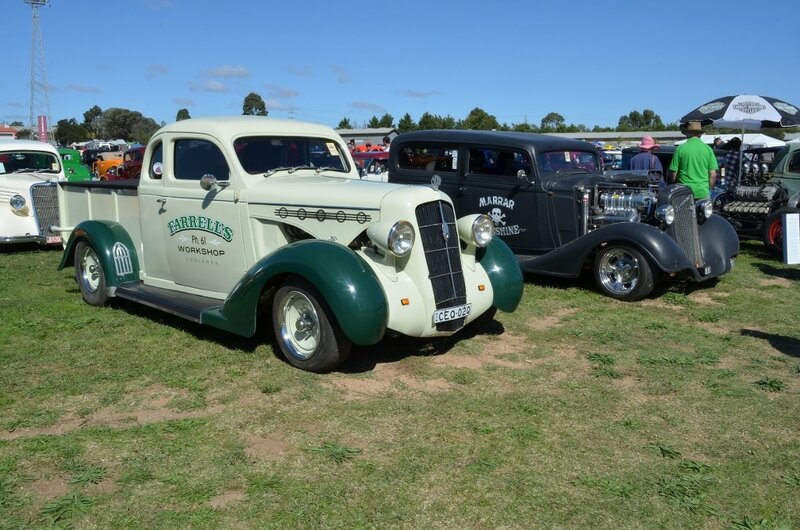 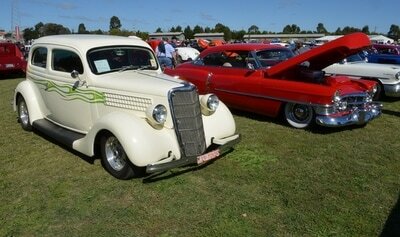 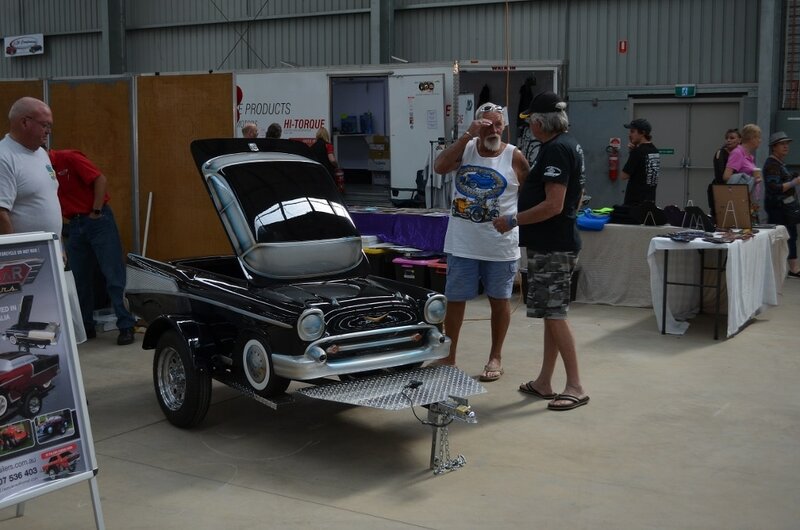 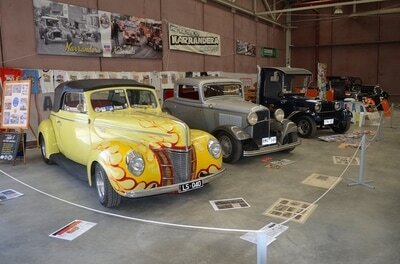 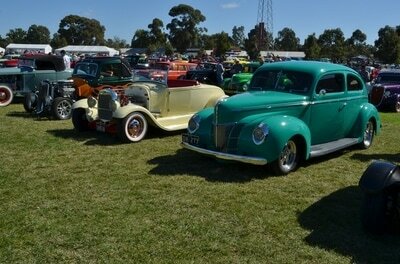 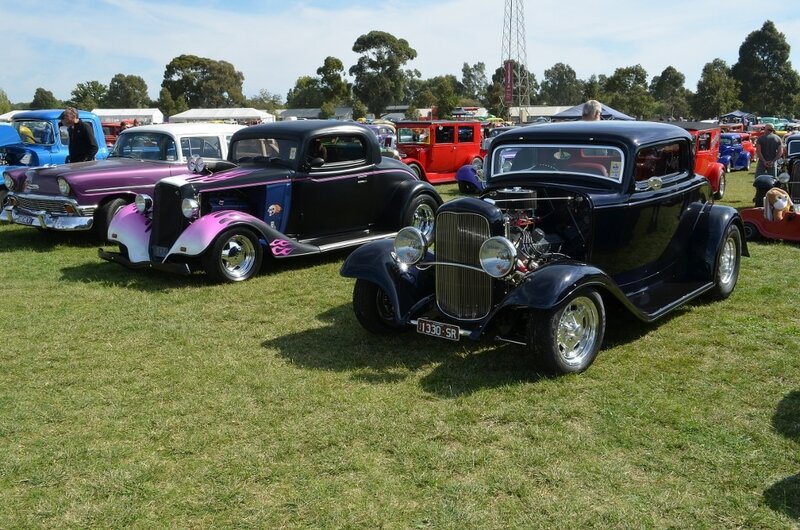 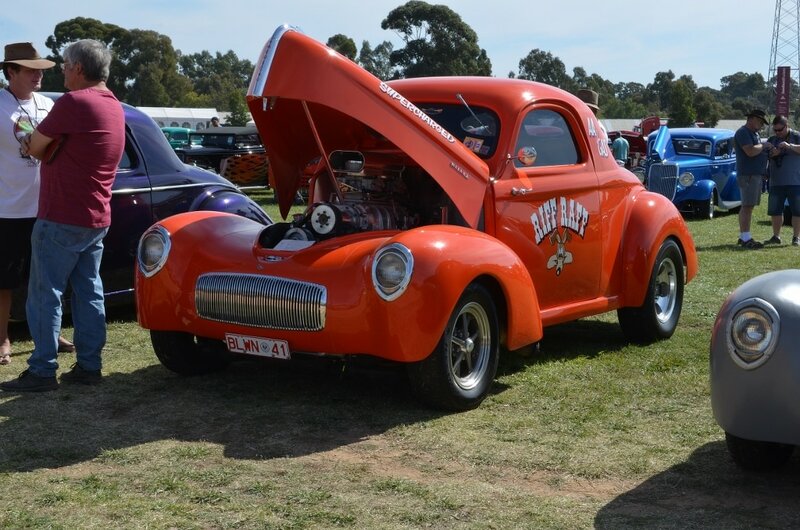 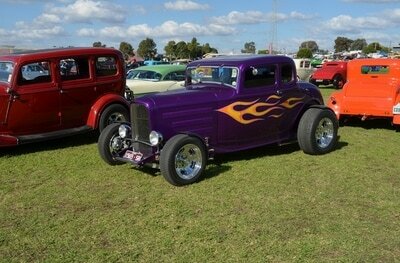 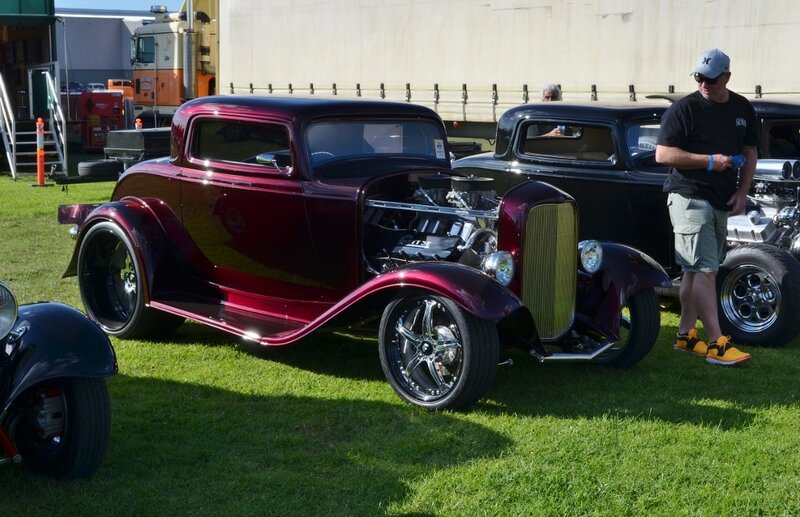 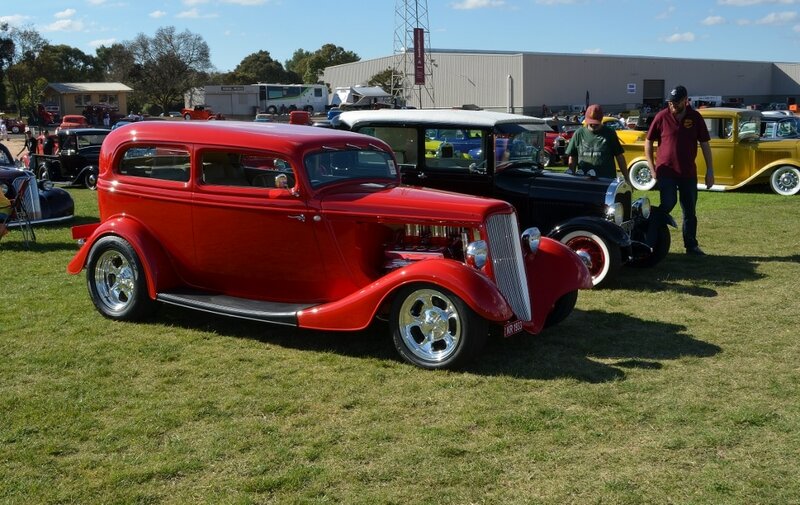 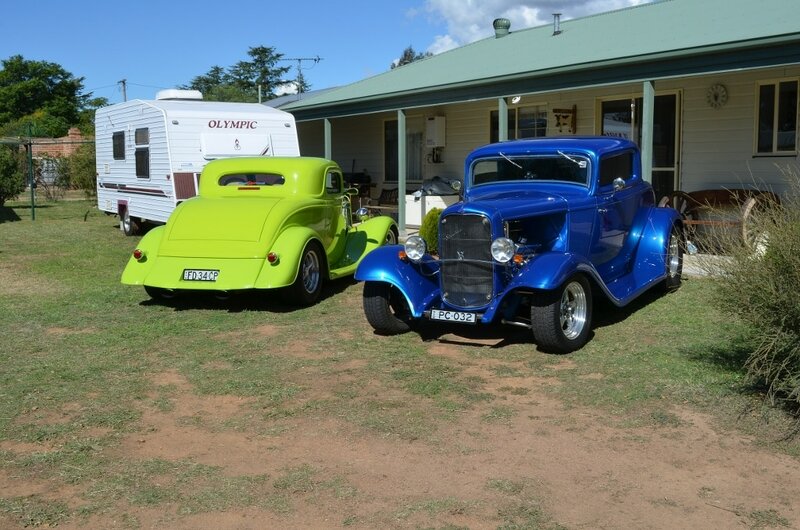 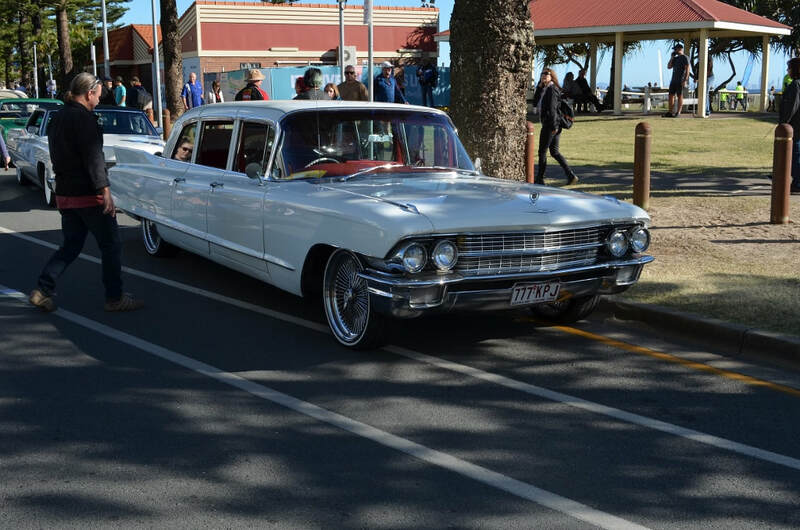 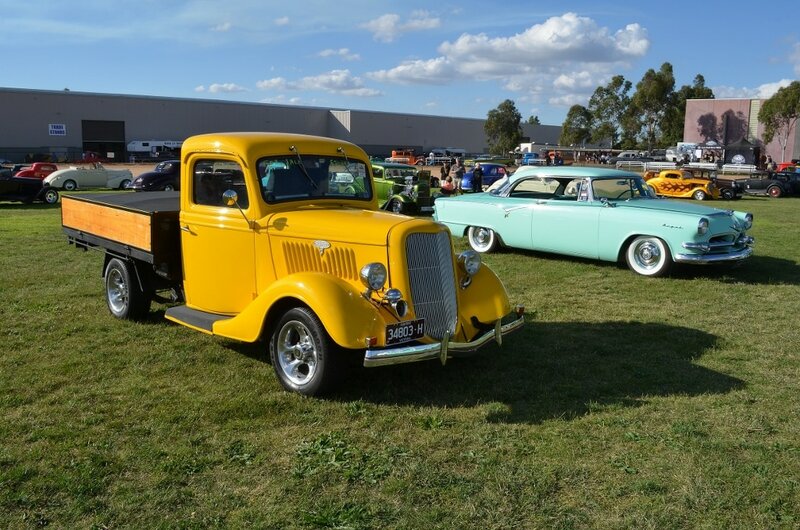 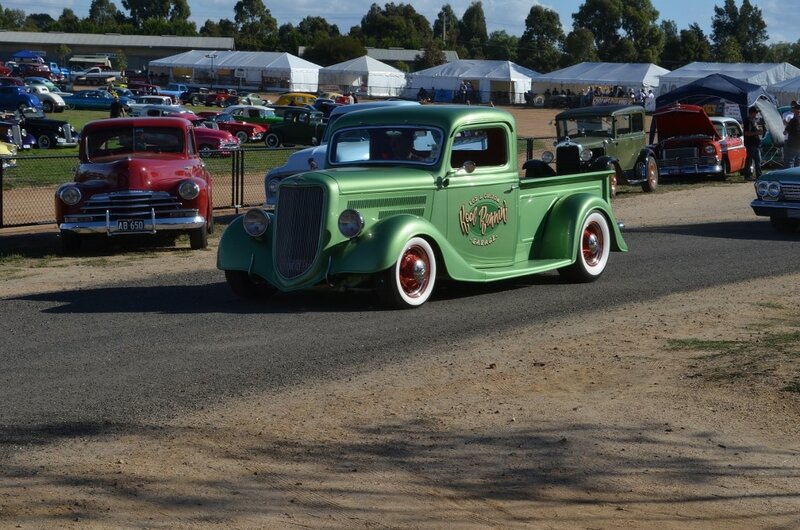 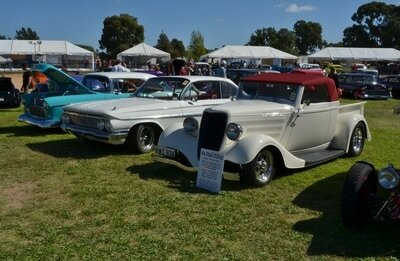 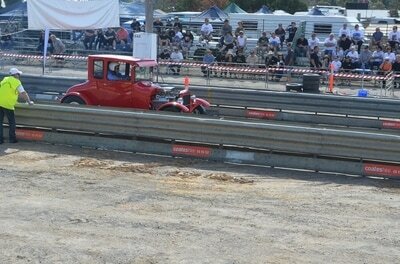 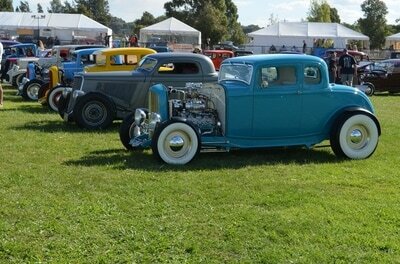 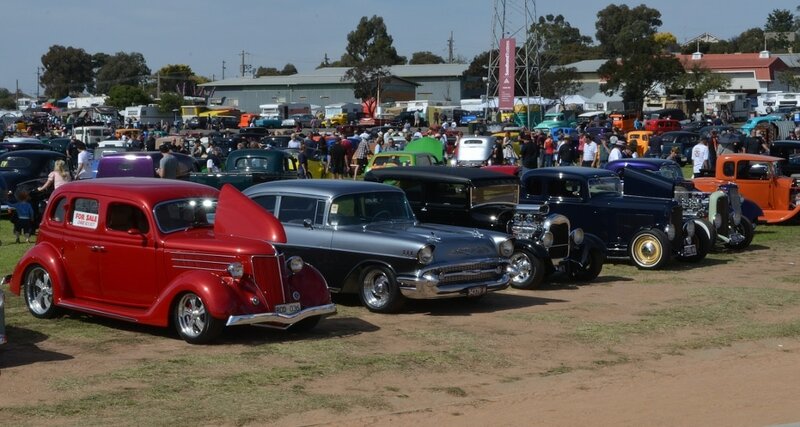 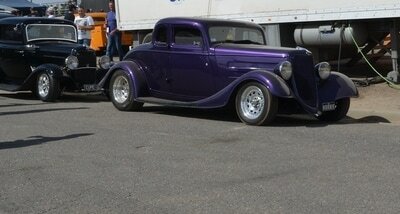 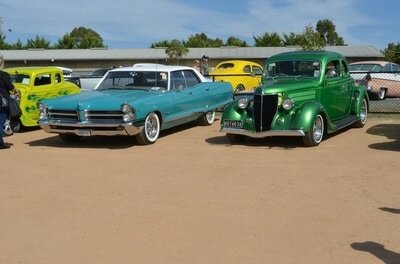 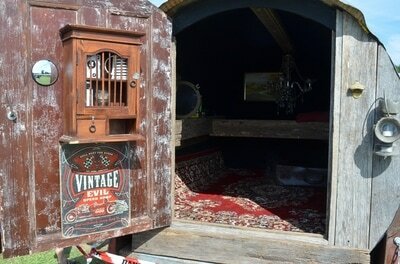 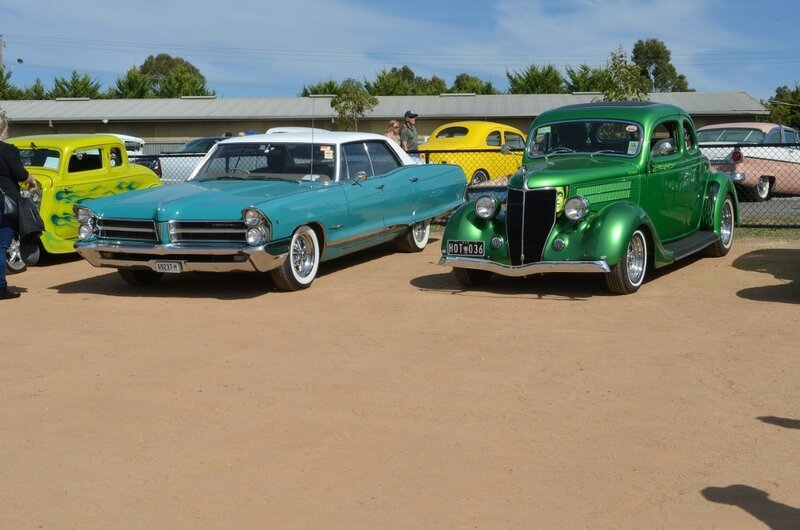 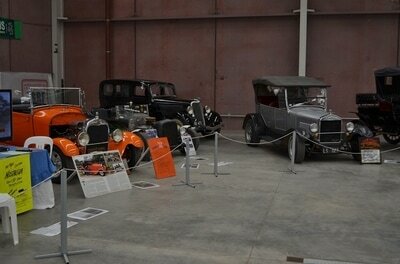 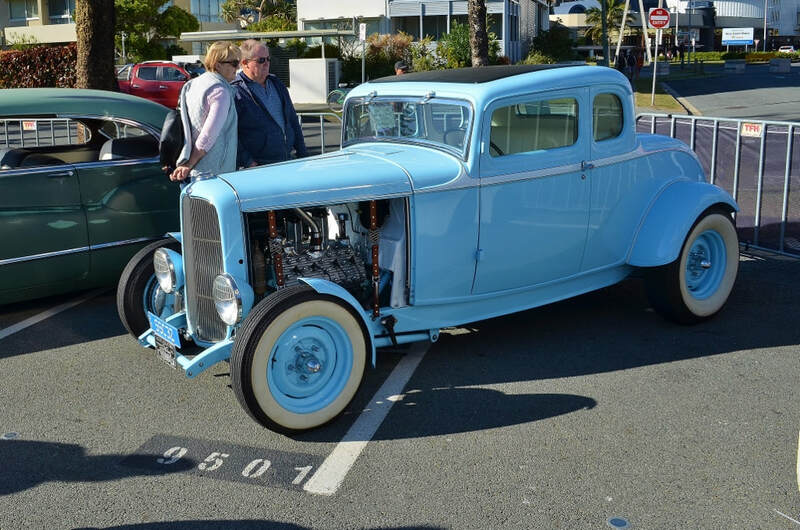 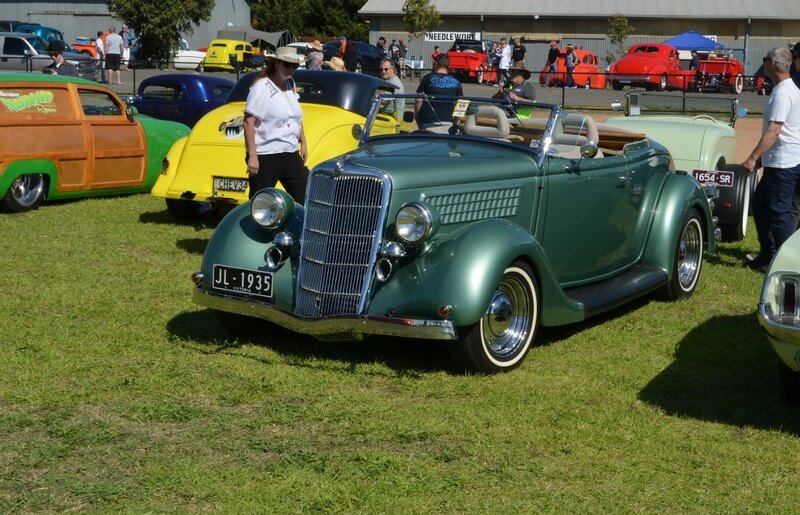 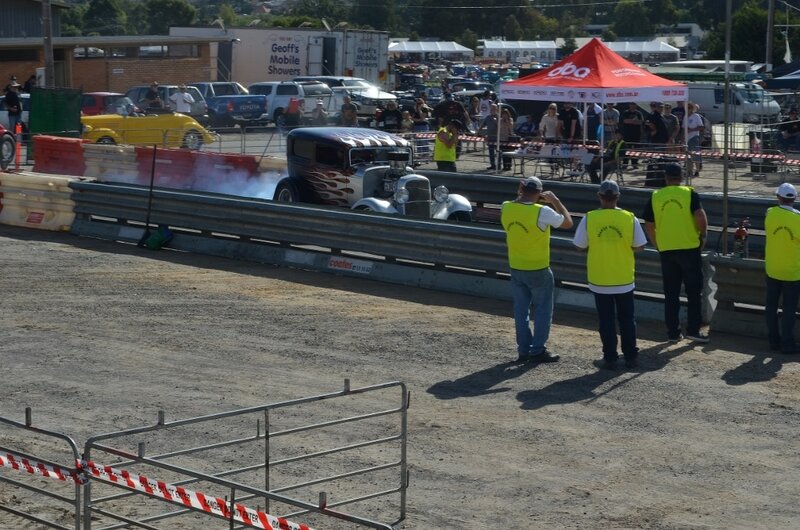 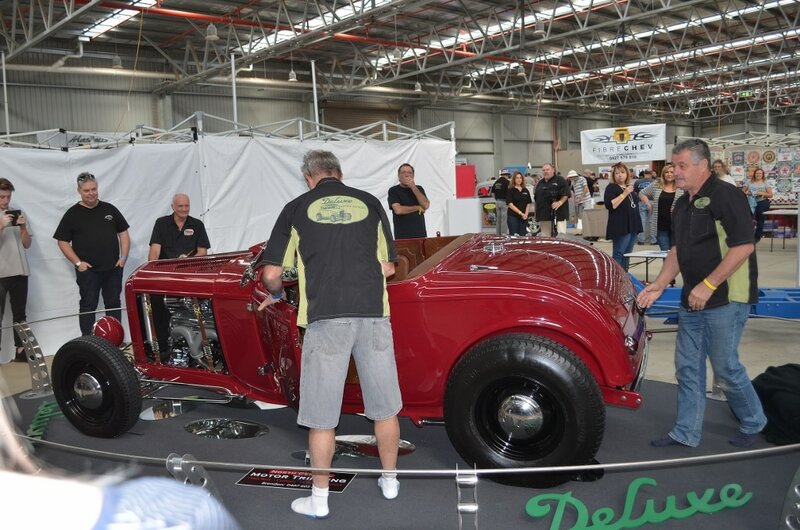 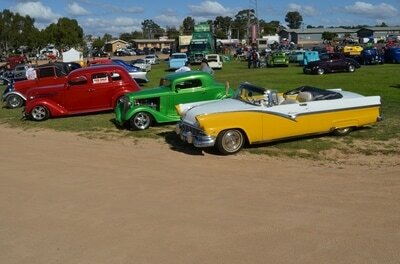 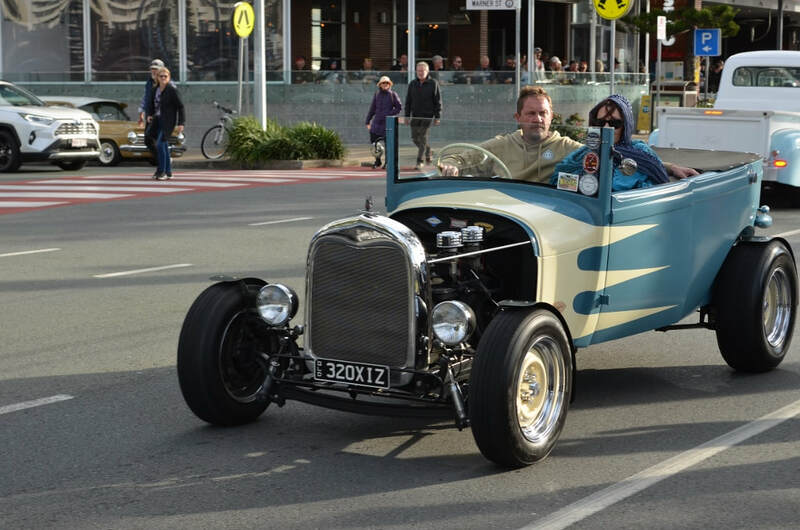 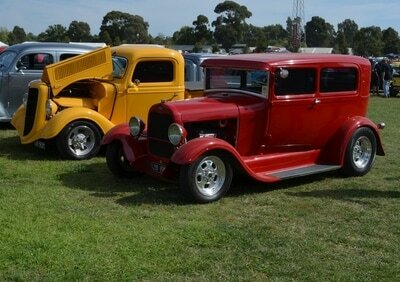 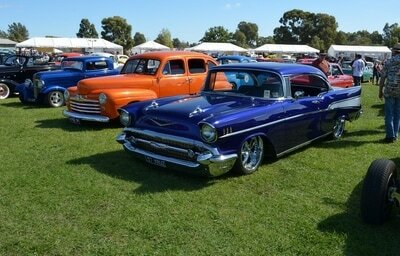 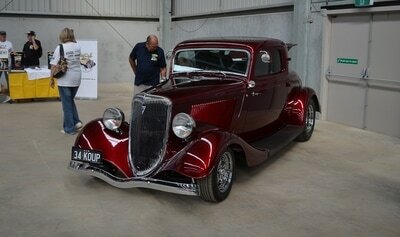 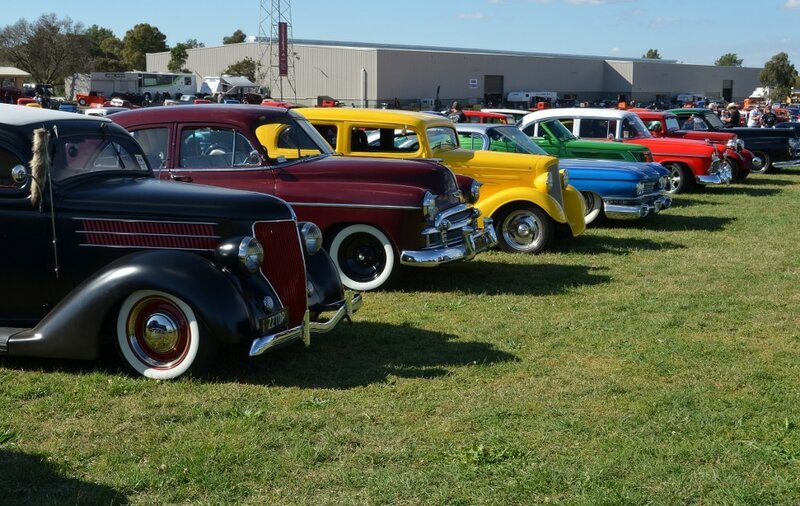 The ASRF Street Rod Nationals was held in Bendigo, Victoria this year and 15 of our members headed to the event. 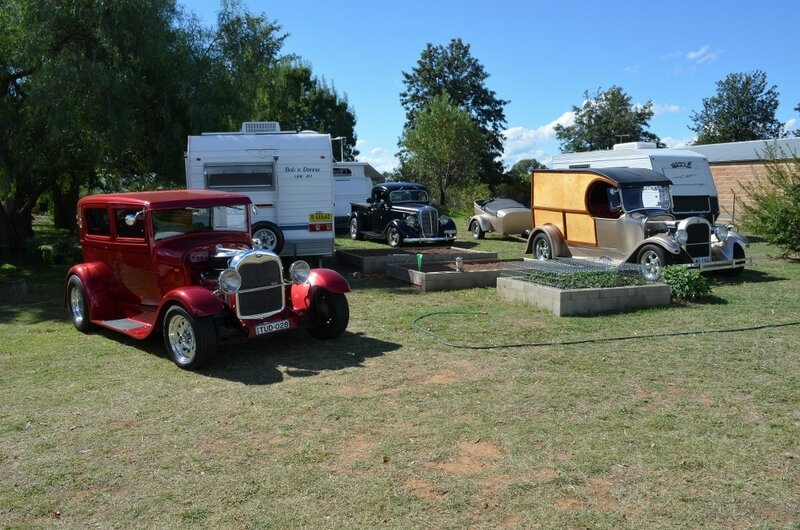 Leaving Maitland the Campers headed with their vans through Sydney while the Moteliers went via Putty Road all heading to John and Colleens at Cowra for two nights. 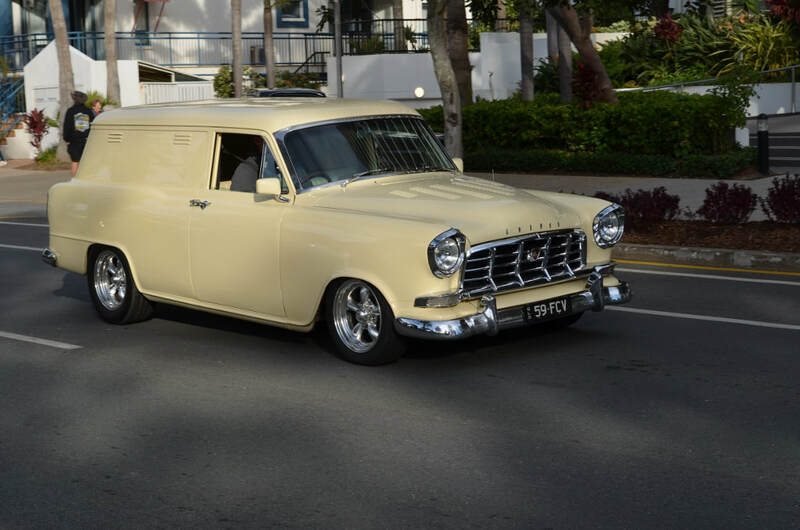 Unfortunately Pete's rod blew a head gasket and was put on a tilt tray and sent home. 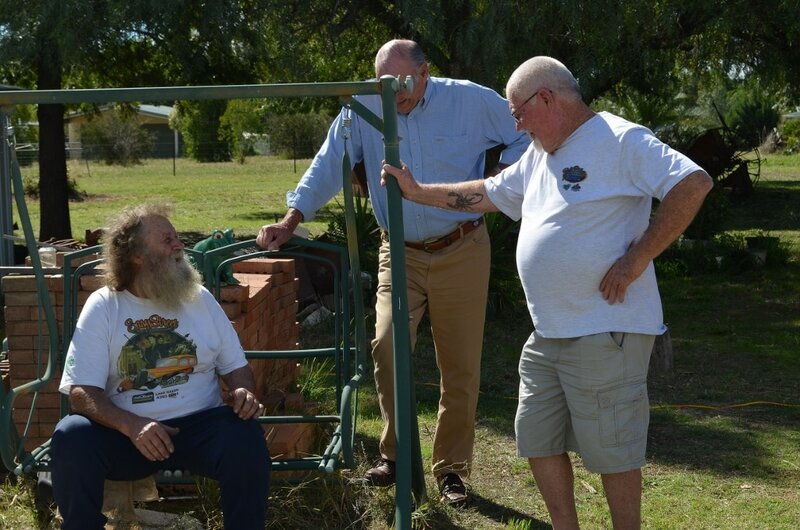 We had a great time at Cowra then off to Bendigo which turned into a long and tiring drive.For those camping a disappointing start to setting up but all turned out well and in the end we had a great camp site. 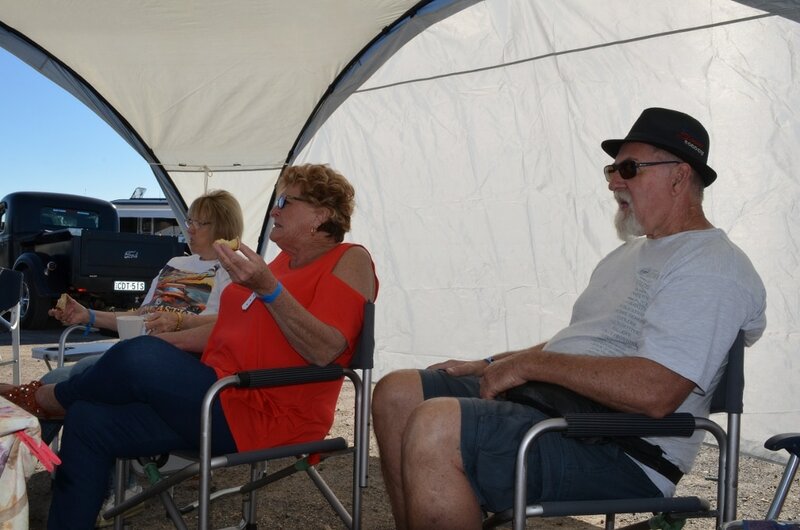 The Nationals saw over 1400 rods entered and the weekend was fantastic with lots to see and do and plenty of people to catch up with. Two of our members had for sale signs on their rods and both were sold over the course of the weekend. 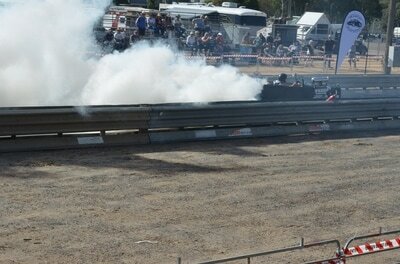 The go to woe was next to our camp site and we had plenty of noise and burning rubber to keep our senses aroused. 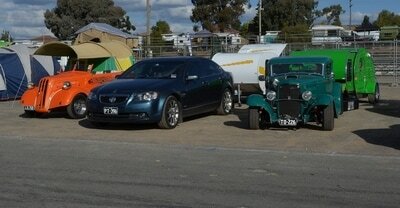 A great weekend at the Nationals and week away with our fellow members. We now look forward to the next Nationals in Maryborough, Queensland in 2019.